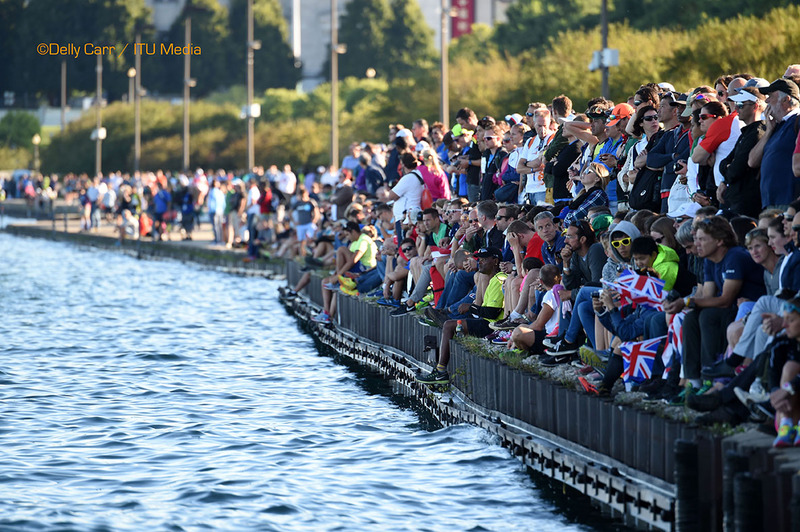 Looking for something to do during your down time throughout ITU World Triathlon Grand Final Chicago week? 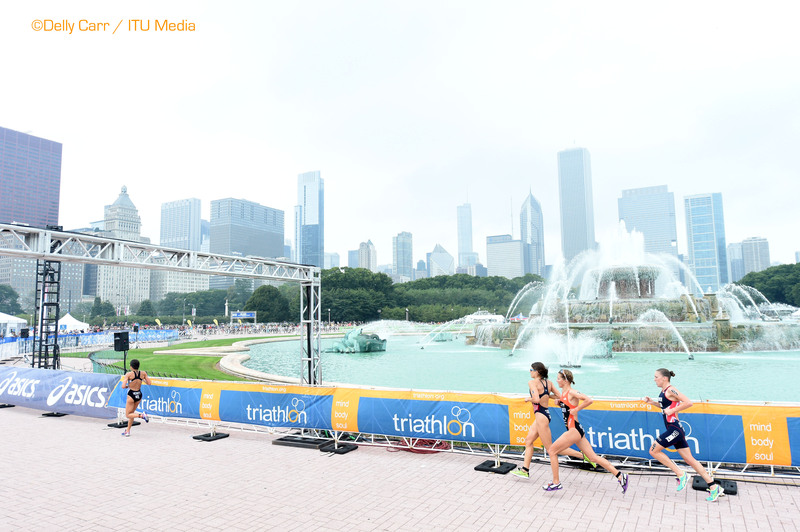 Whether you want to squeeze in one last workout before the event, refuel after your race or check out local cultural attractions, Chicago has more than enough options to keep you occupied while you’re in the city. 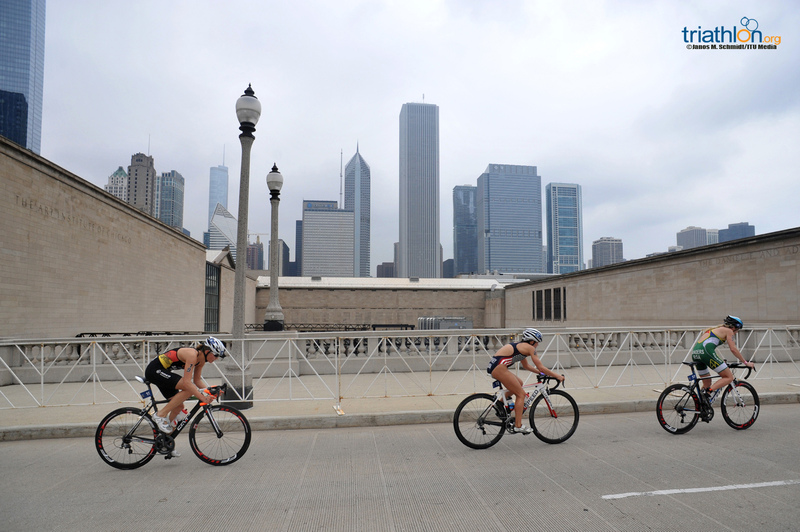 Ideal for biking and running, the Lakefront Trail spans 18 miles of Chicago’s shoreline. 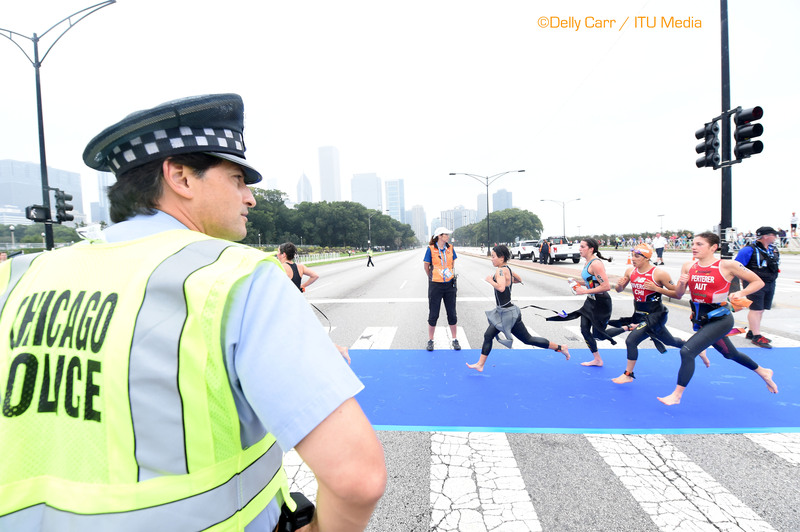 Beginning at Hollywood Ave. on the north and ending at 71st St. on the south, the Lakefront Trail provides a vehicle-free option for training, not to mention unparalleled views of the city’s skyline. 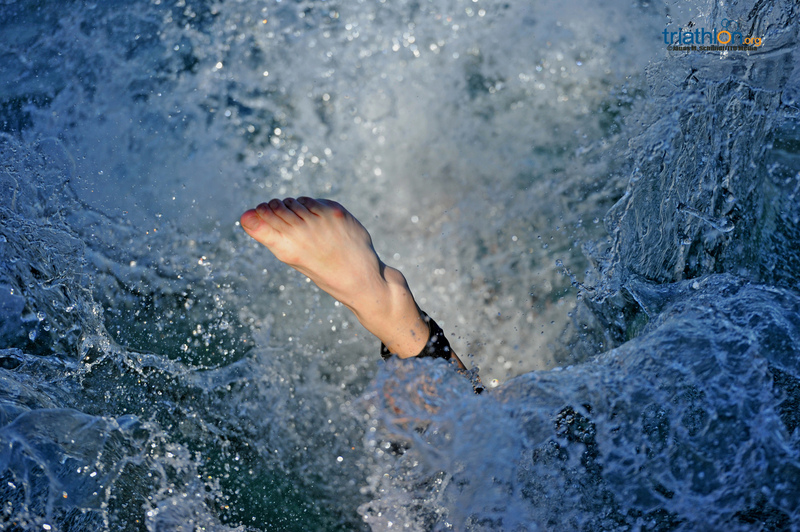 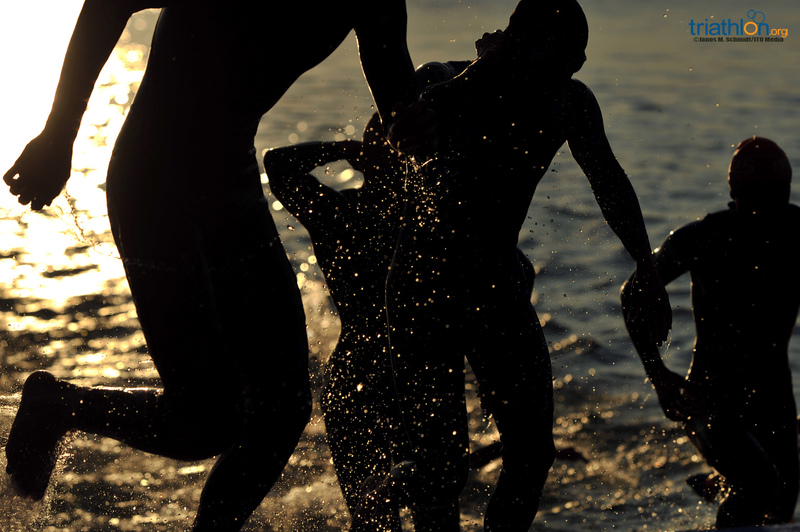 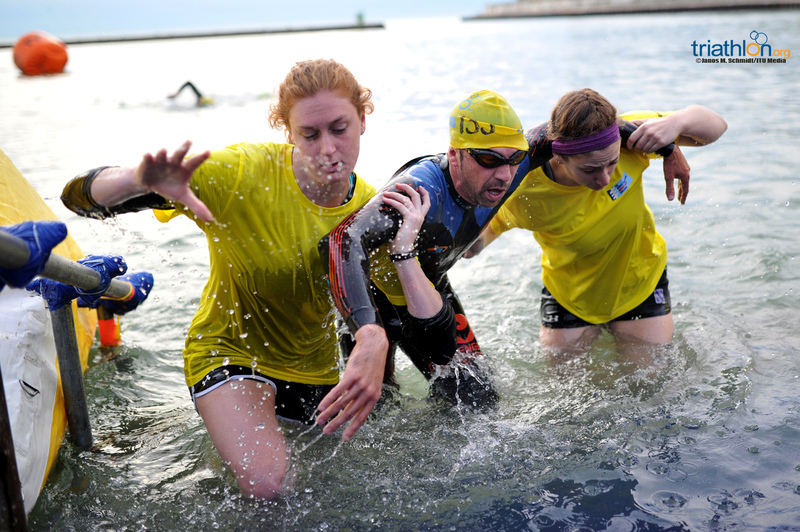 Ohio Street Beach gives swimmers the opportunity to acquaint themselves with Lake Michigan in a friendly environment. 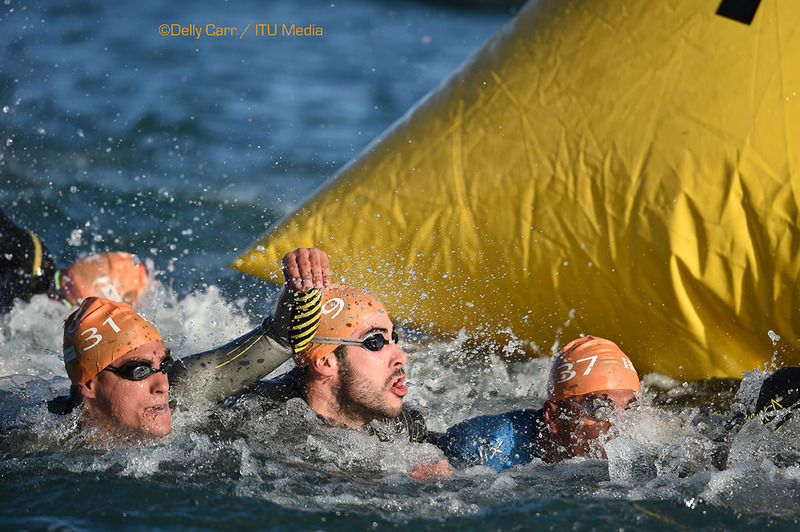 Buoys indicate 1/4- and 1/2-mile marks from the beach to help you plan your swim, and you can easily access the bridge from the Lakefront Trail. 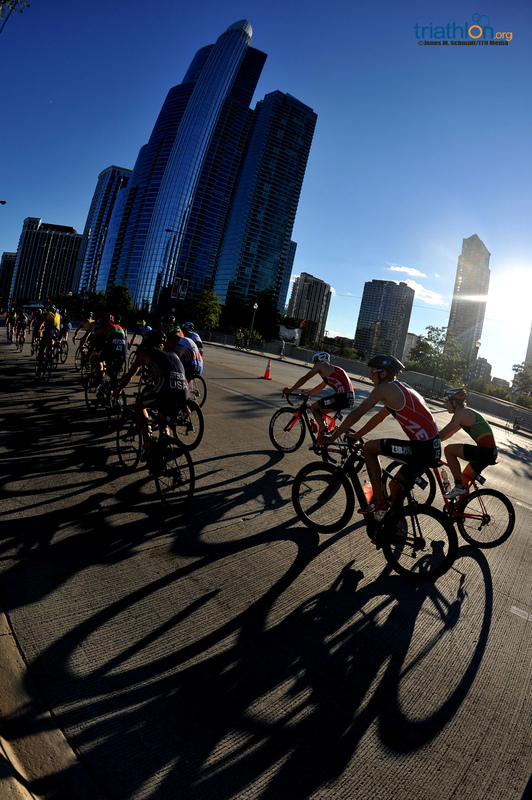 439 N. Wells St., 805 S. State St., 1120 N. State St.
And if you want to get off the beaten path, head up to Pequod’s in Lincoln Park. 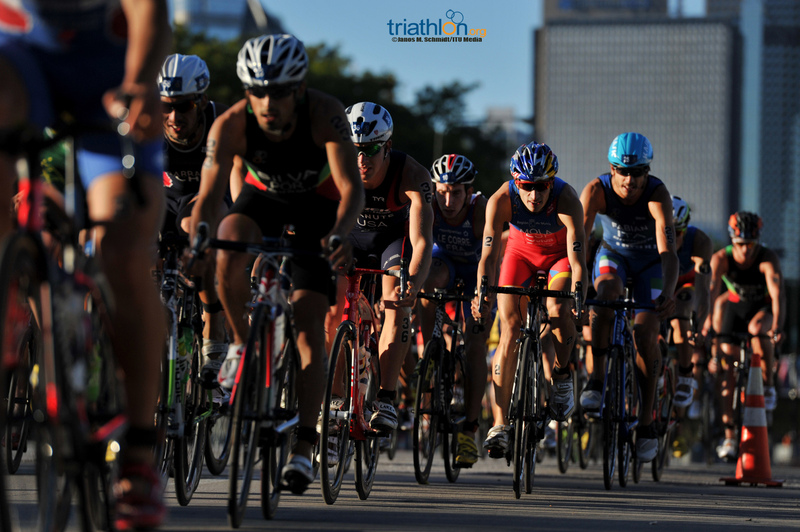 Located at 2207 N. Clybourn, this is a place locals rave about. 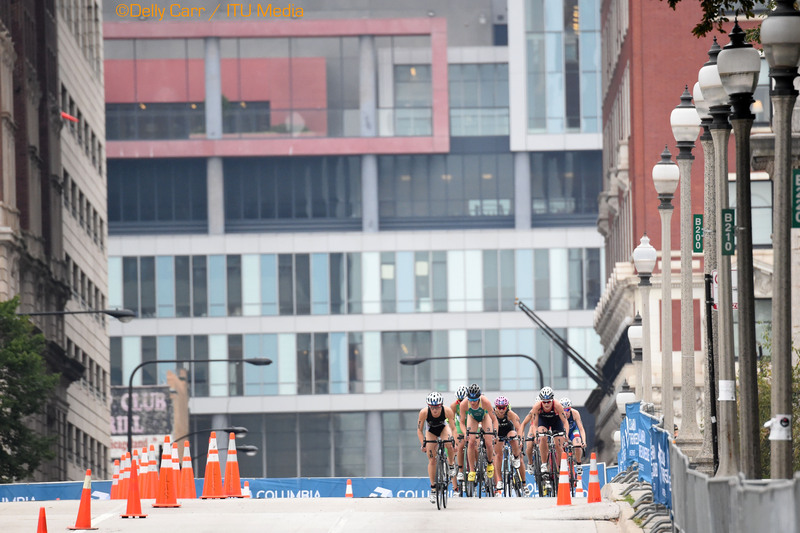 If deep dish scares you off, Wicker Park’s Piece at 1927 W. North Ave. has you covered. 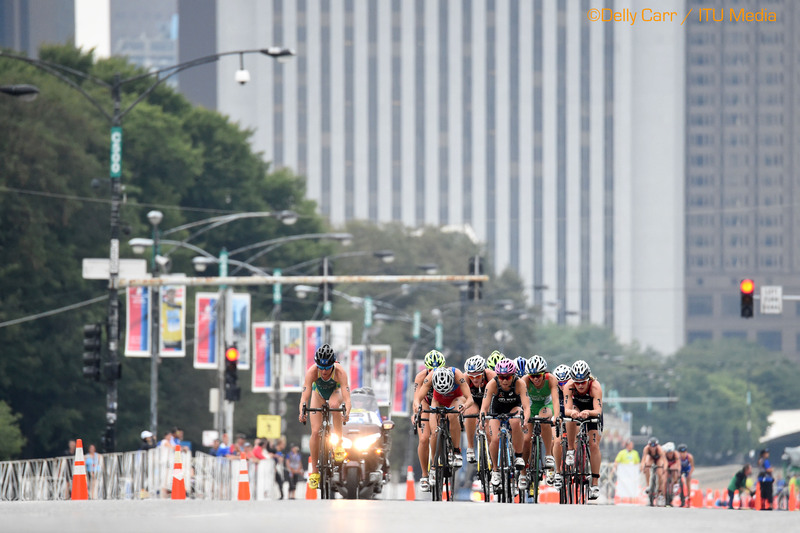 This area staple features an all-beef hot dog surrounded by a steamed poppy seed bun topped with yellow mustard, relish, tomato wedges, chopped onions, a pickle spear, hot peppers and celery salt, but never, ever ketchup. 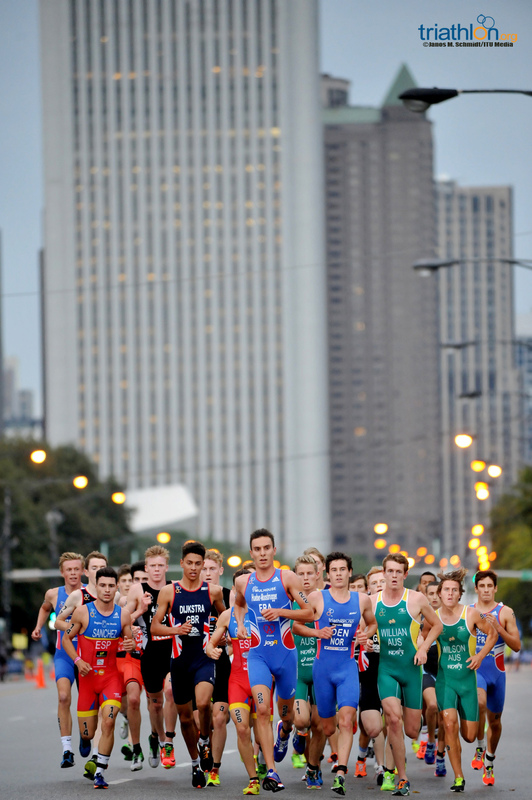 Portillo’s, located at 100 W. Ontario, is closest to the race site. 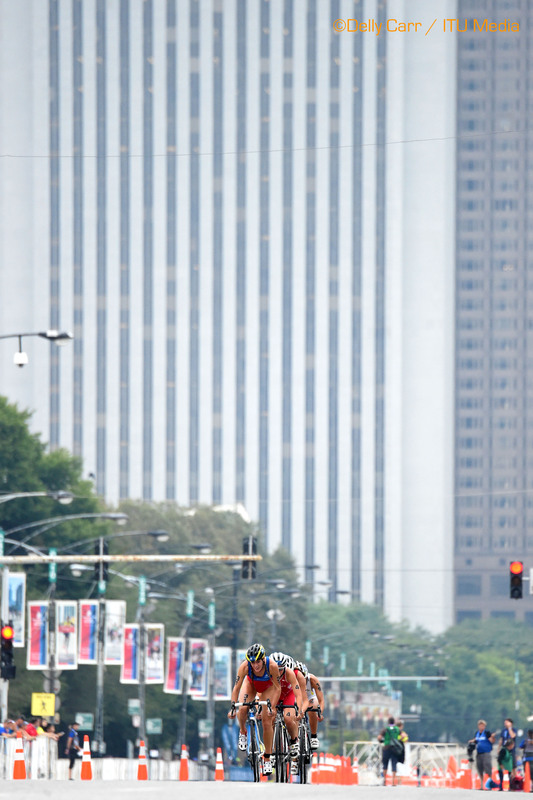 Another classic Chicago food, this sandwich featuring seasoned roast beef and peppers on an Italian roll. 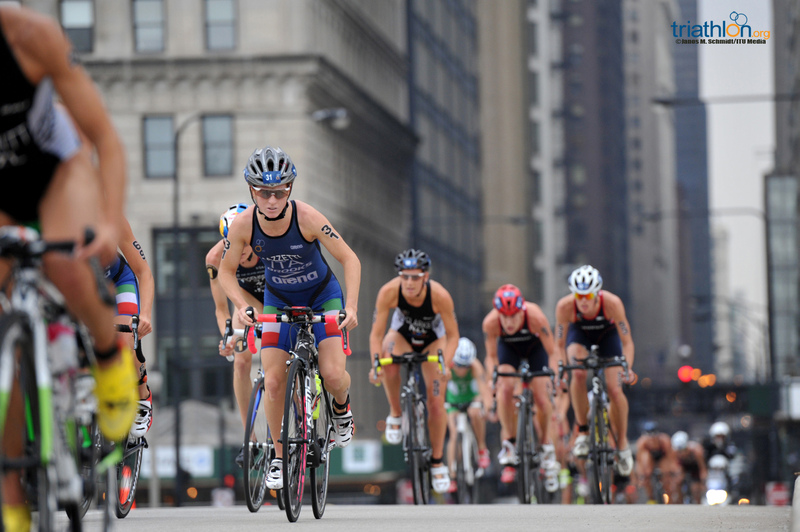 You can try one for yourself at Al’s Beef at 169 W. Ontario or 234 S. Wabash Ave., though Portillo’s serves Italian beef as well. 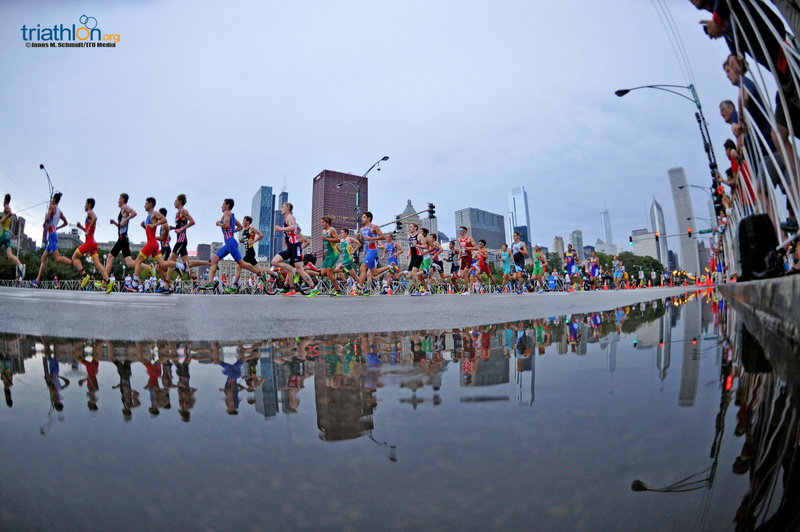 The Art Institute of Chicago, ranked as the top museum in the world by TripAdvisor in 2014 features international and American pieces covering more than 5,000 years of artwork, including A Sunday Afternoon on the Island of La Grande Jatte by Georges Seurat and American Gothic by Grant Wood. 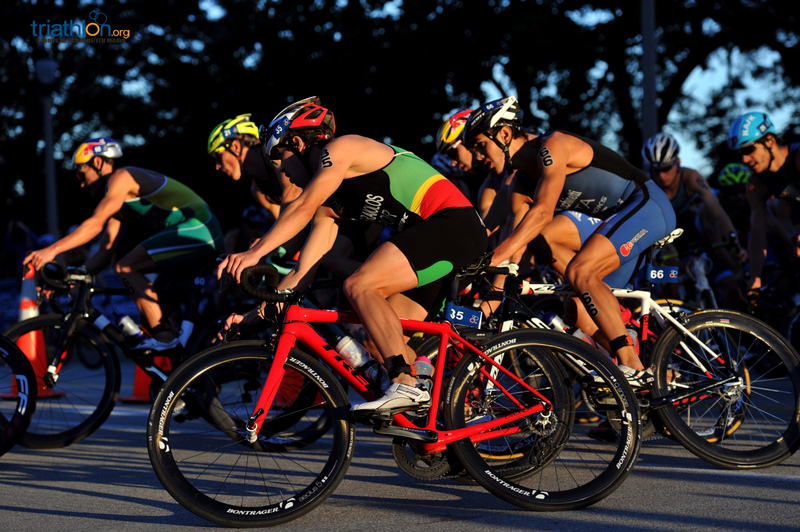 Special exhibits during race weekend include Charles Ray: Sculpture 1997-2014 and Degas: At the Track, On the Stage. 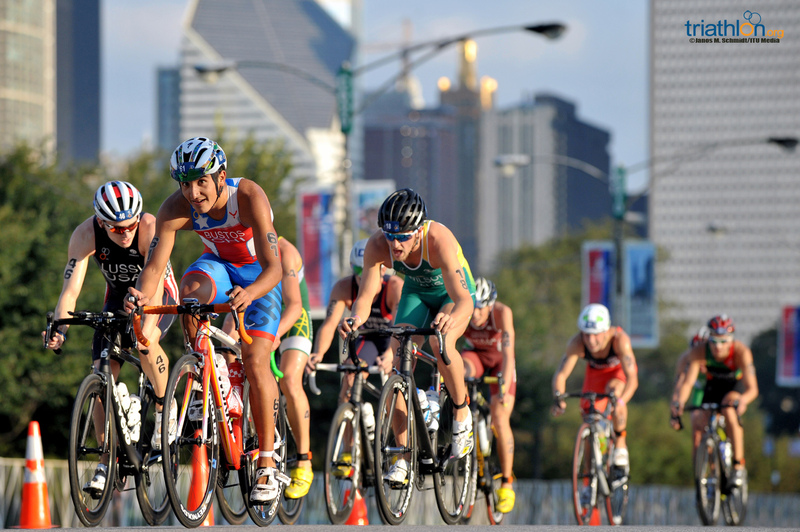 From Sue the T-Rex to the Vikings, the Field Museum features a huge collection of anthropological, botanical, geological, paleontological and zoological exhibits. 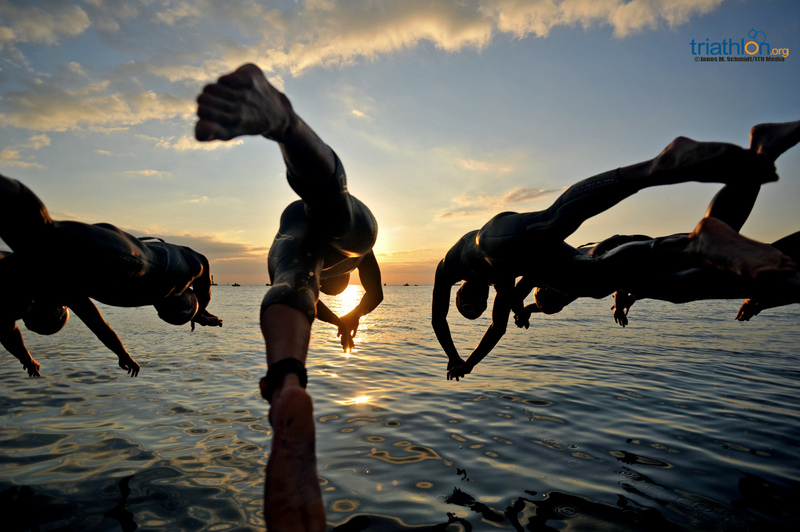 The museum has 25 million objects, so there is bound to be something to interest everyone. 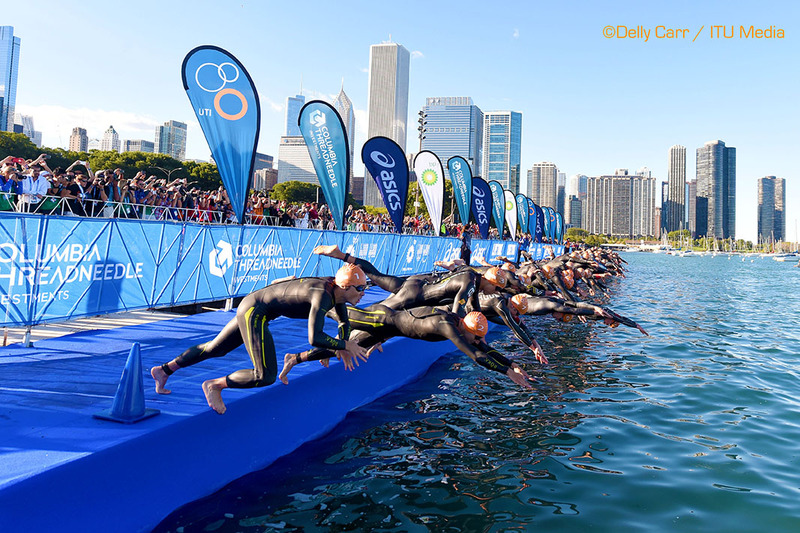 Just south of the race site, the Shedd Aquarium is home to 32,000 animals from stingrays to sea otters. 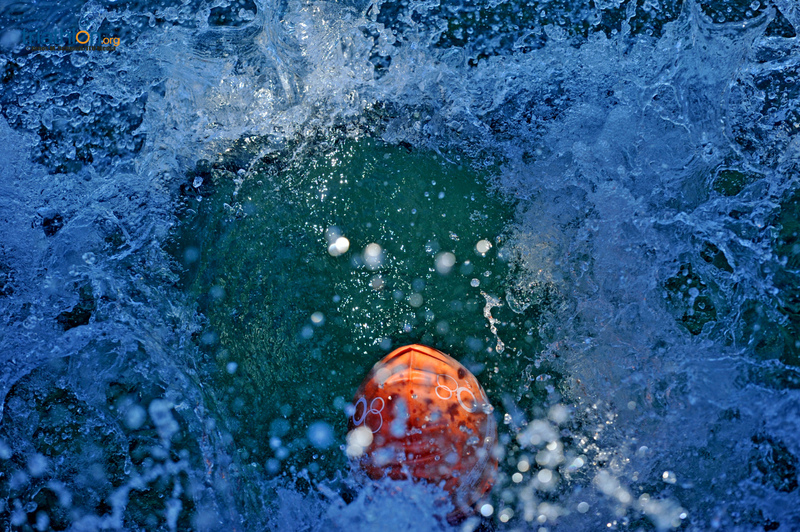 Lines can get long, so consider purchasing an express pass if you’re short on time. 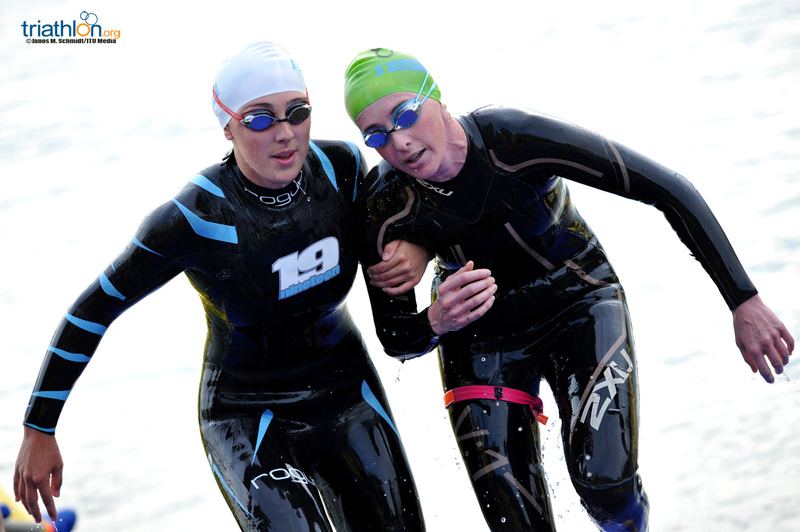 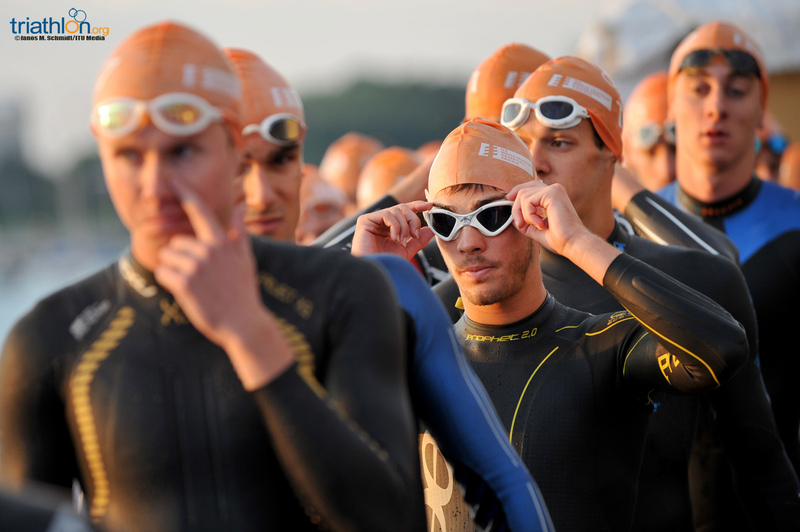 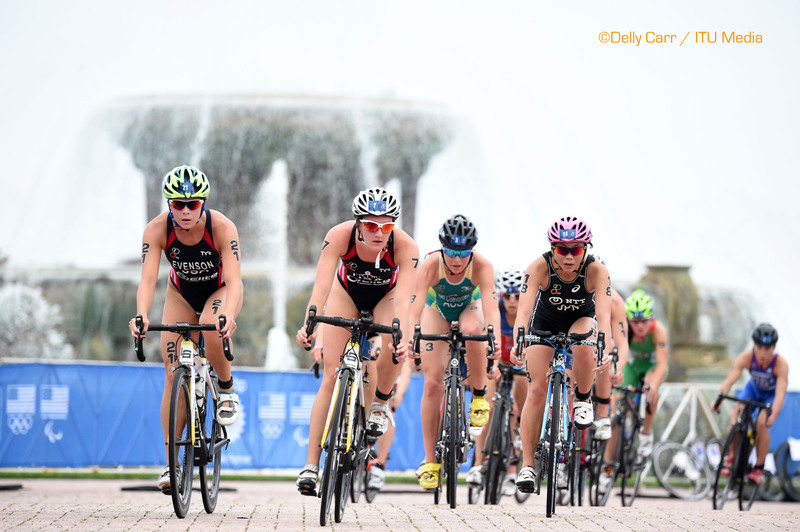 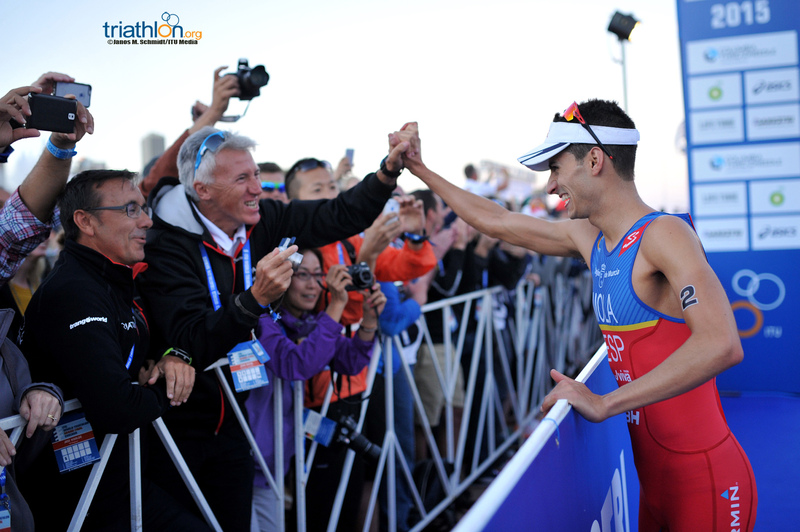 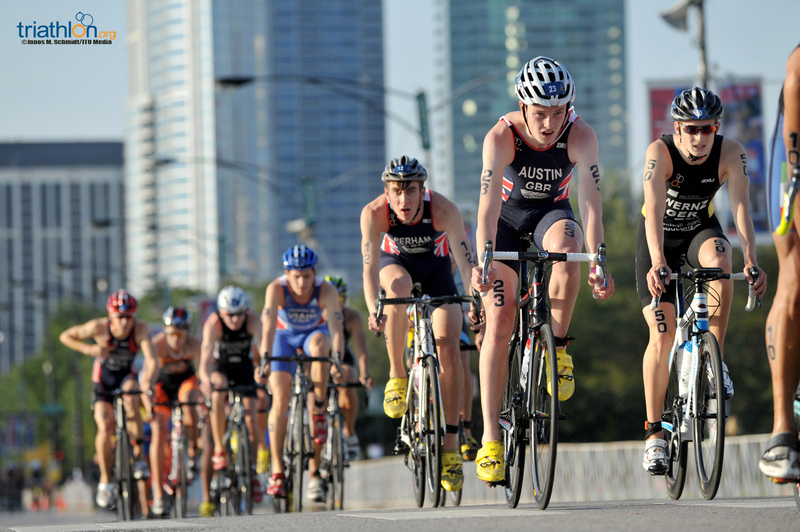 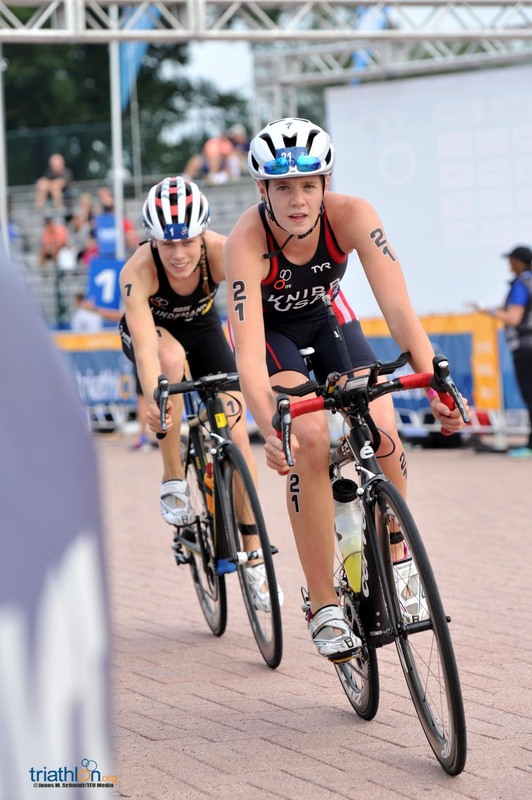 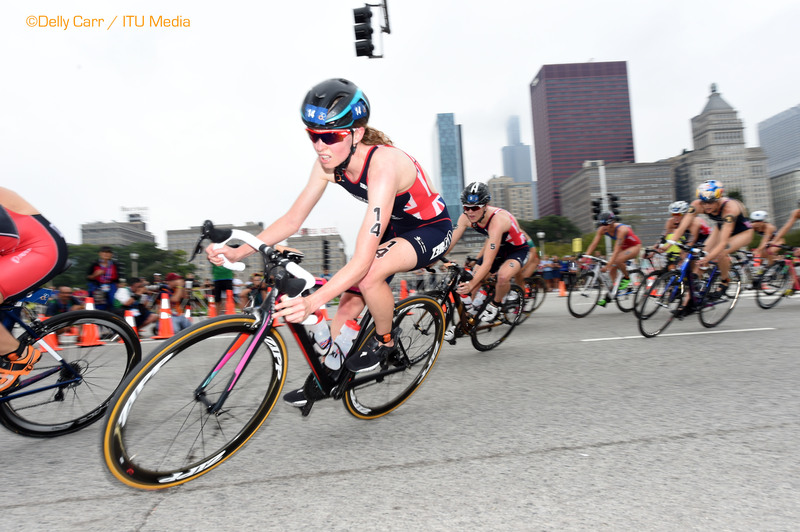 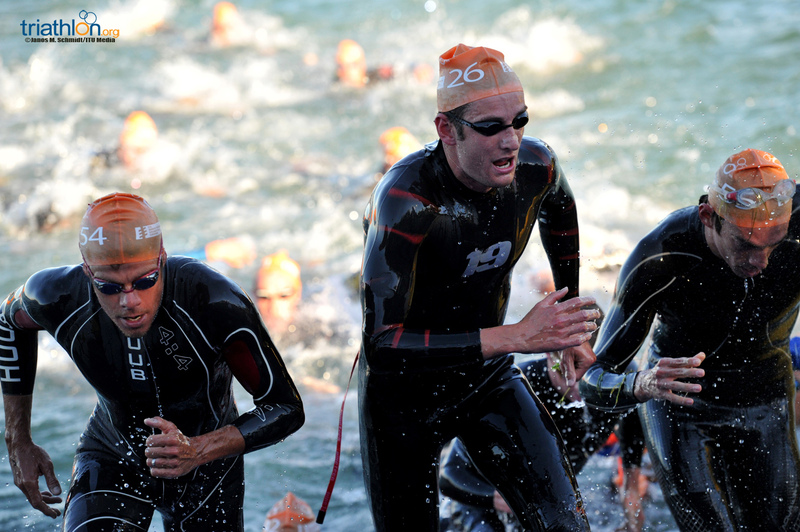 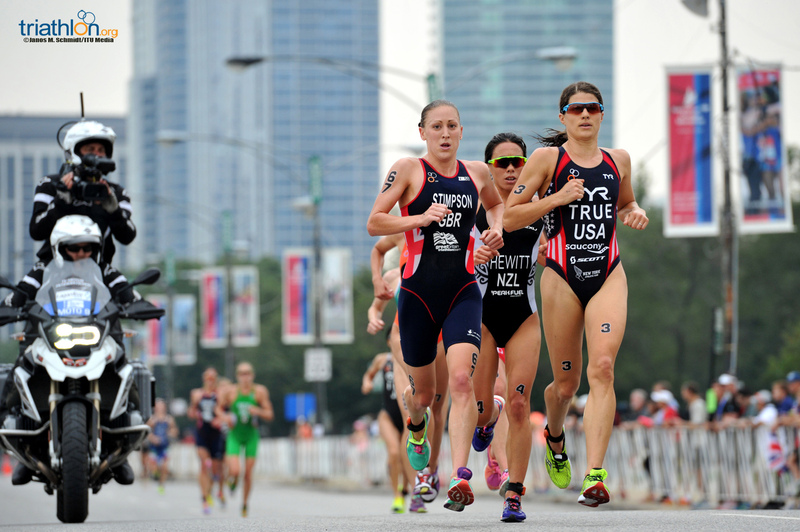 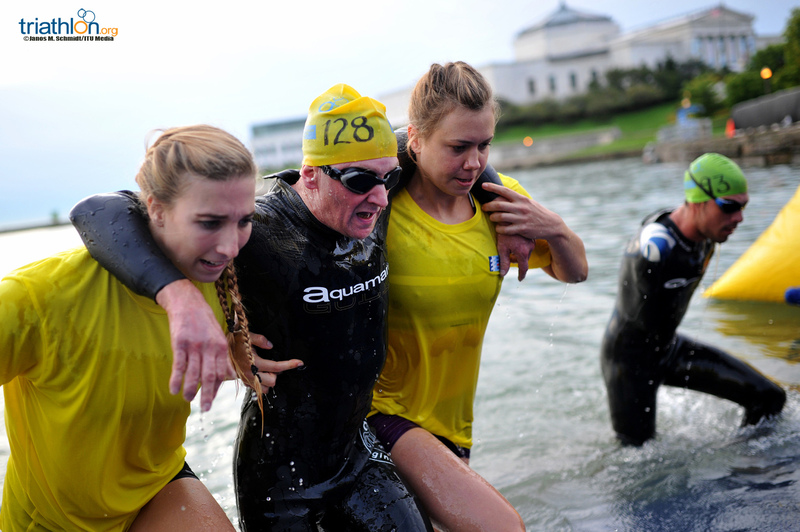 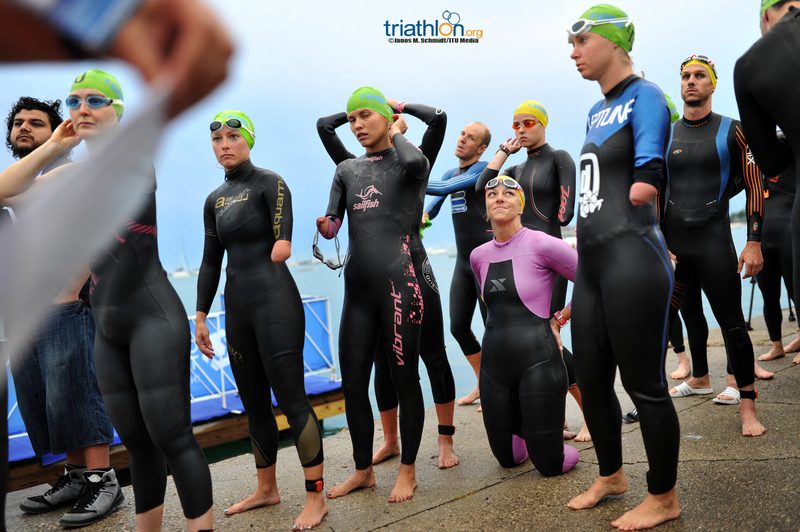 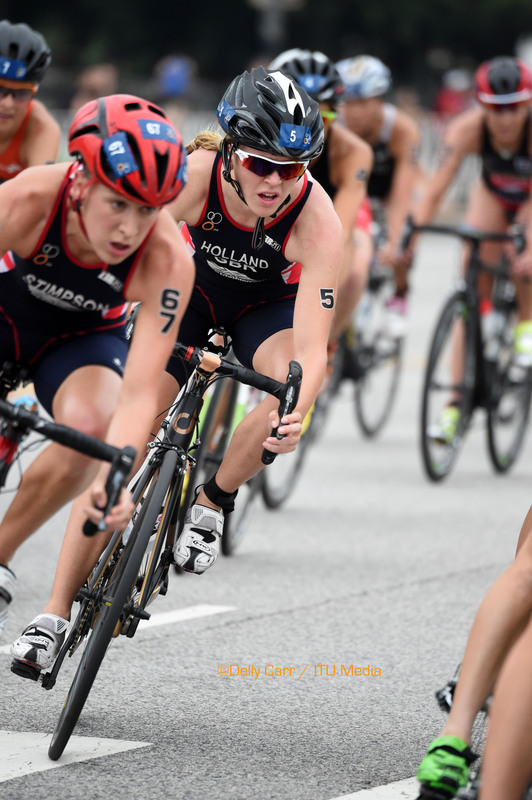 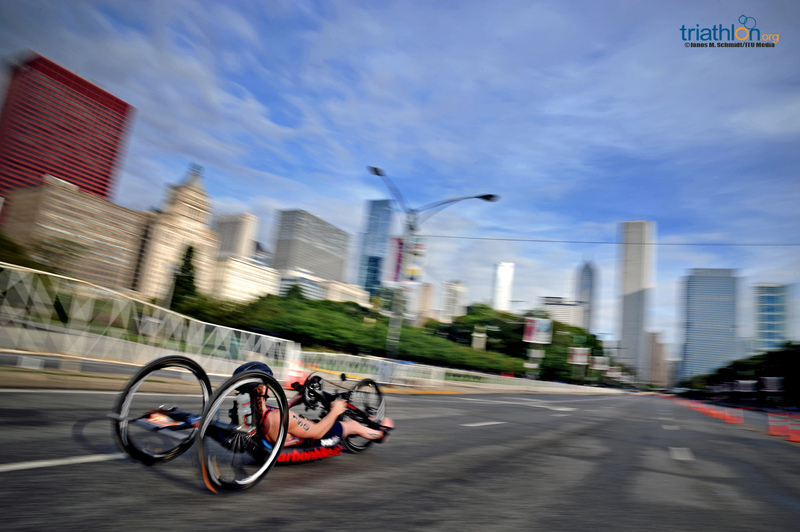 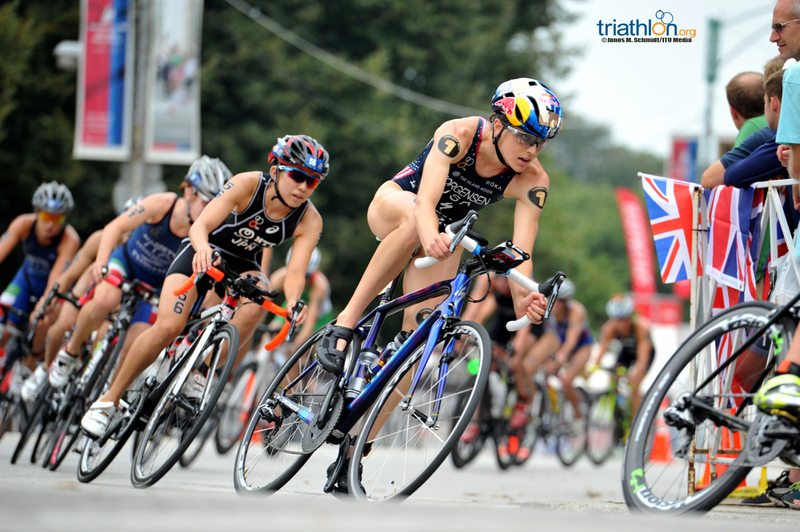 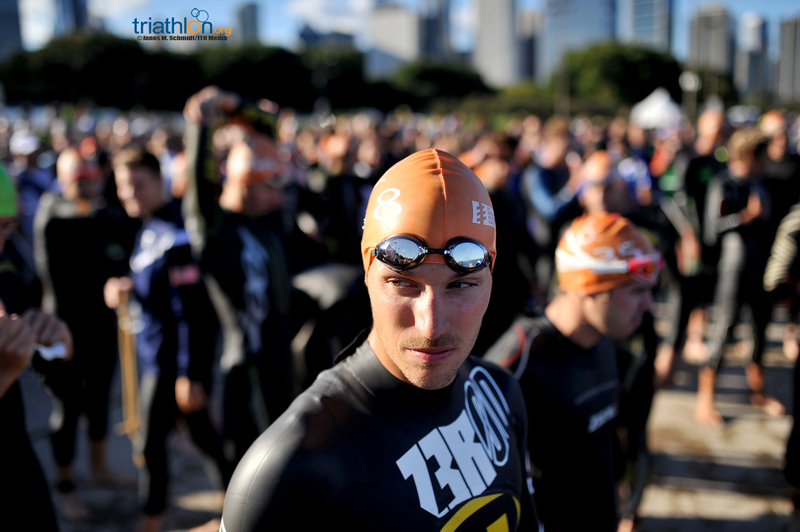 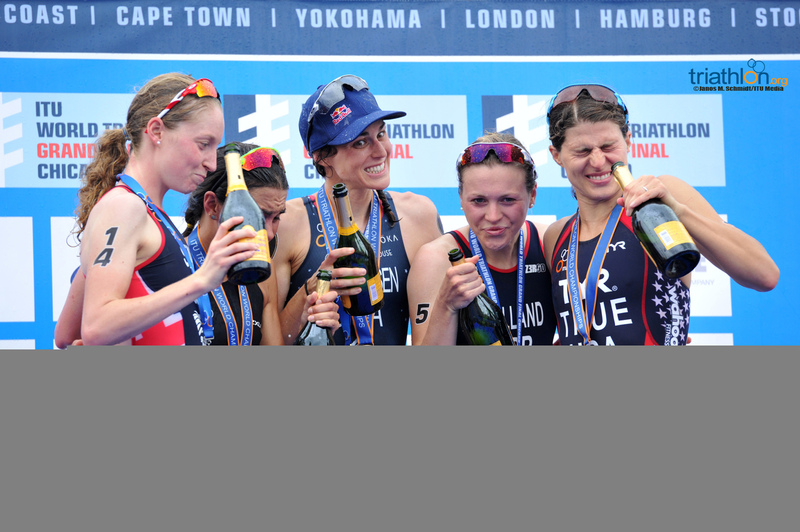 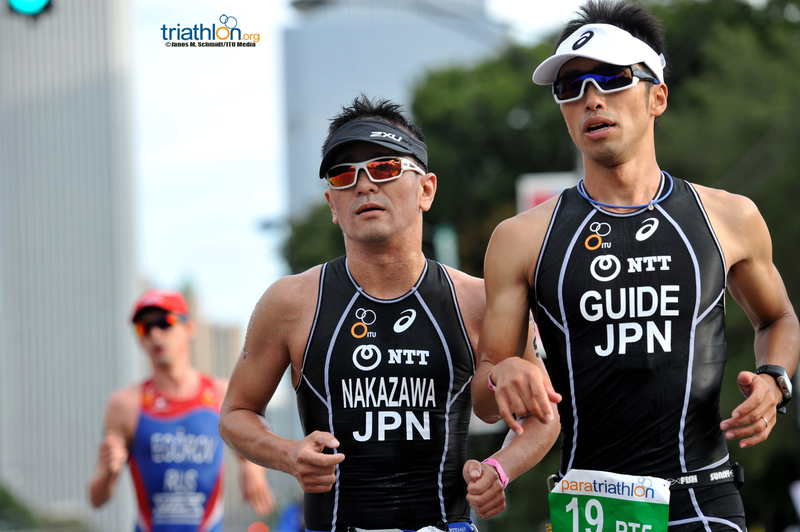 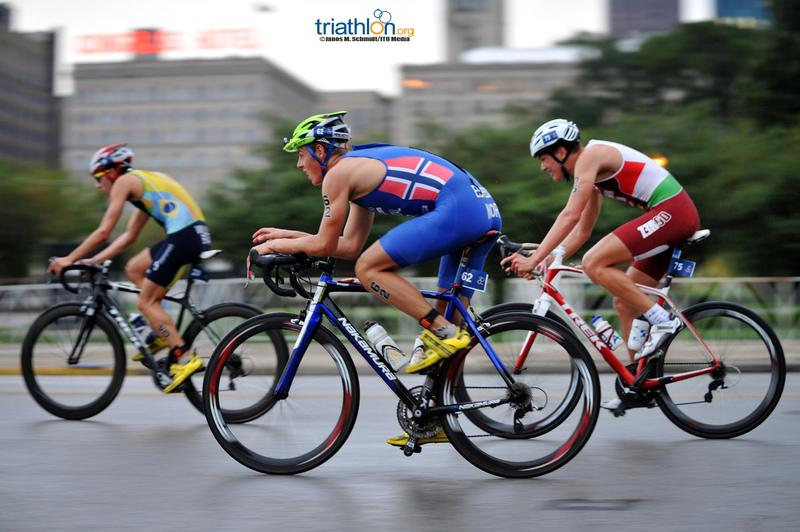 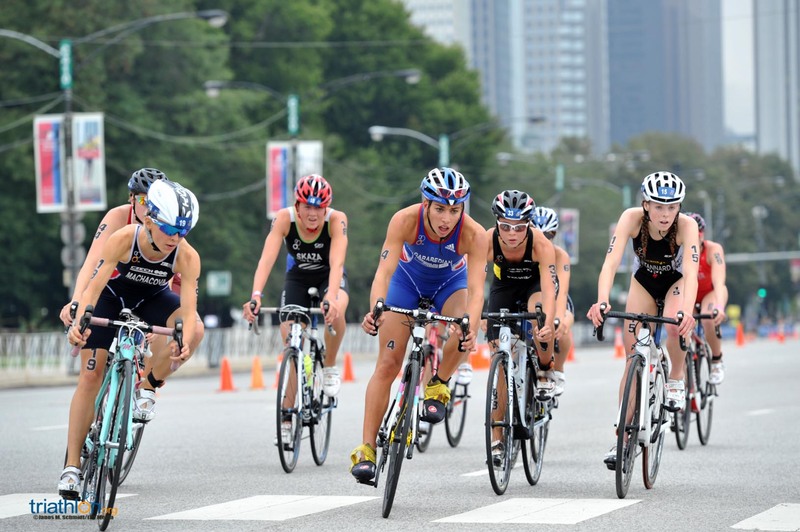 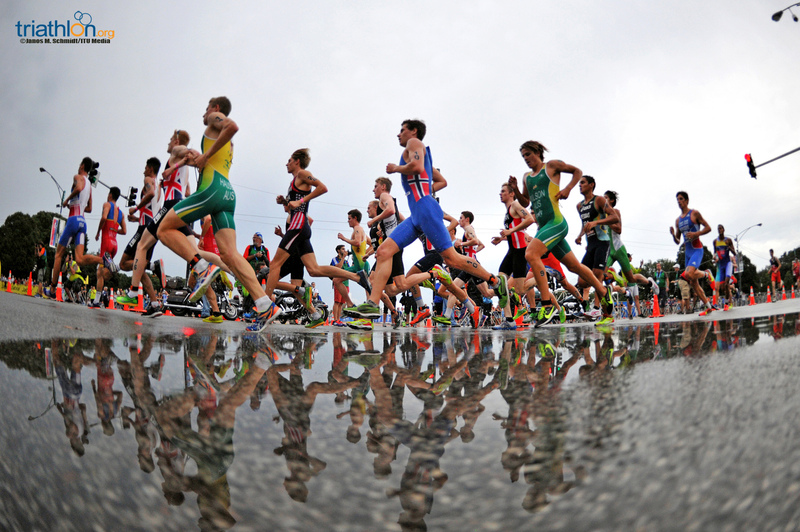 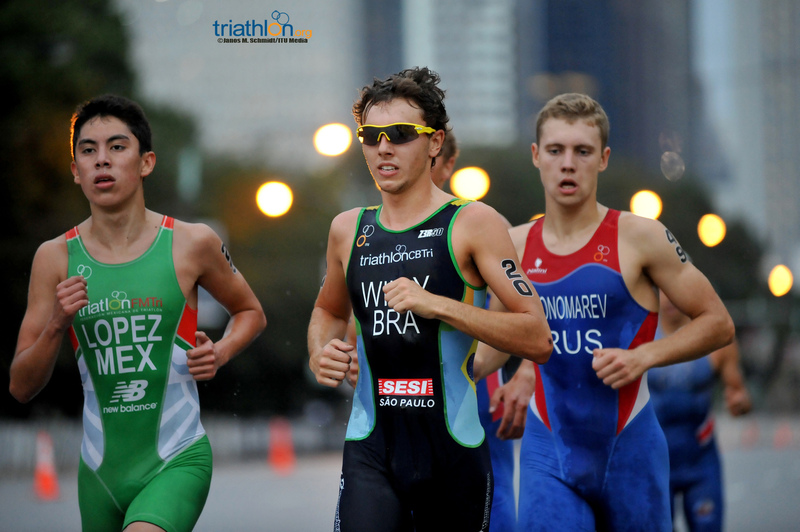 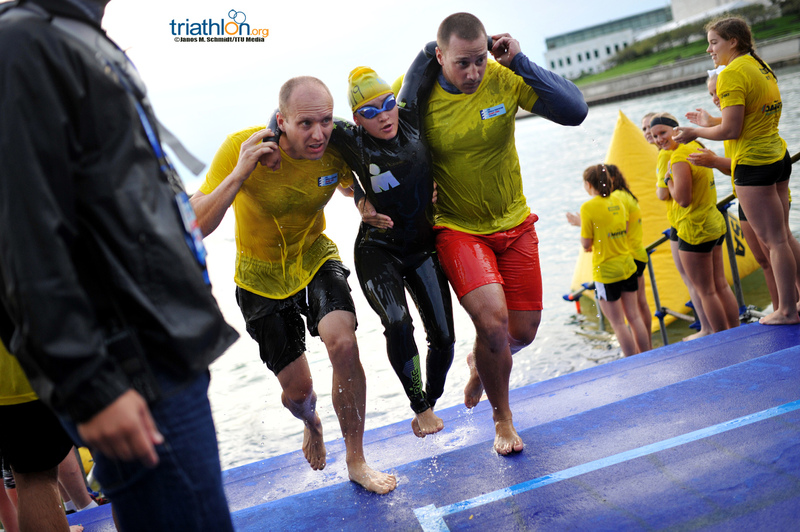 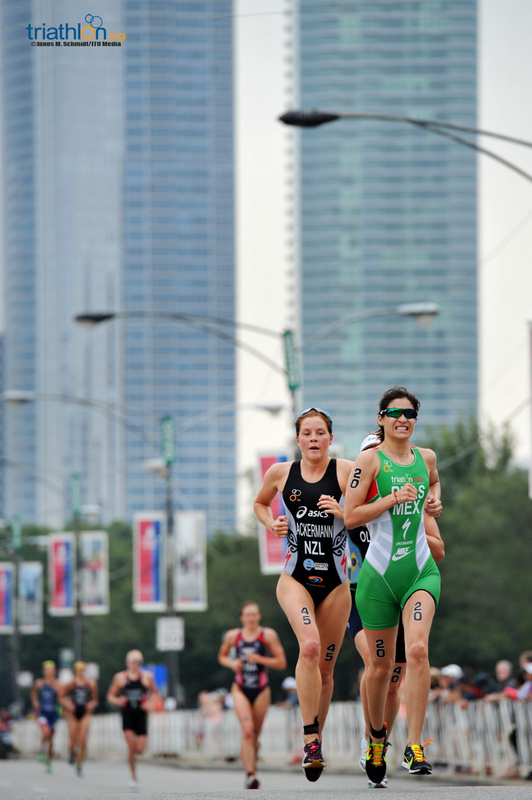 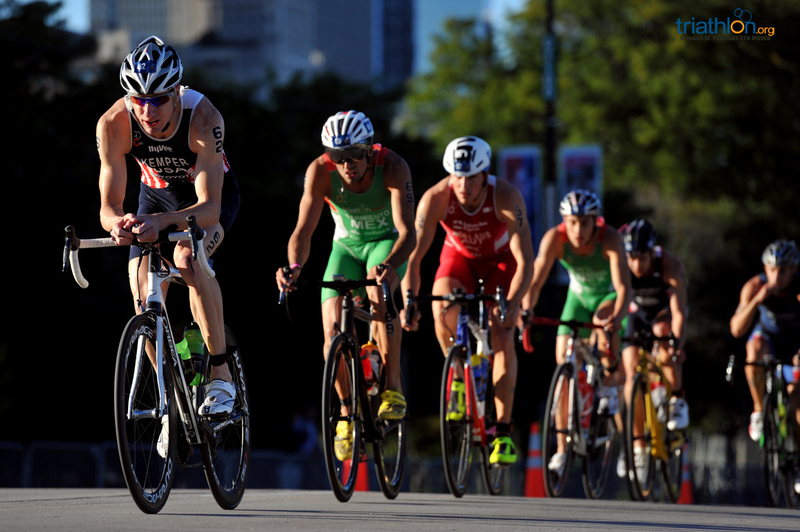 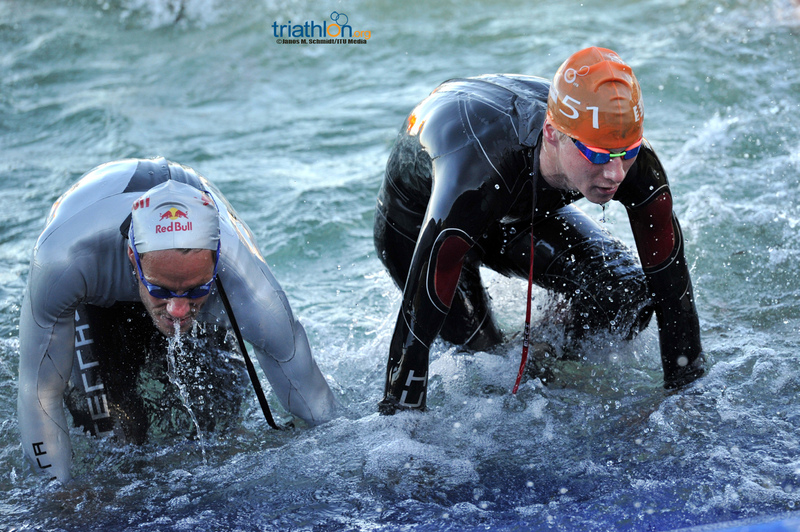 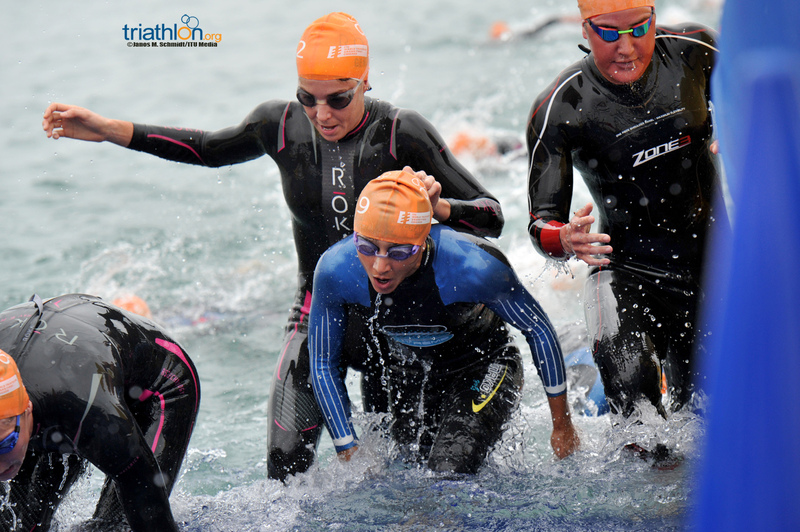 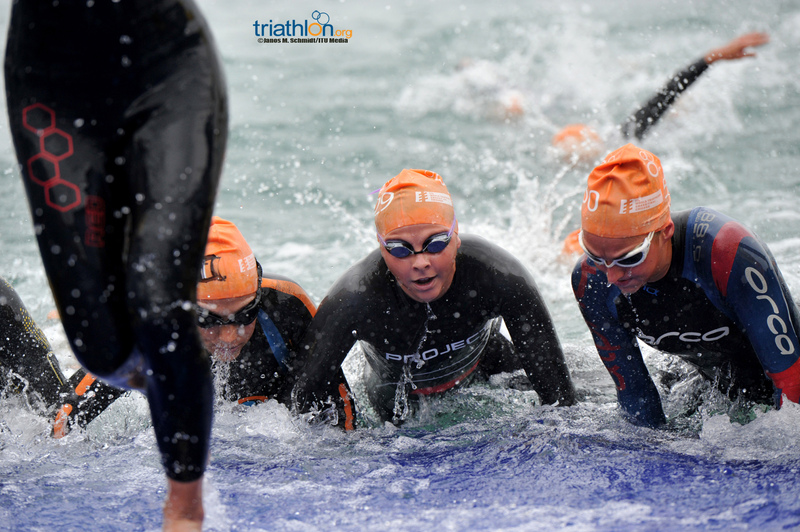 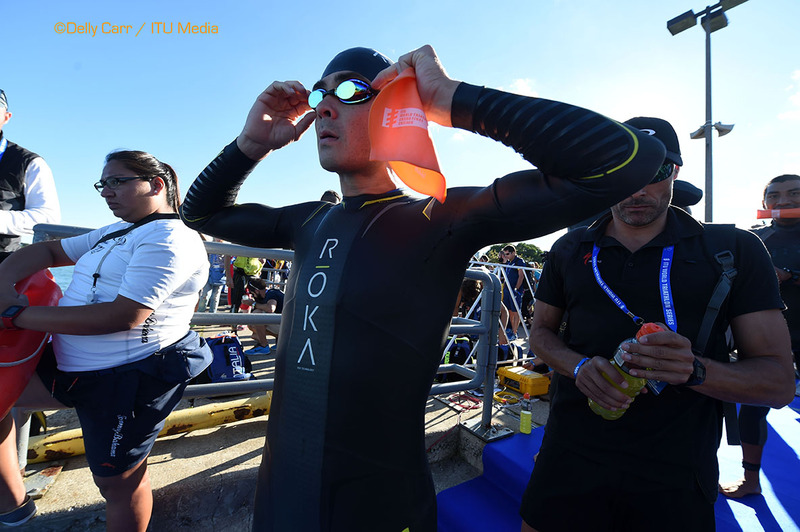 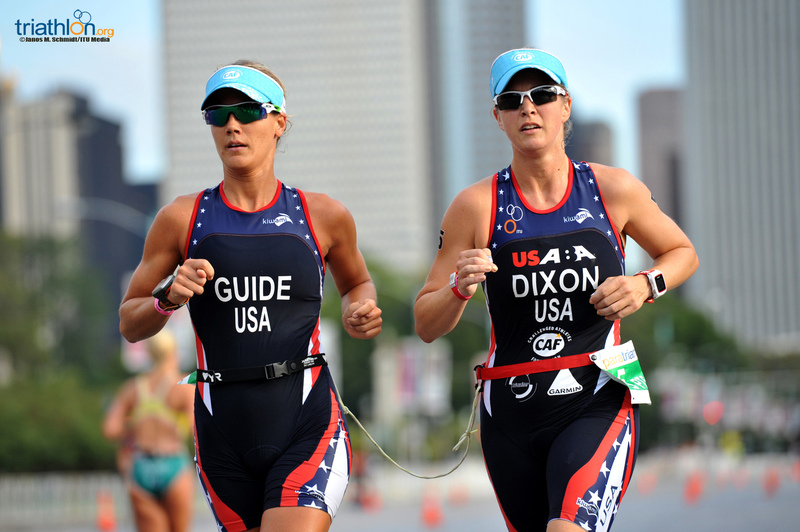 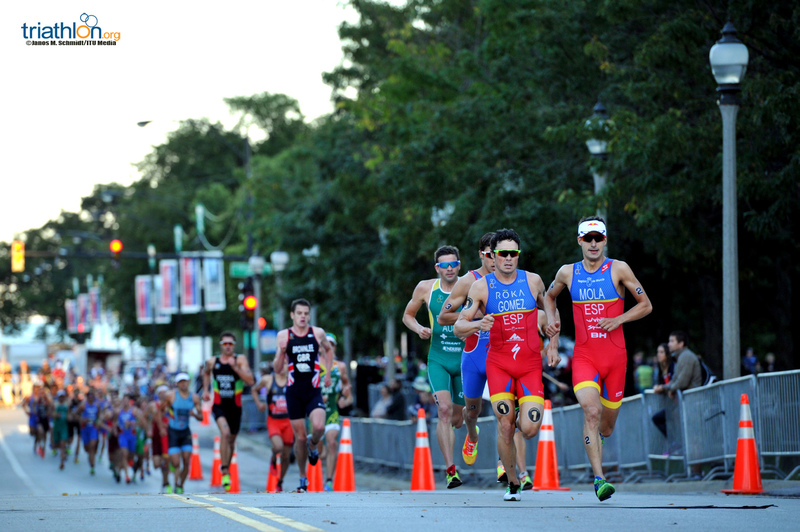 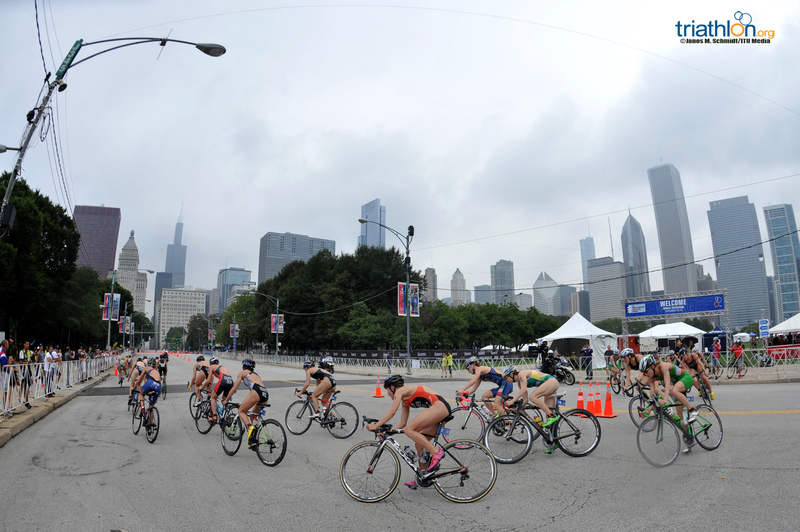 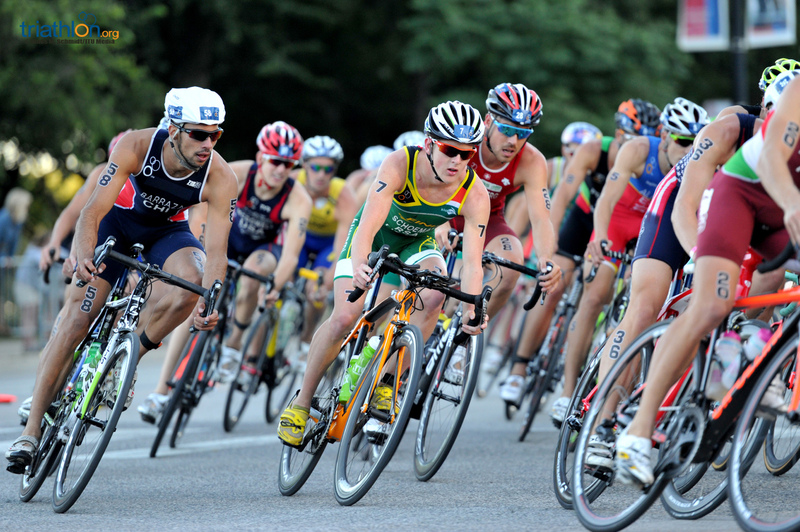 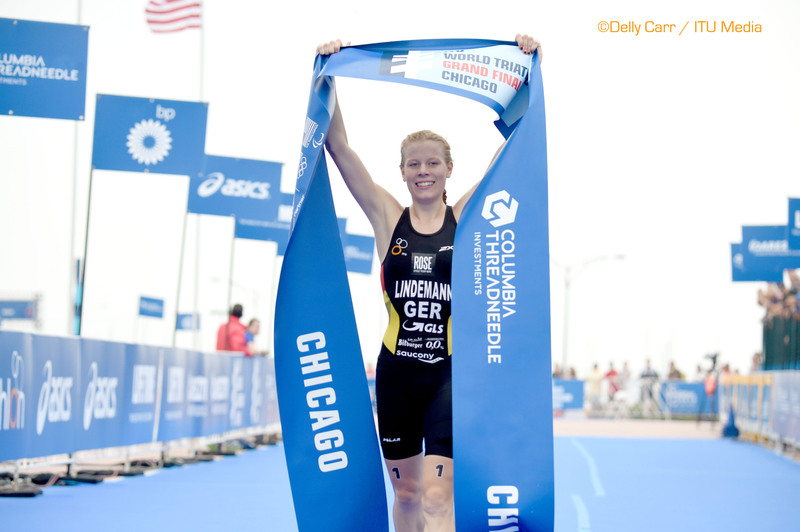 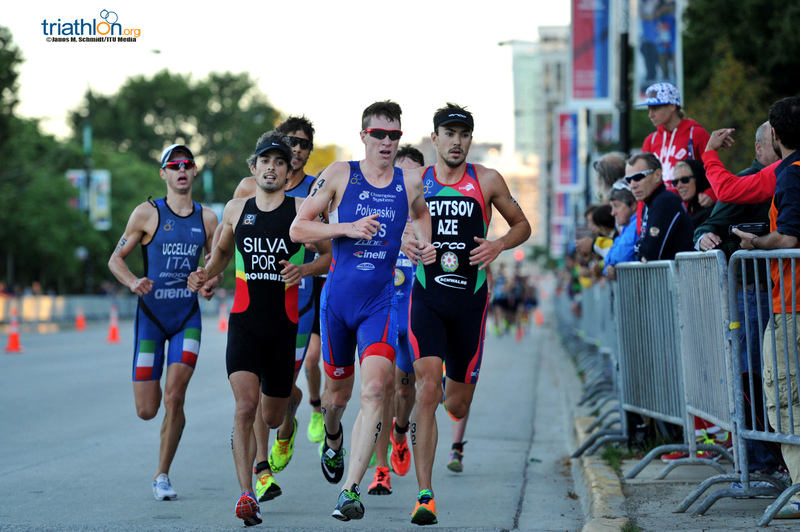 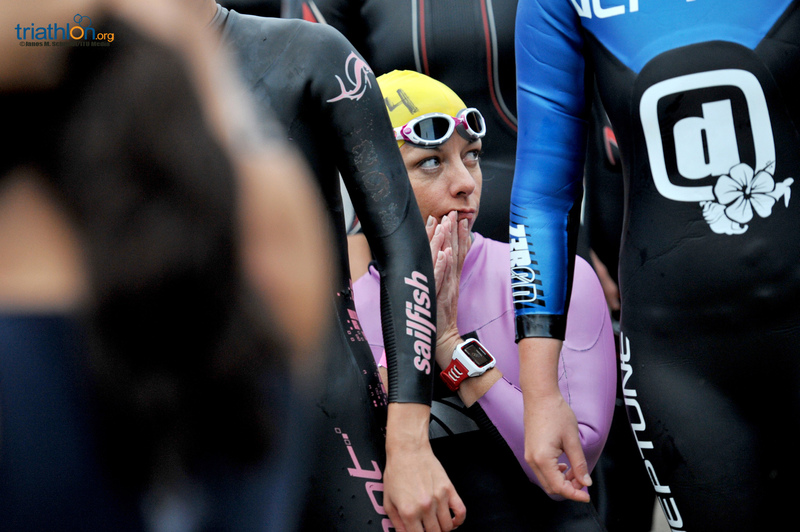 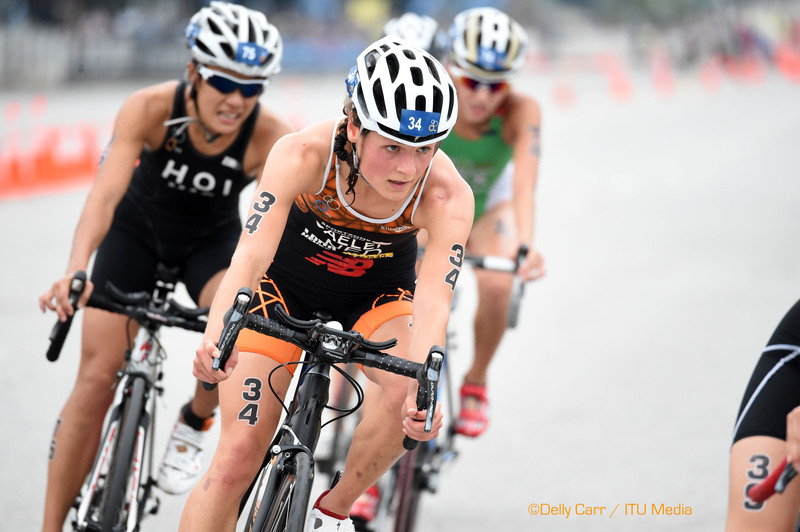 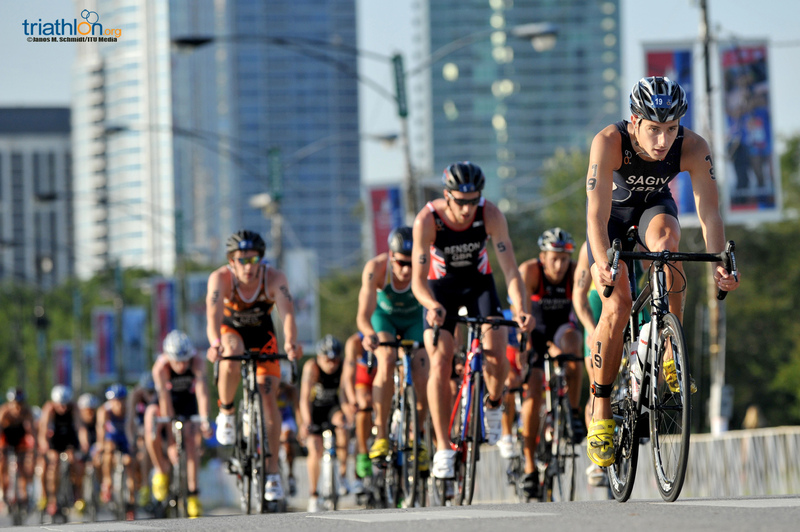 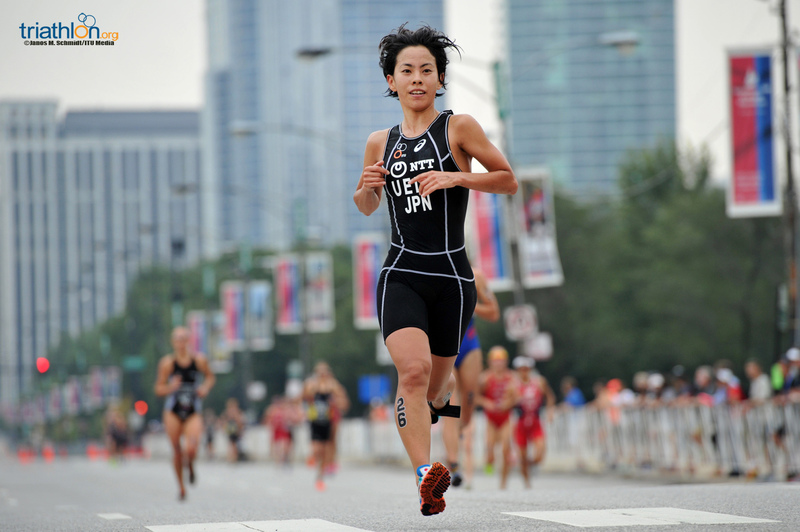 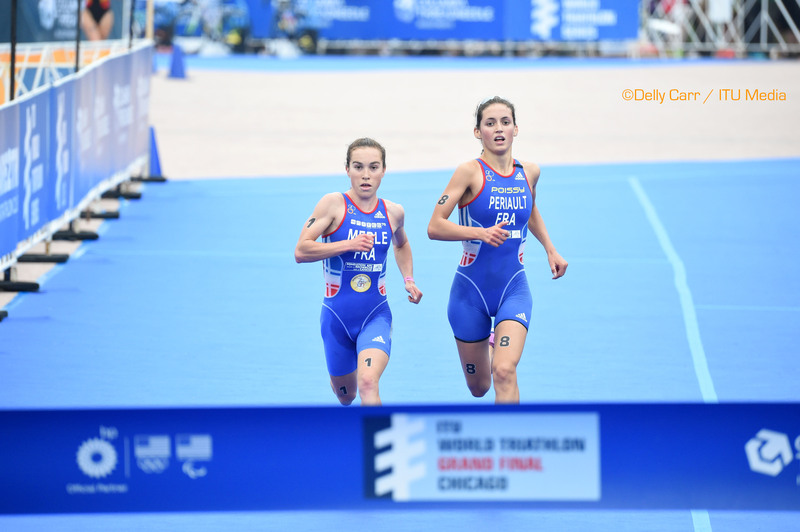 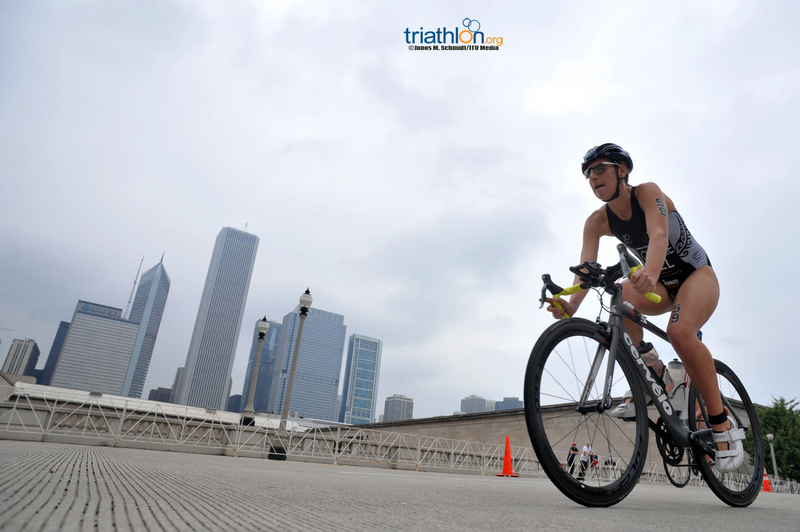 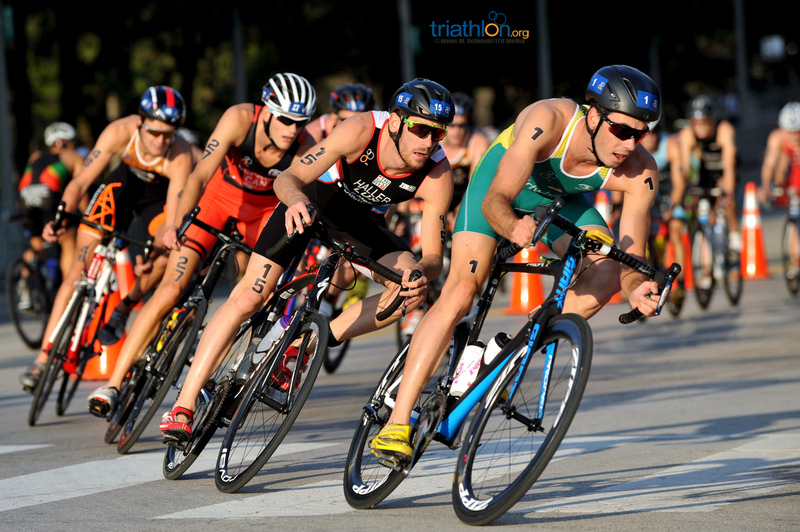 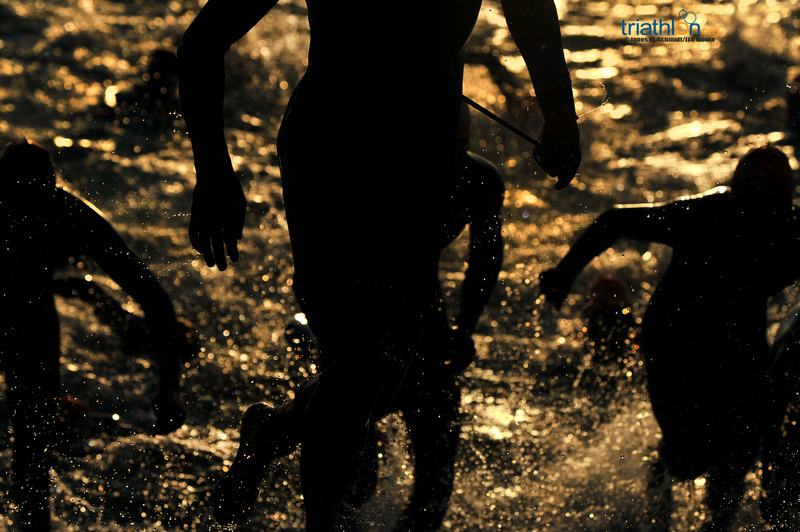 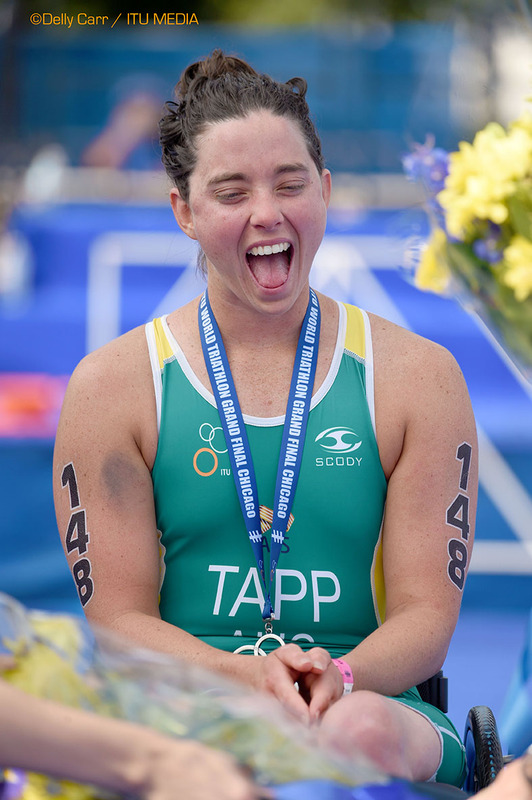 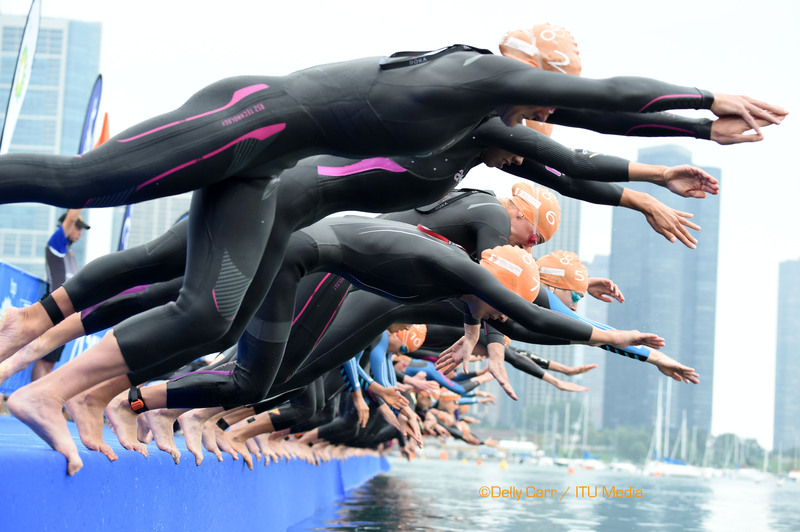 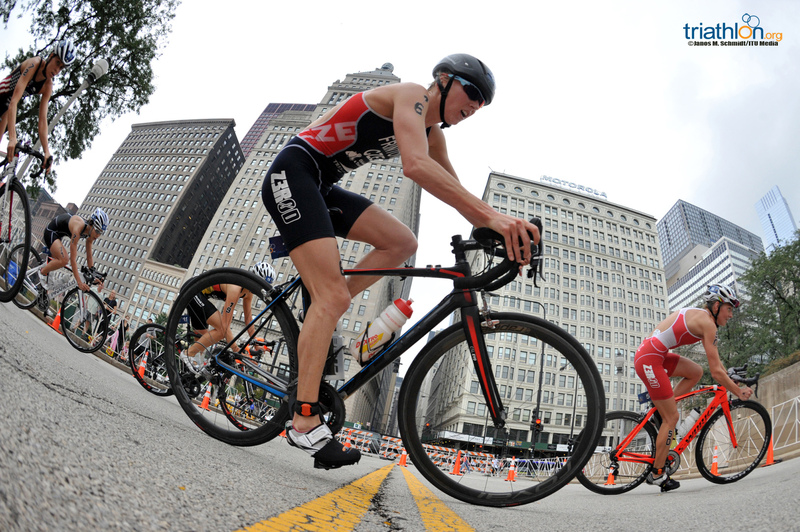 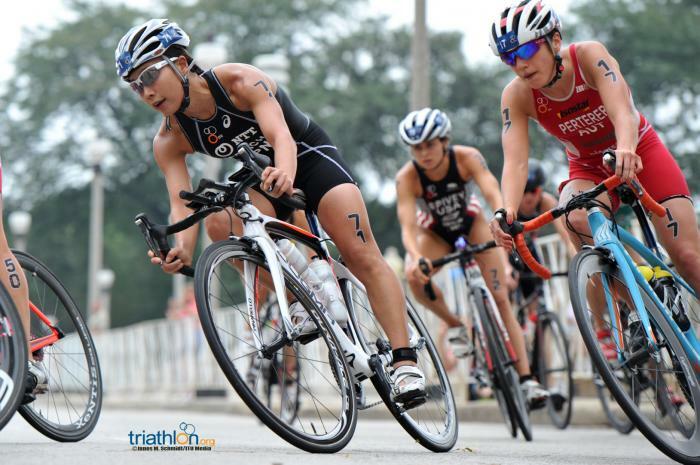 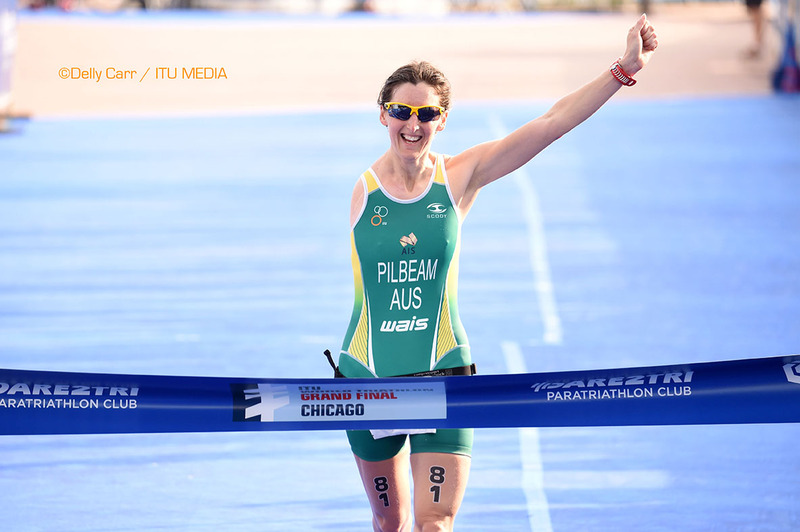 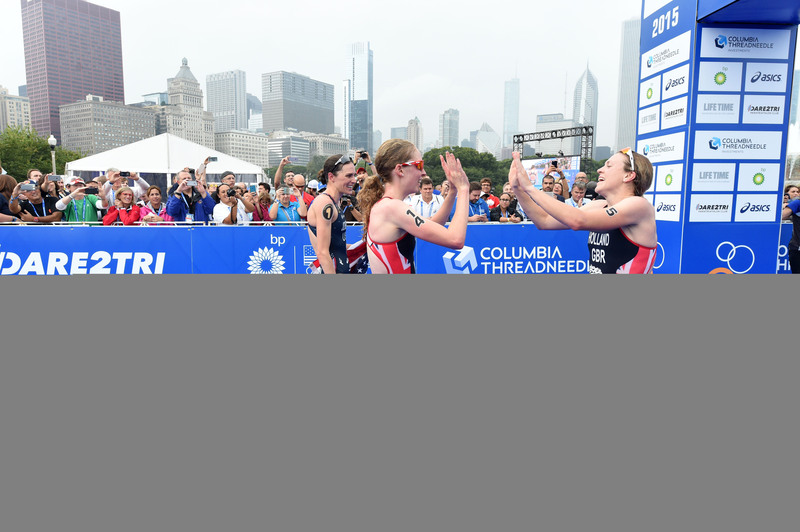 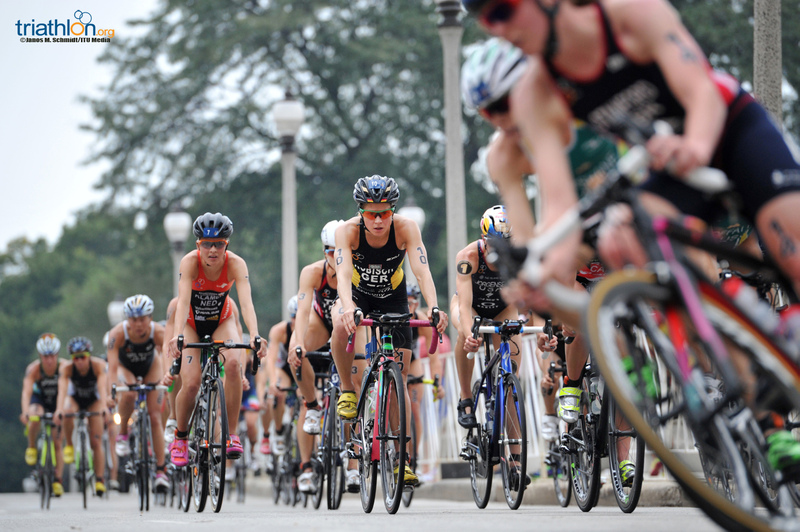 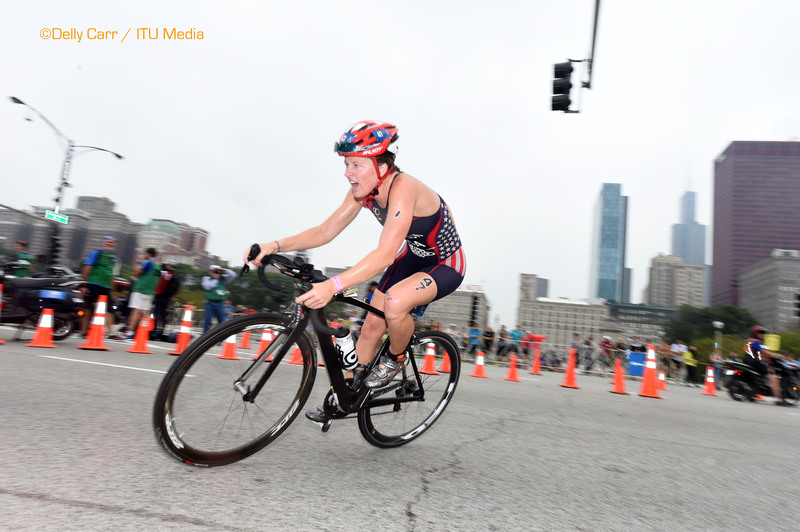 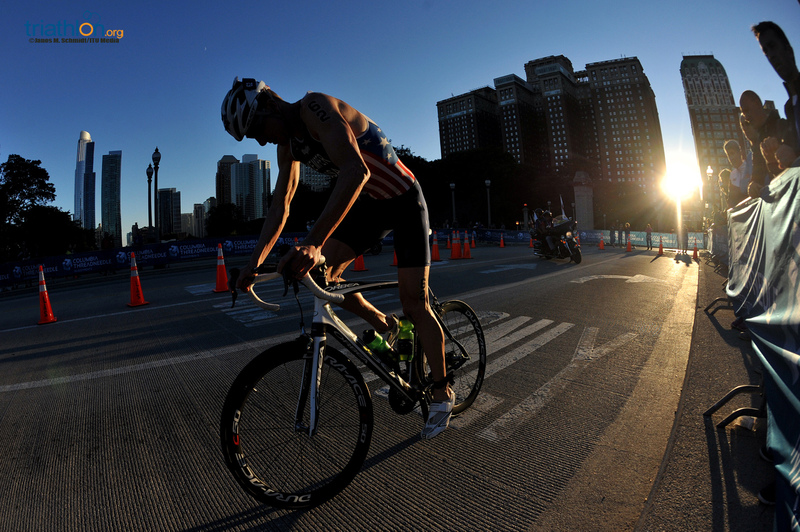 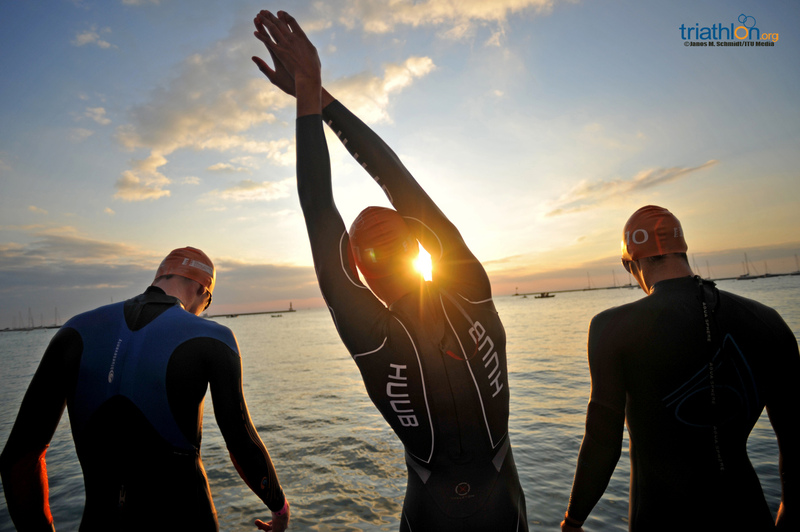 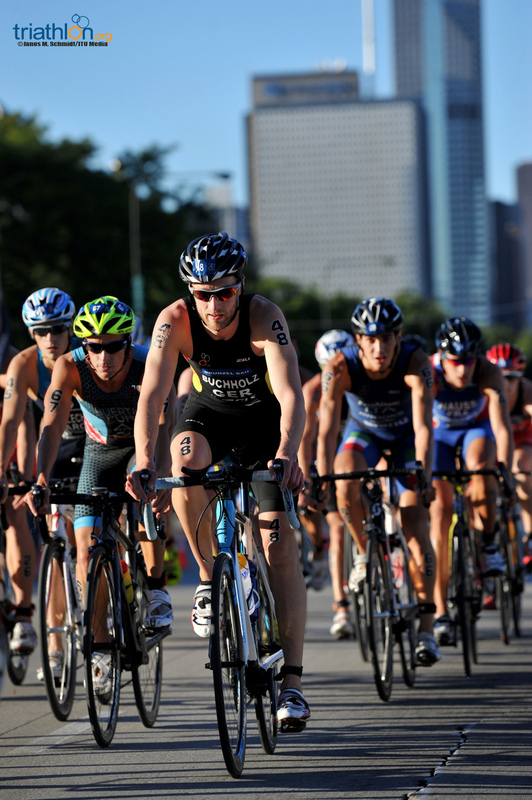 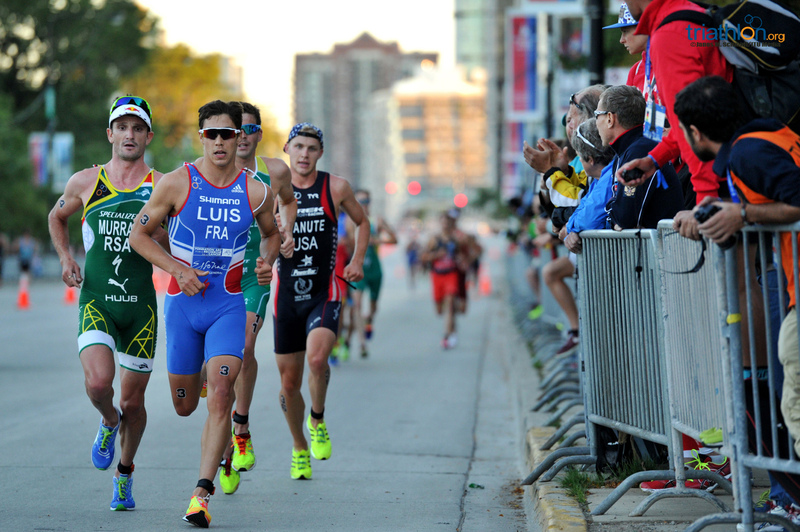 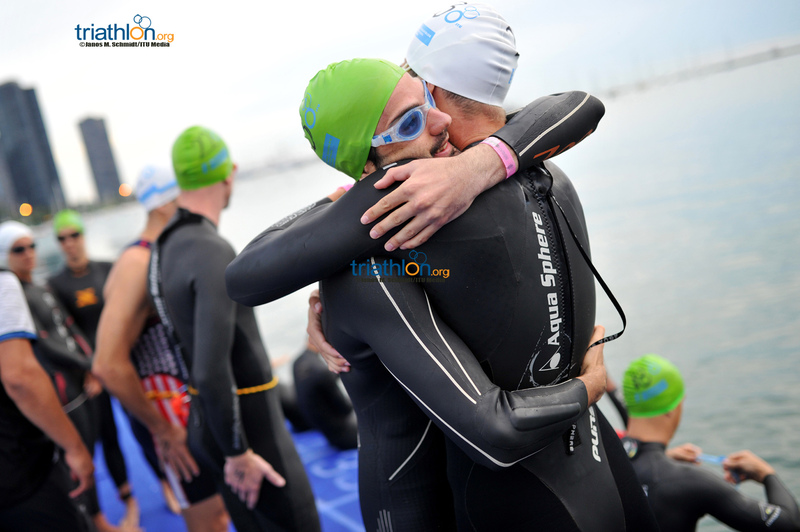 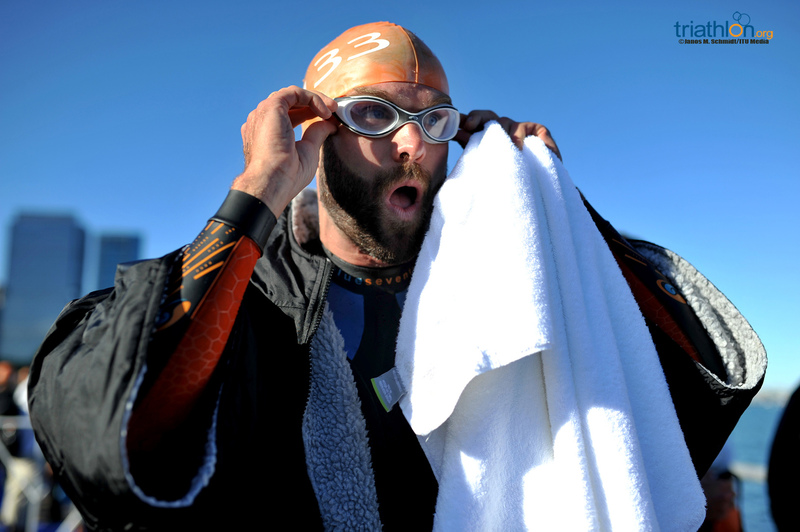 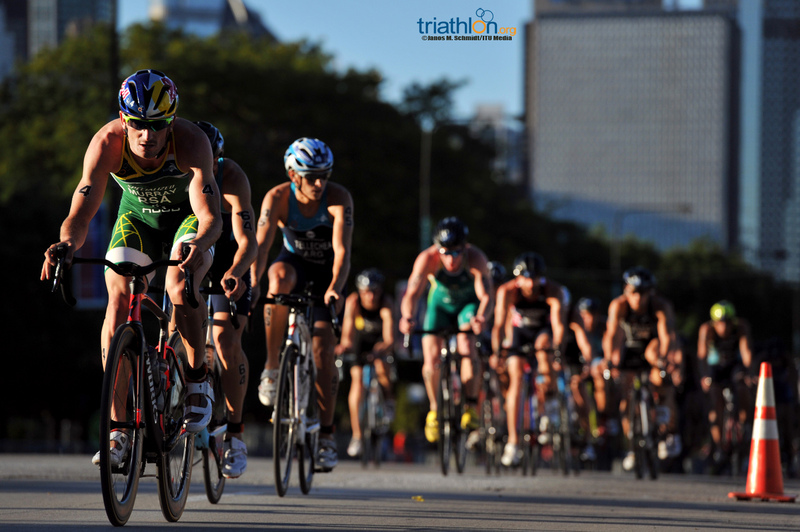 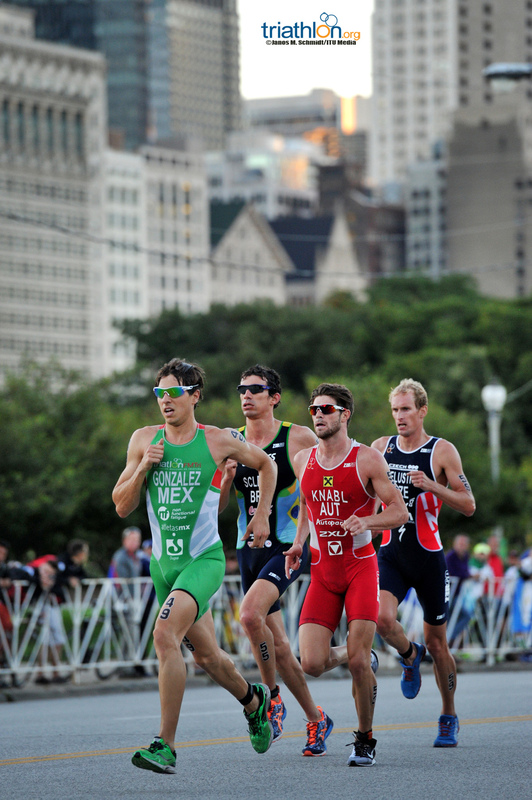 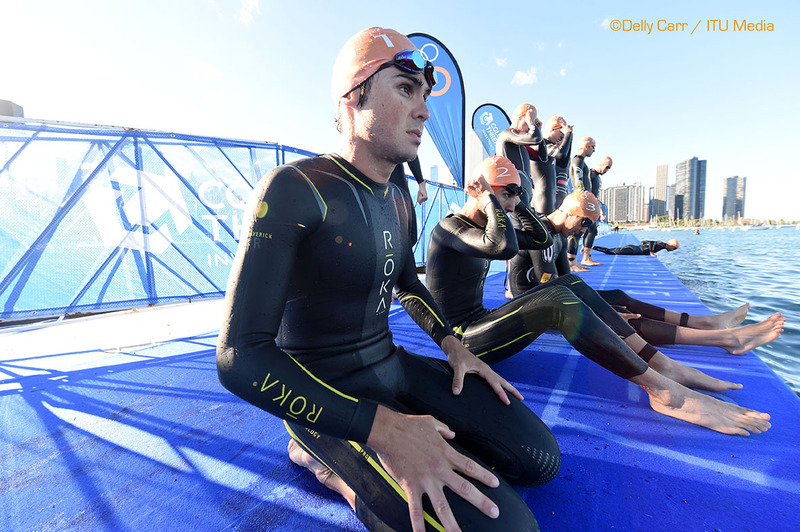 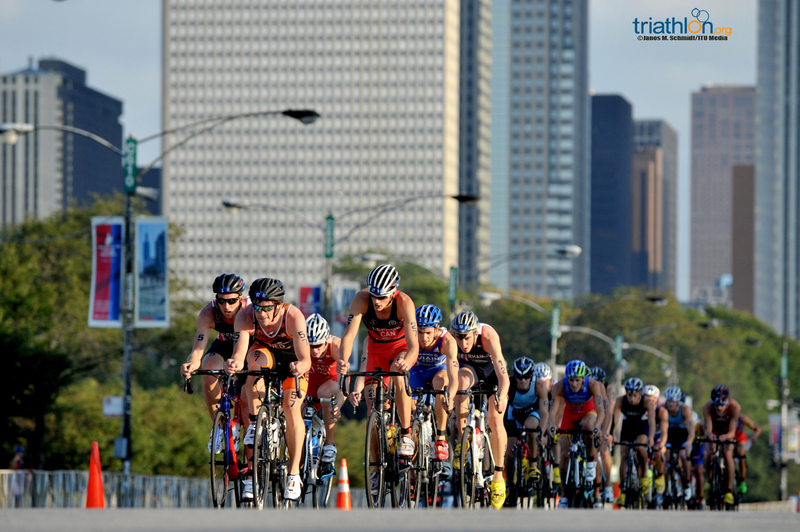 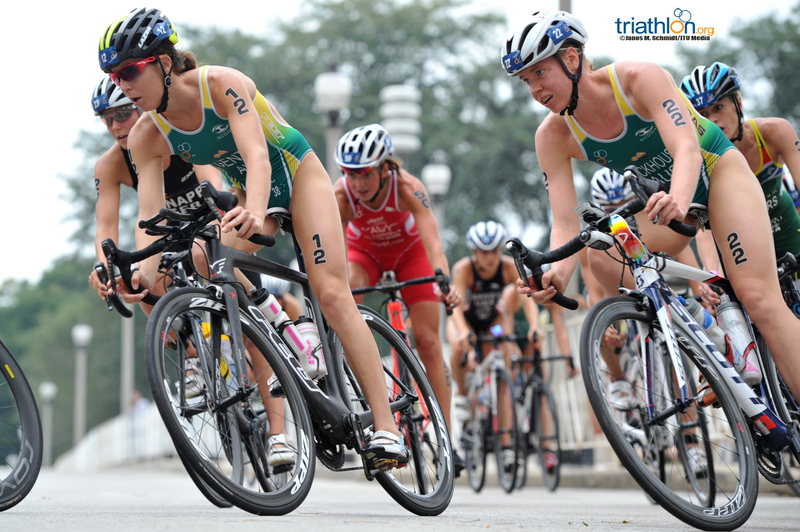 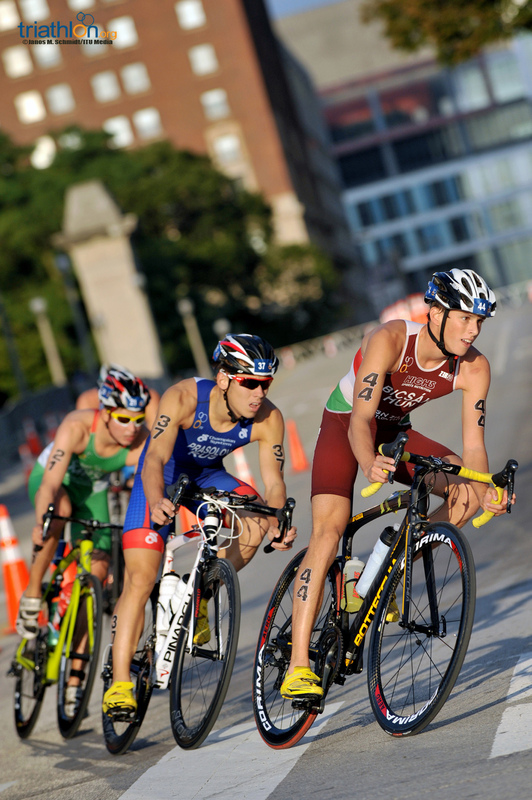 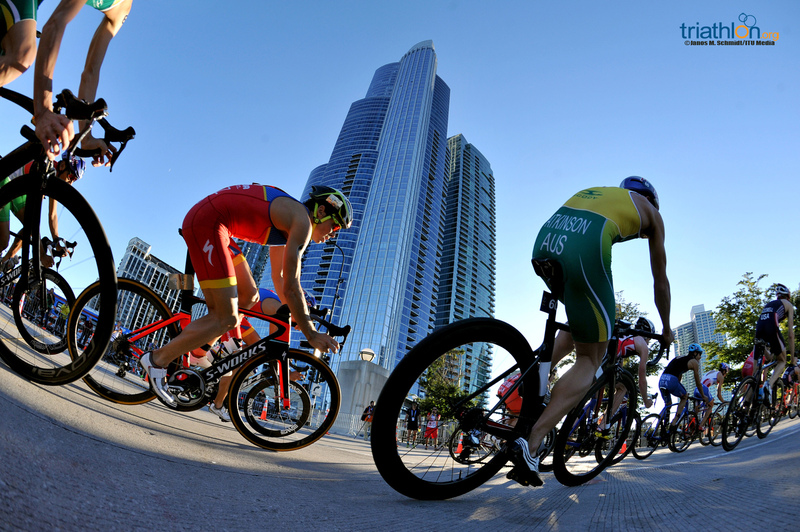 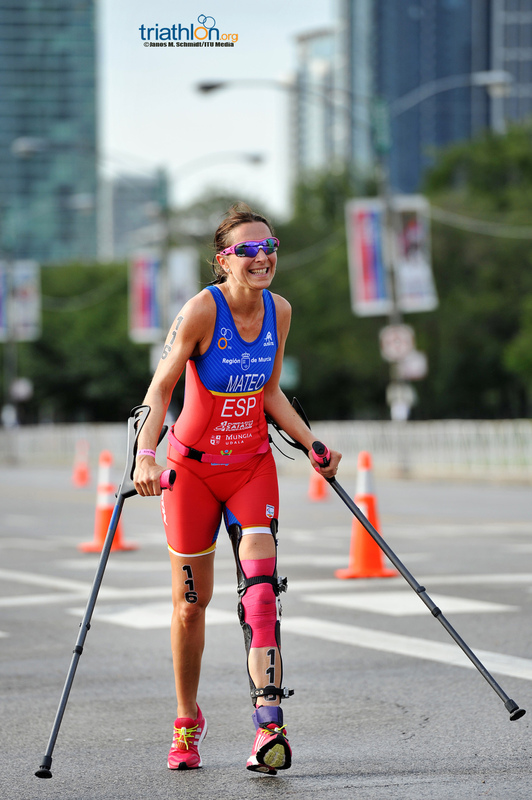 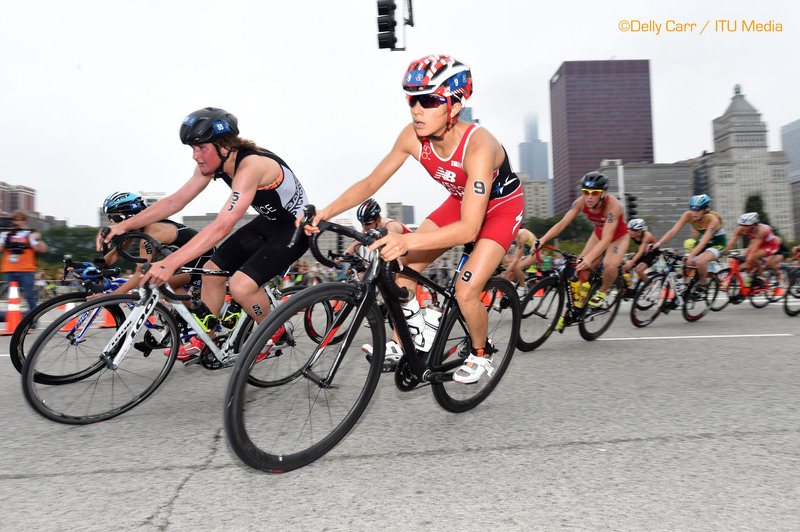 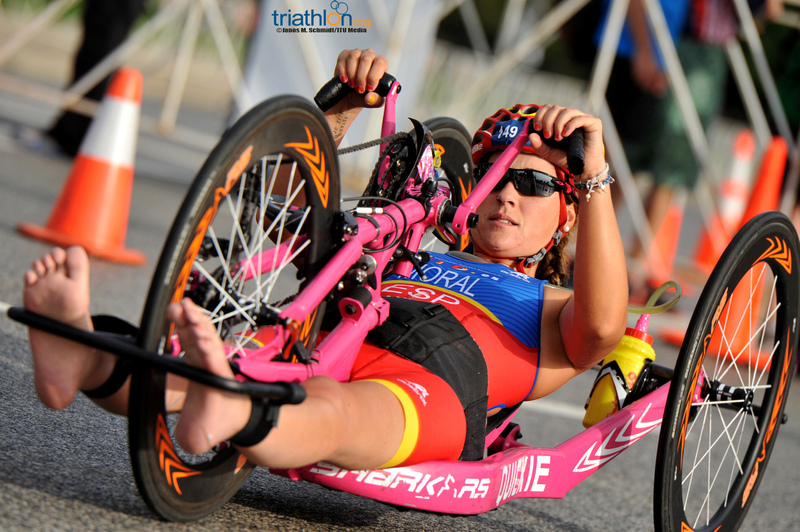 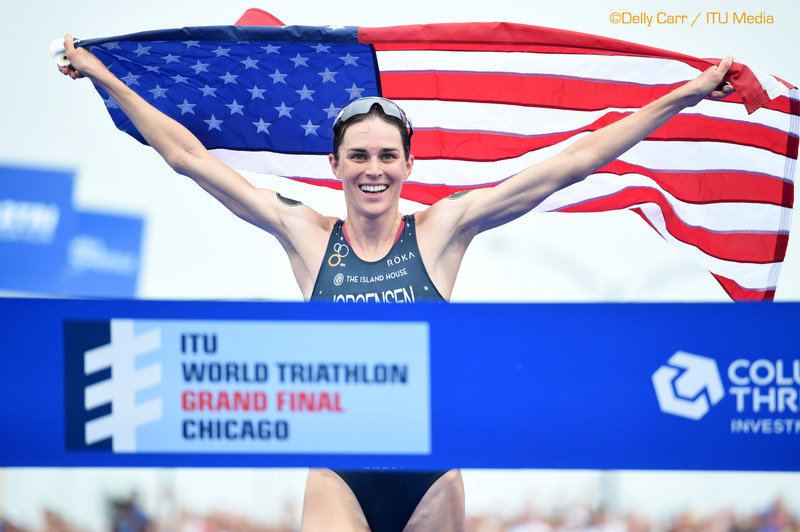 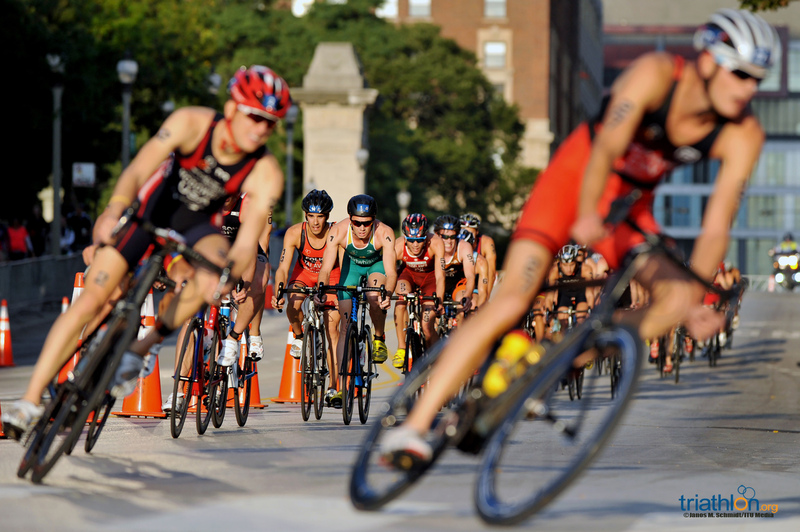 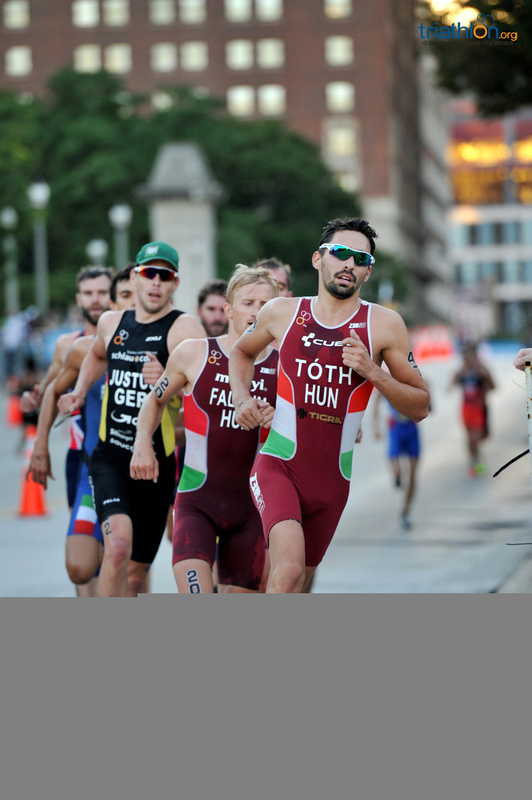 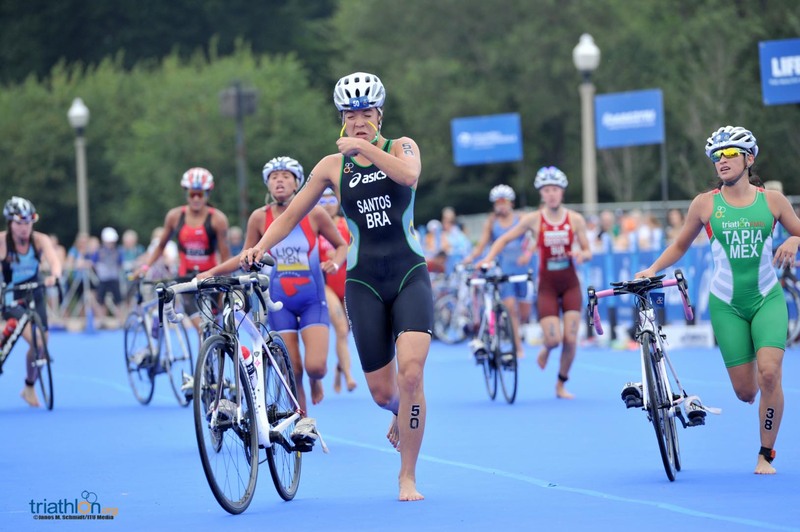 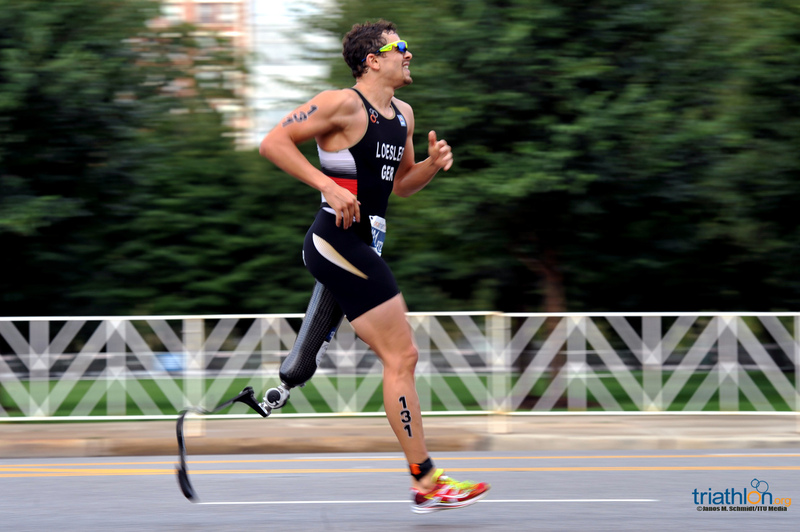 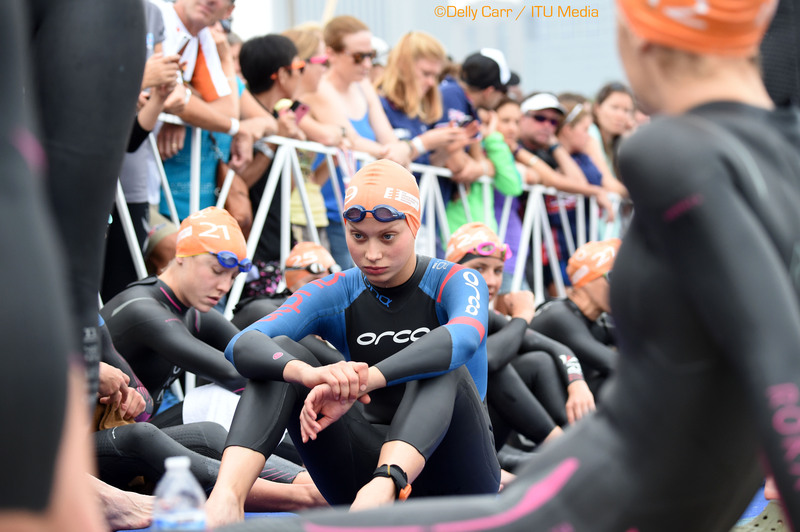 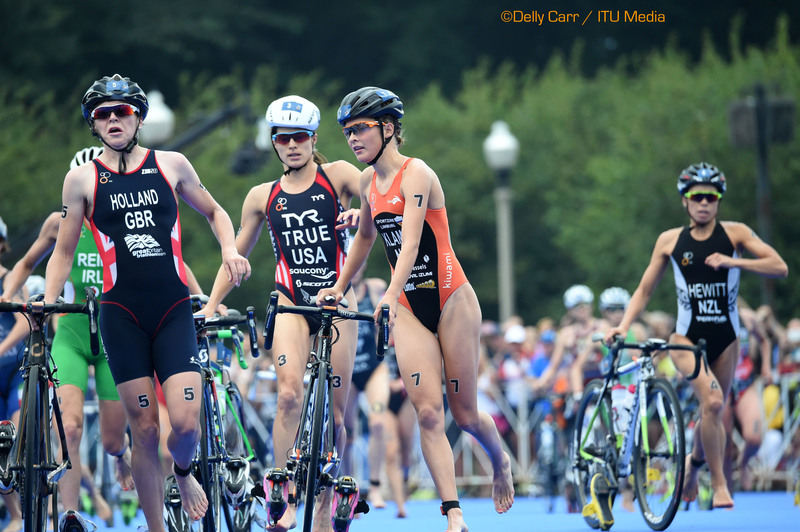 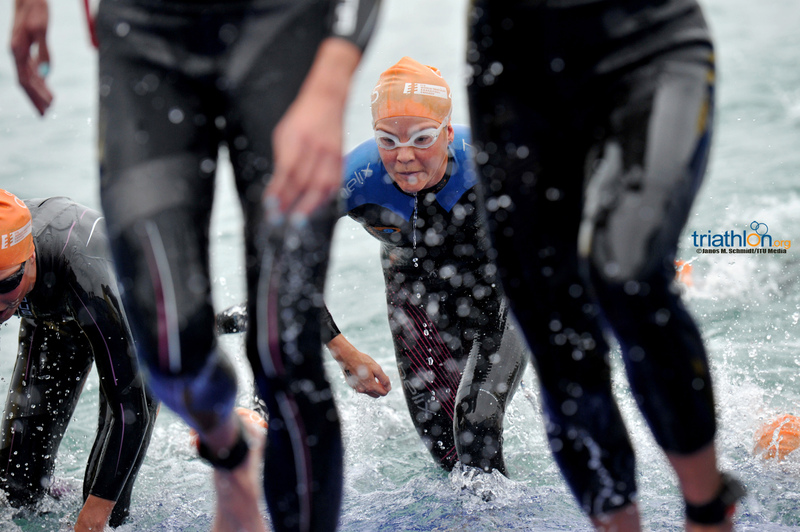 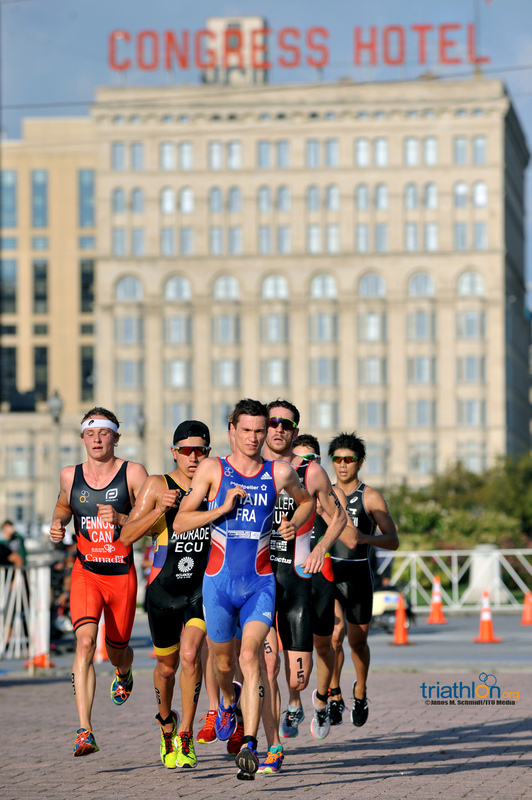 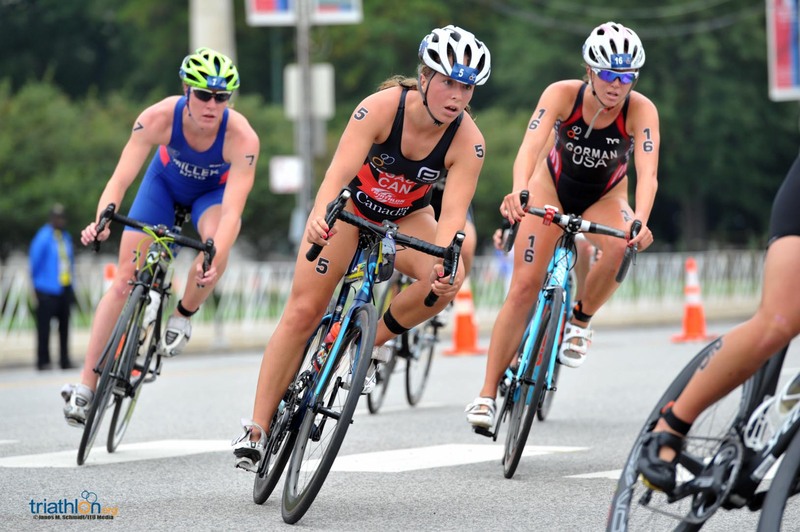 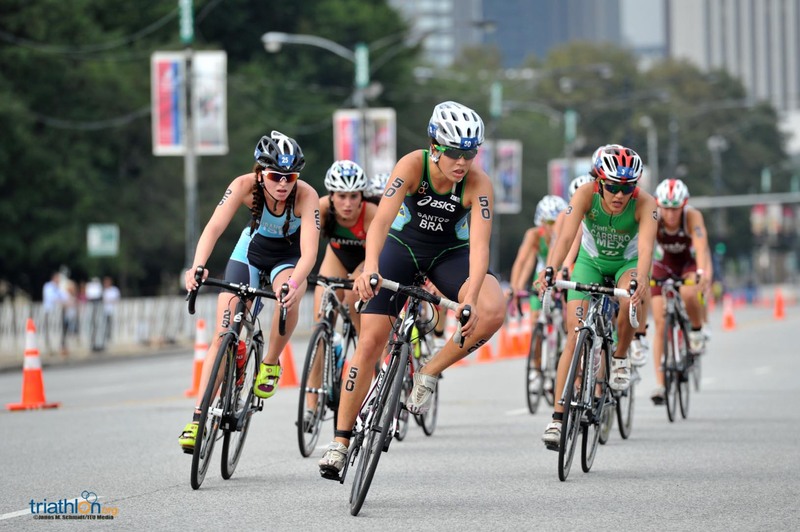 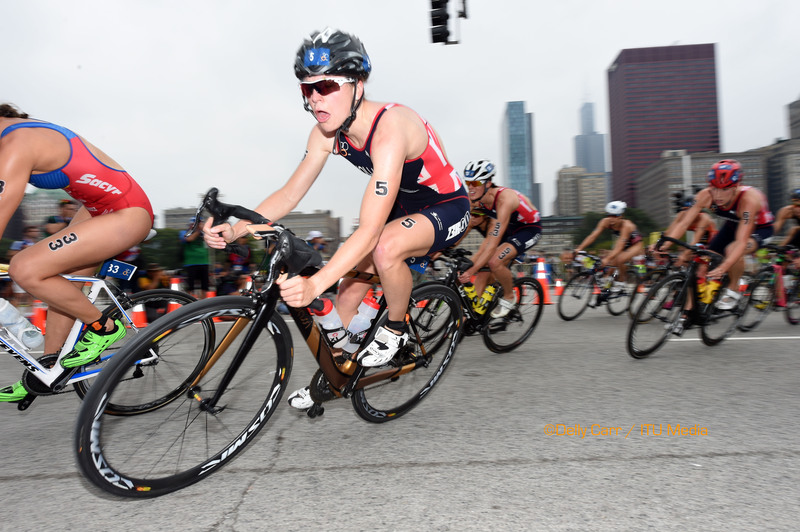 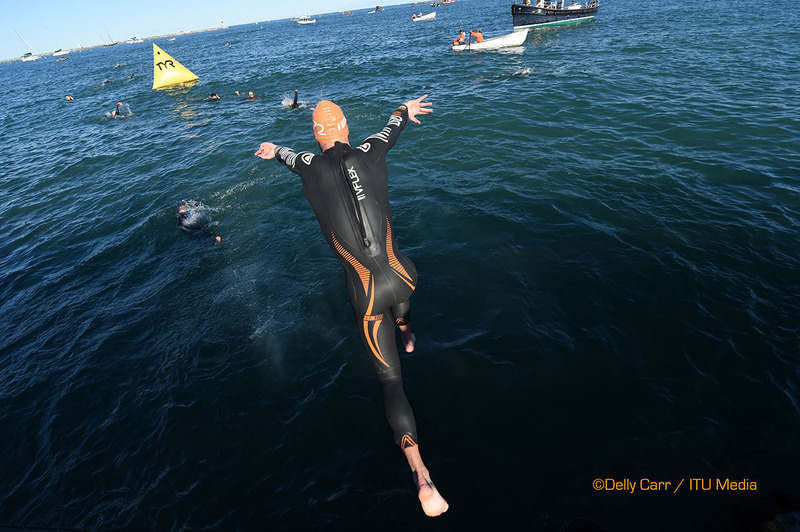 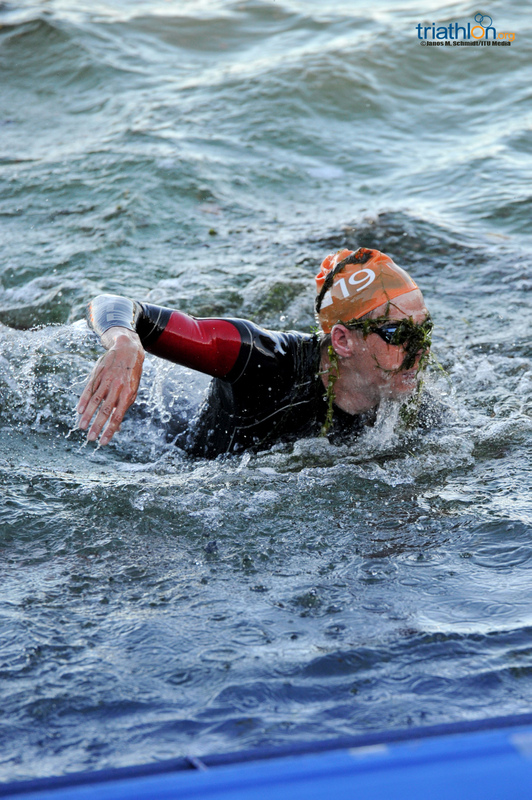 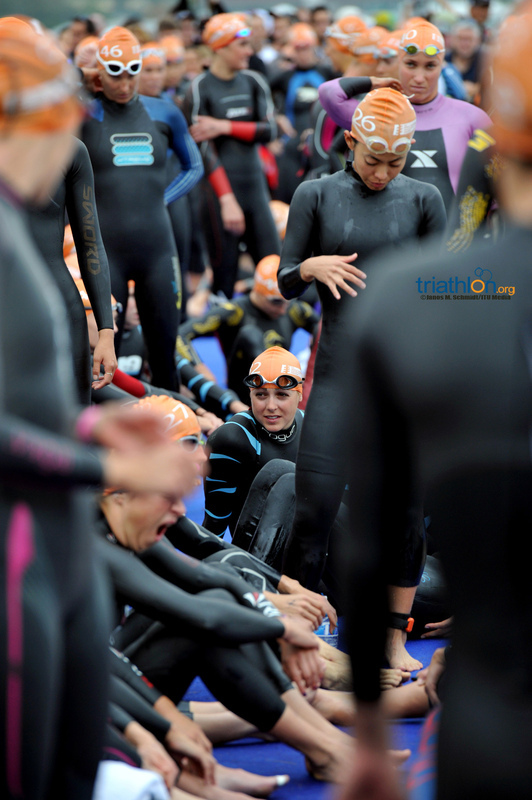 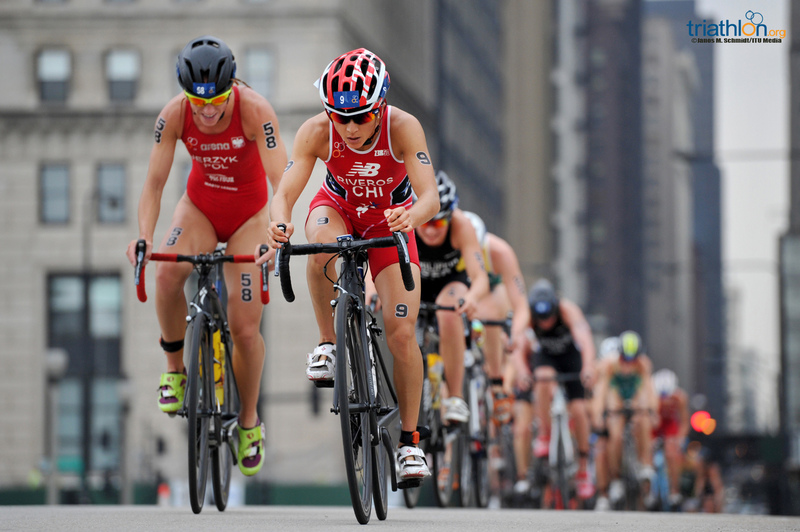 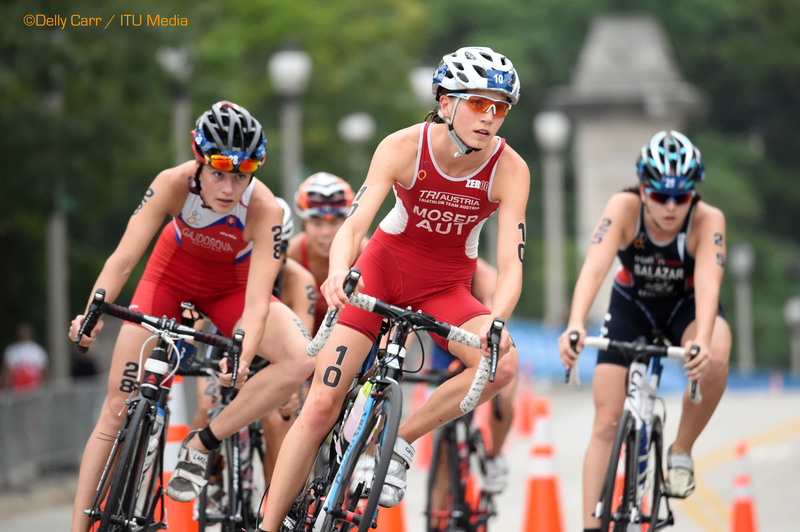 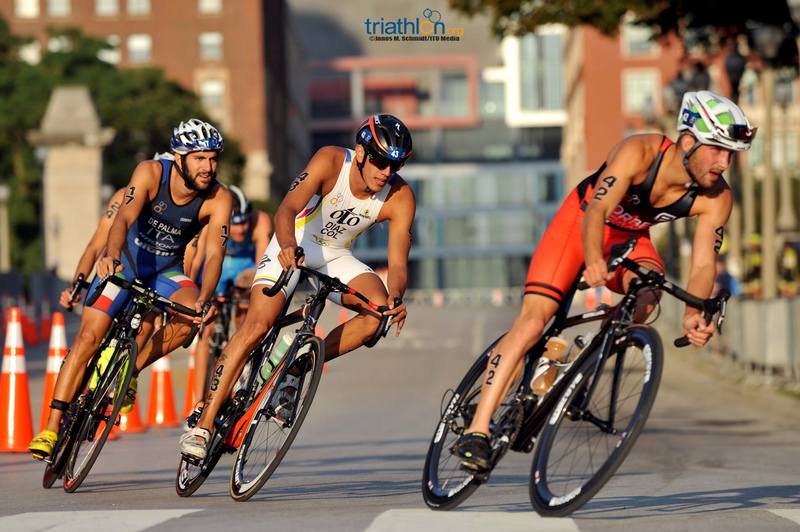 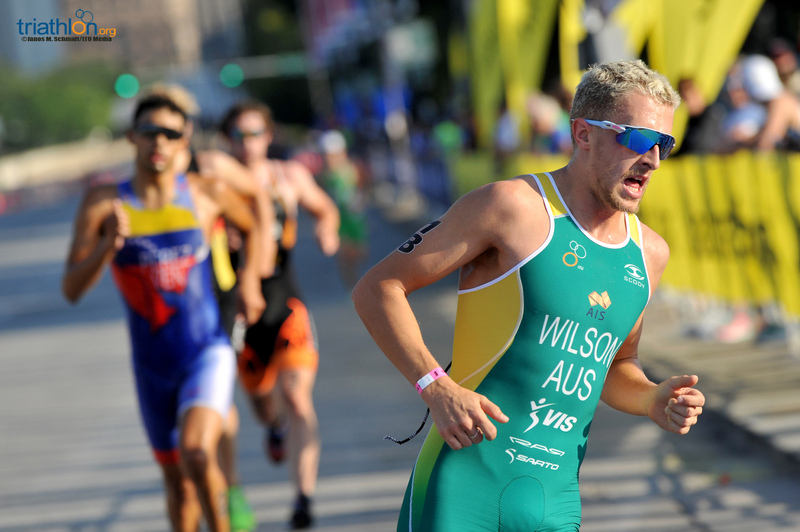 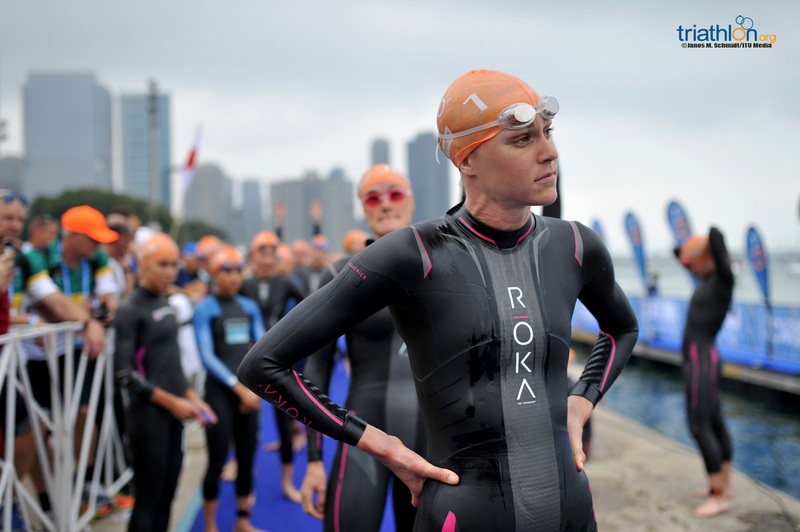 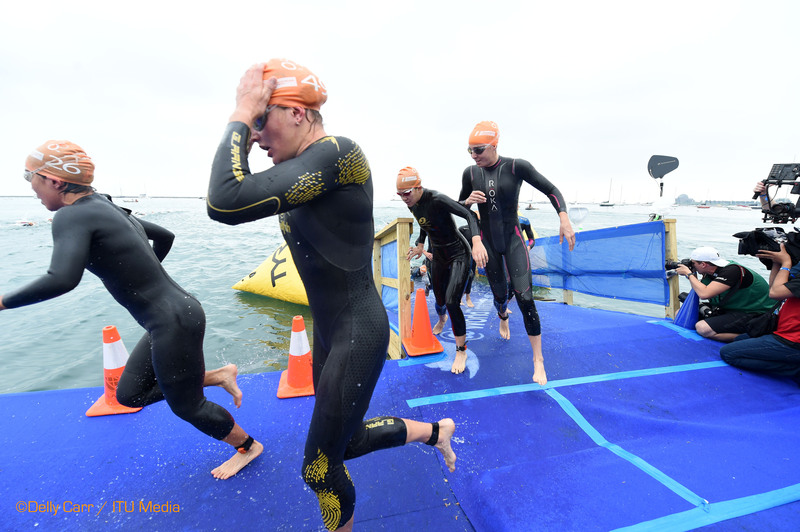 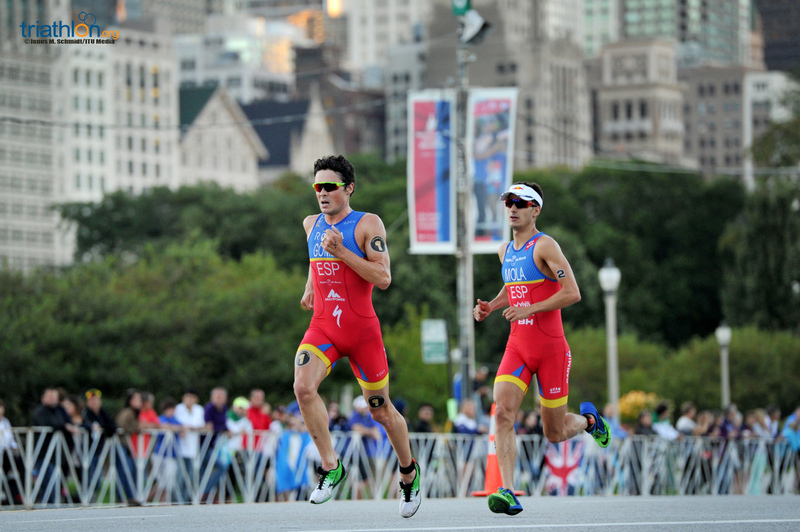 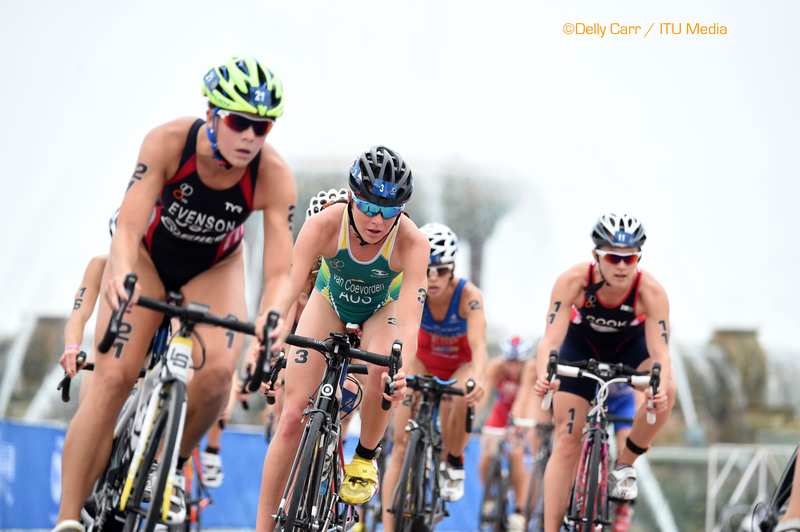 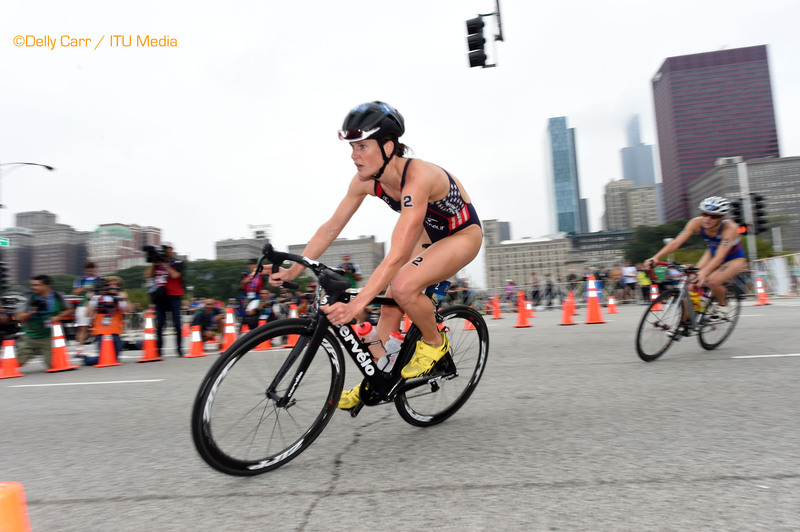 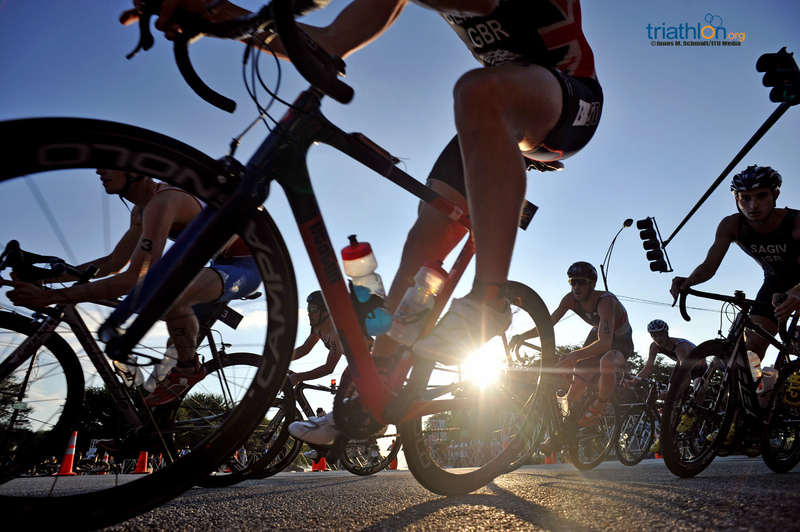 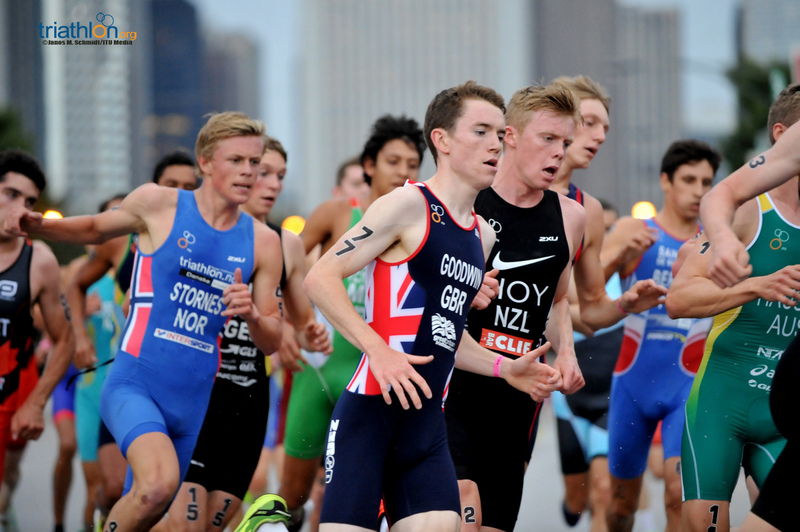 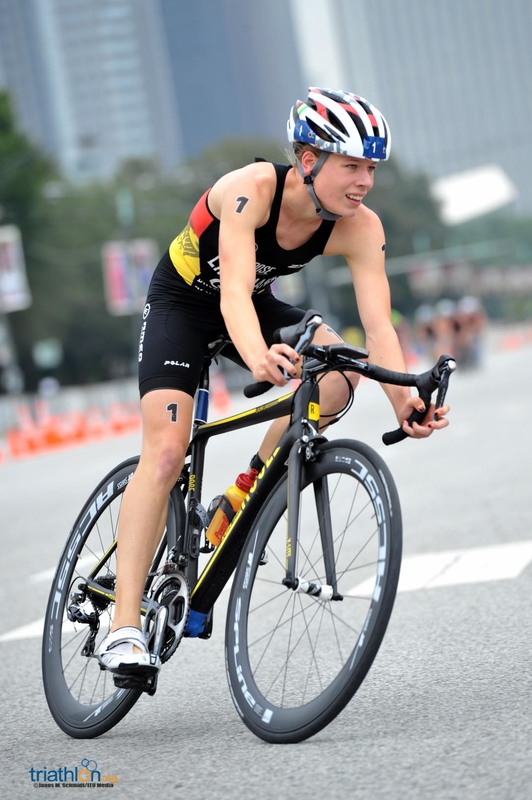 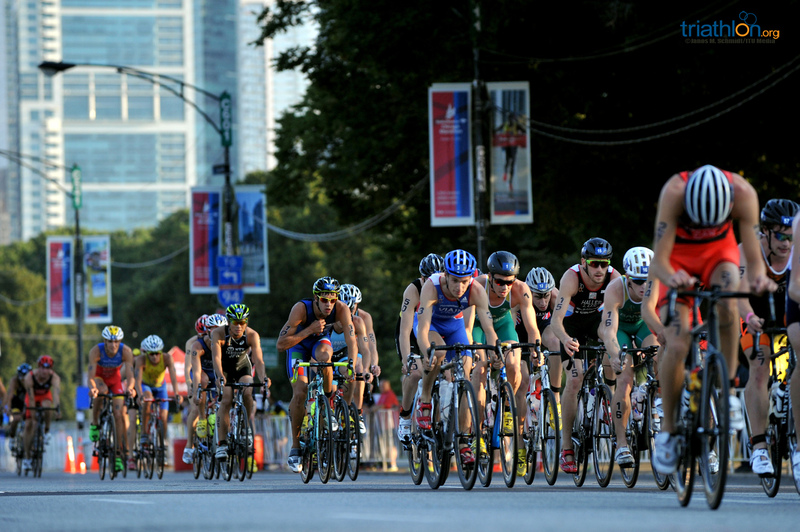 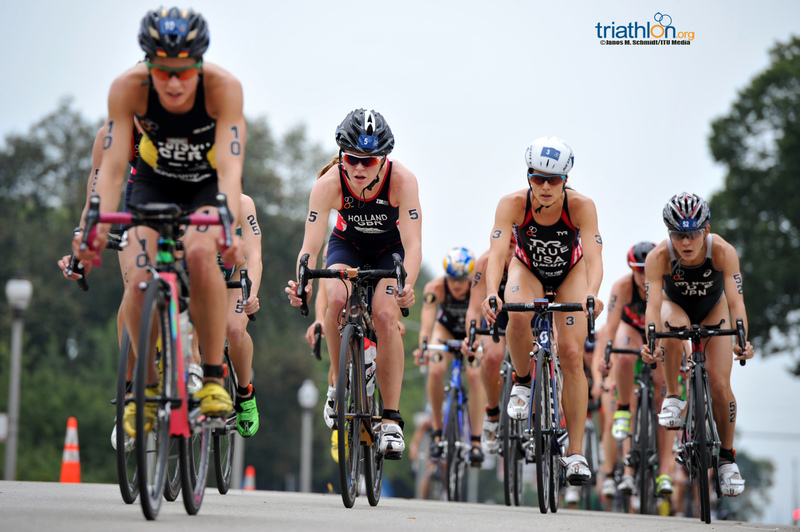 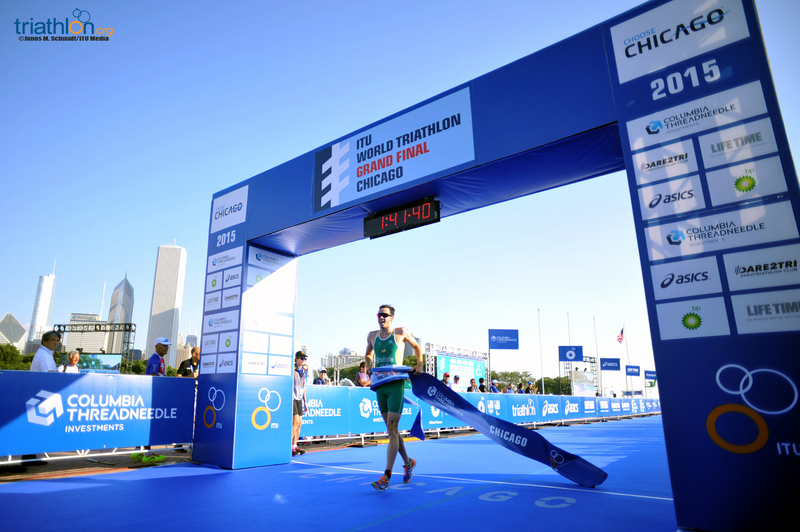 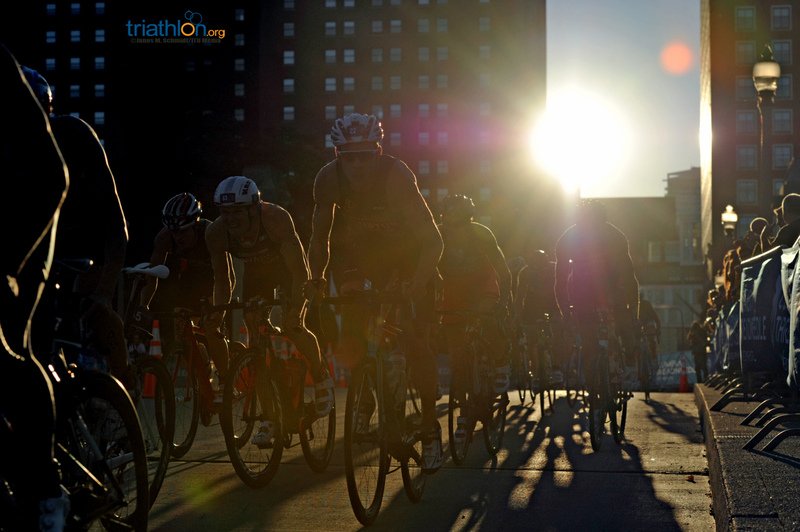 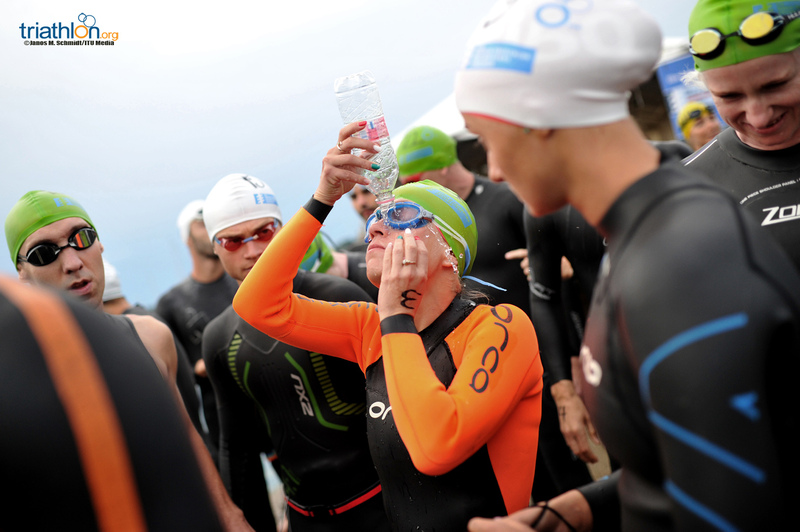 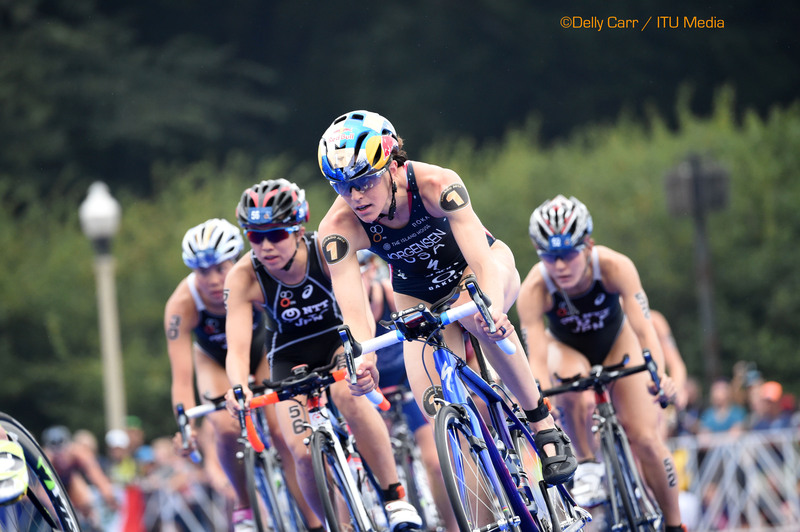 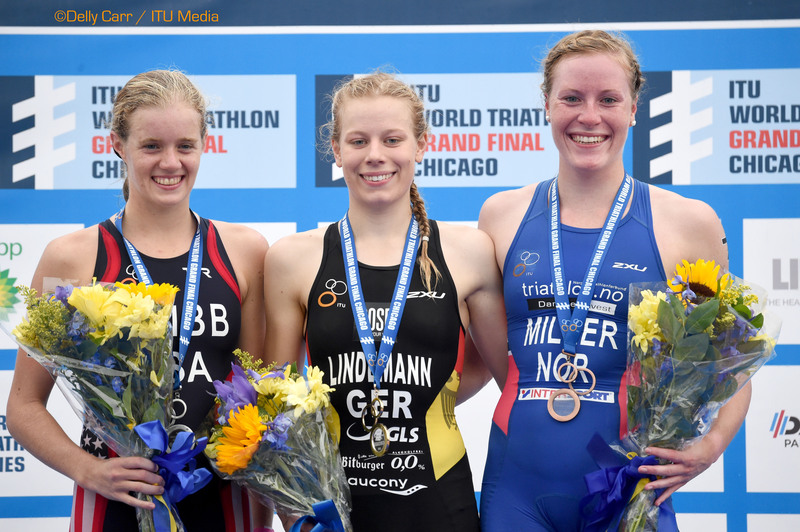 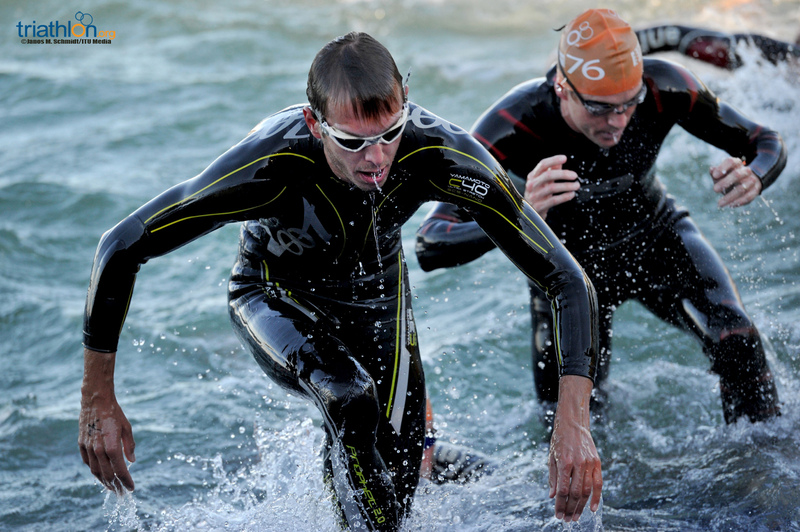 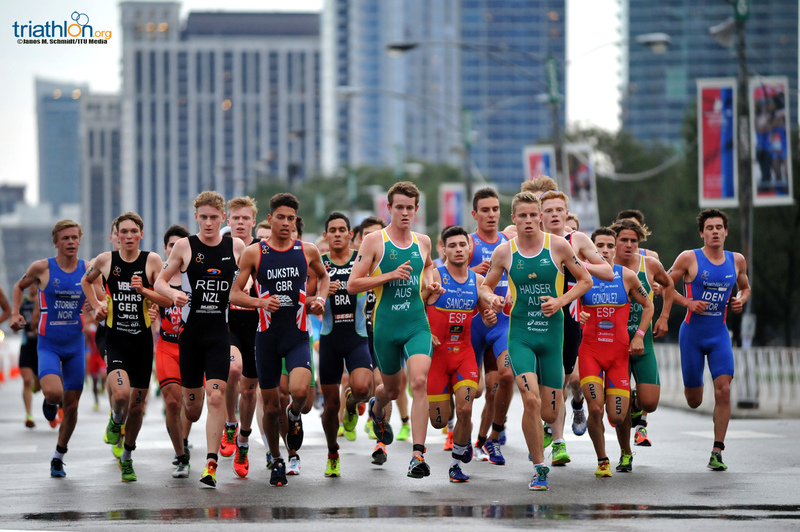 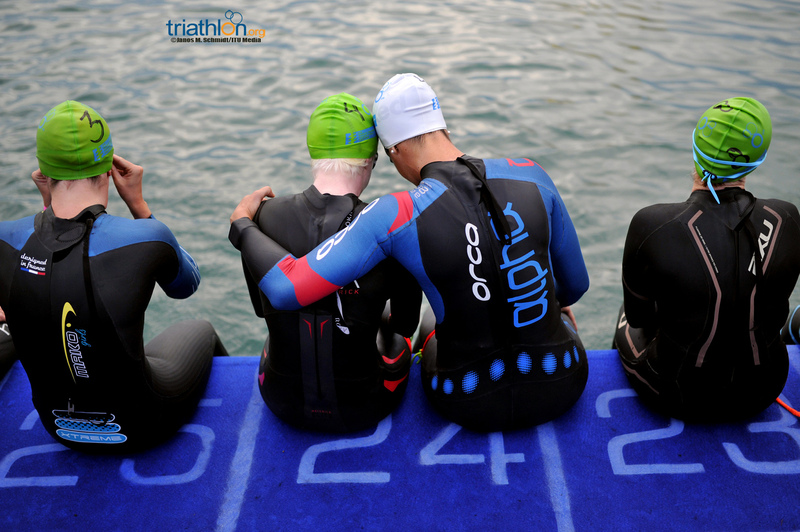 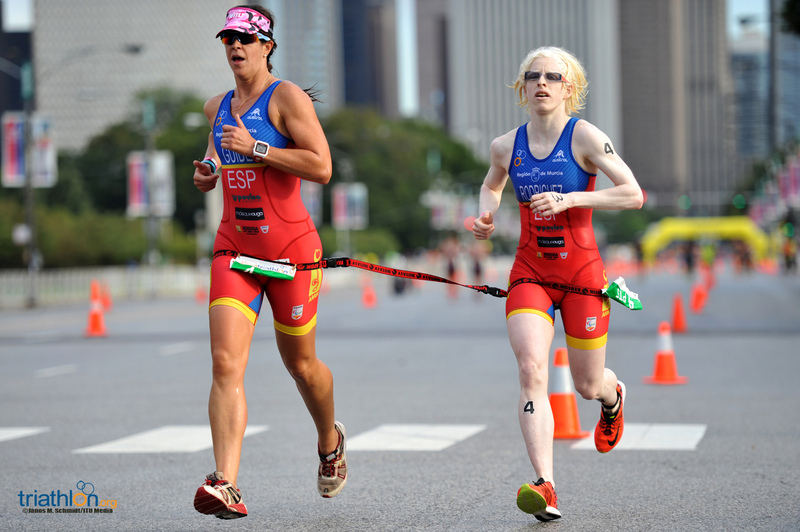 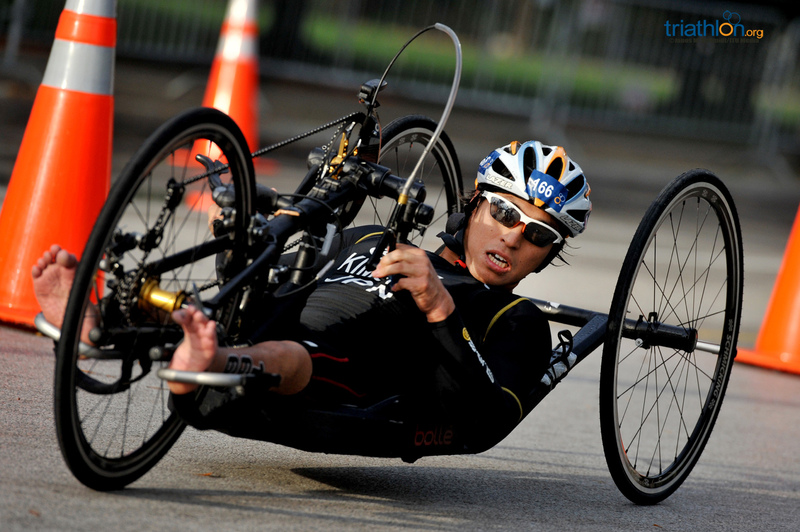 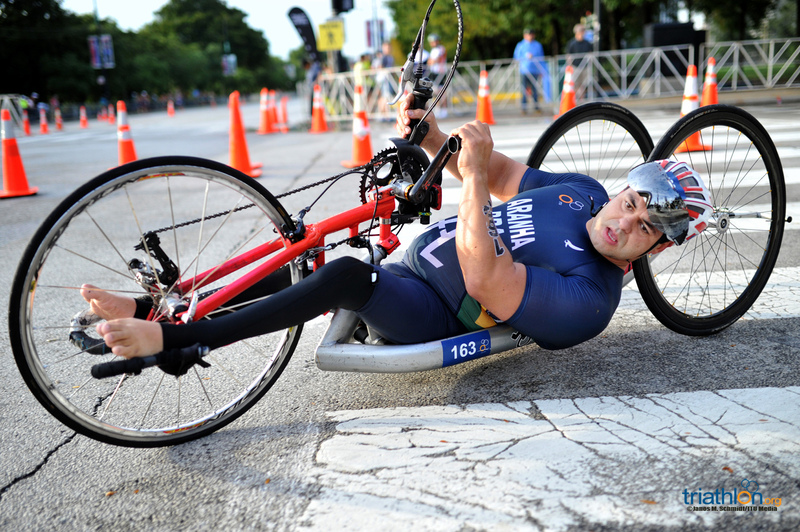 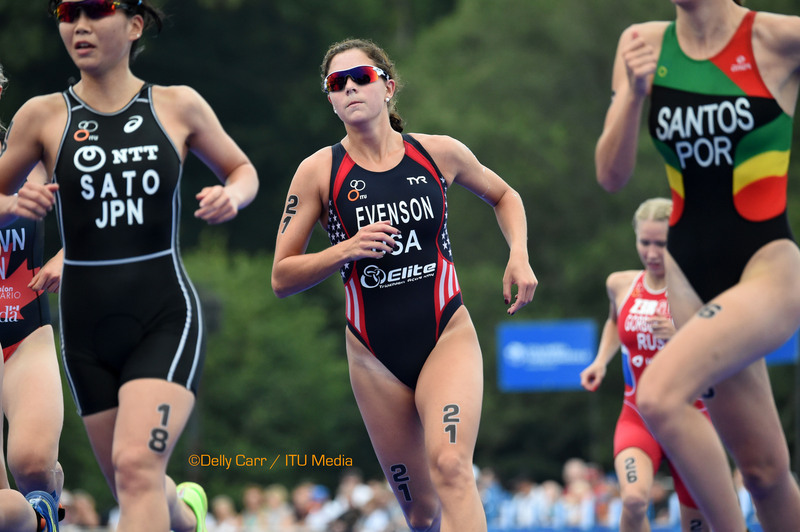 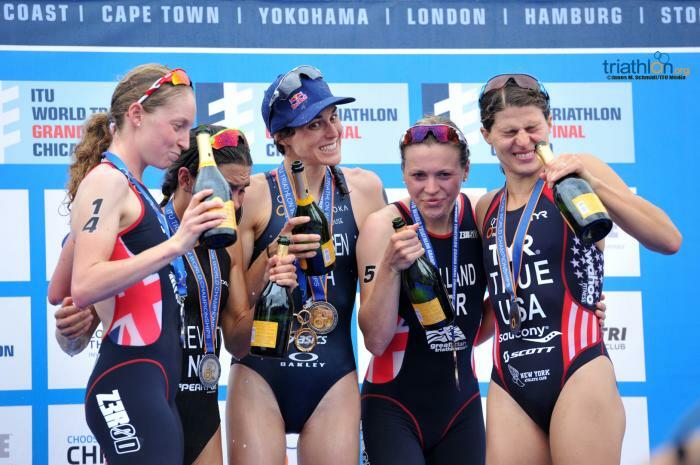 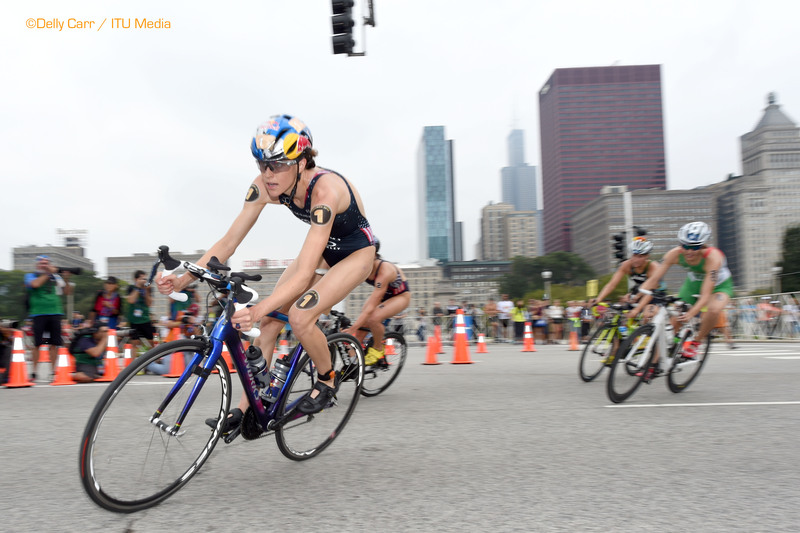 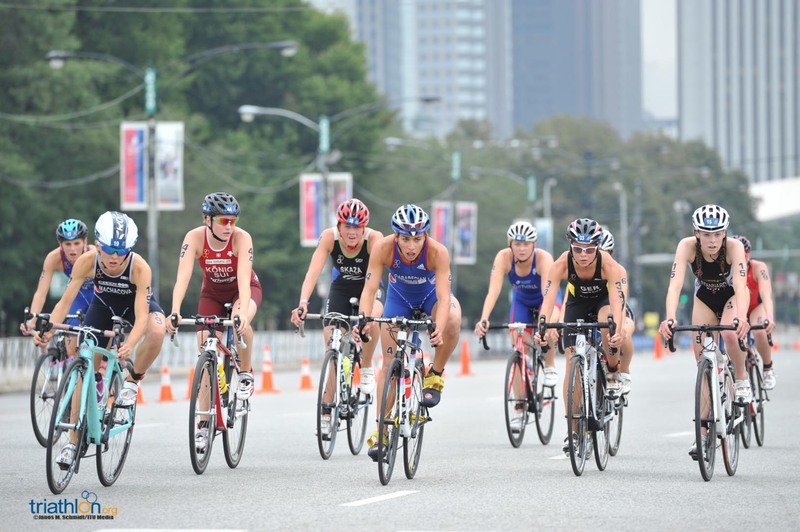 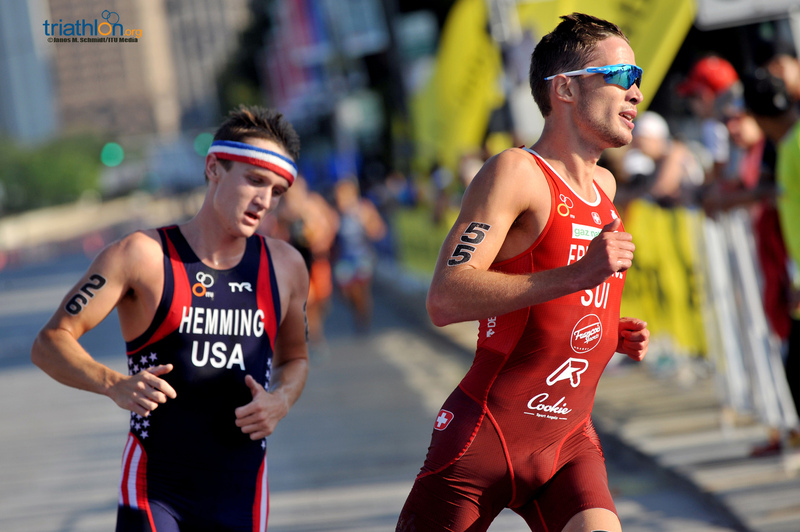 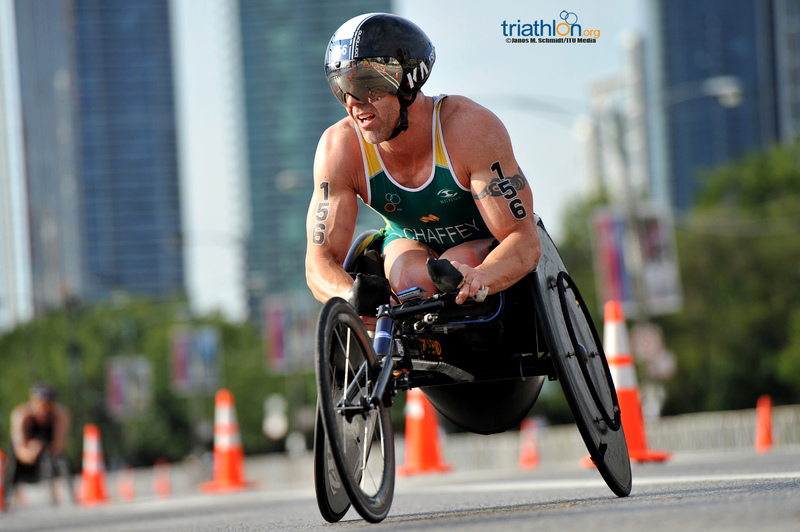 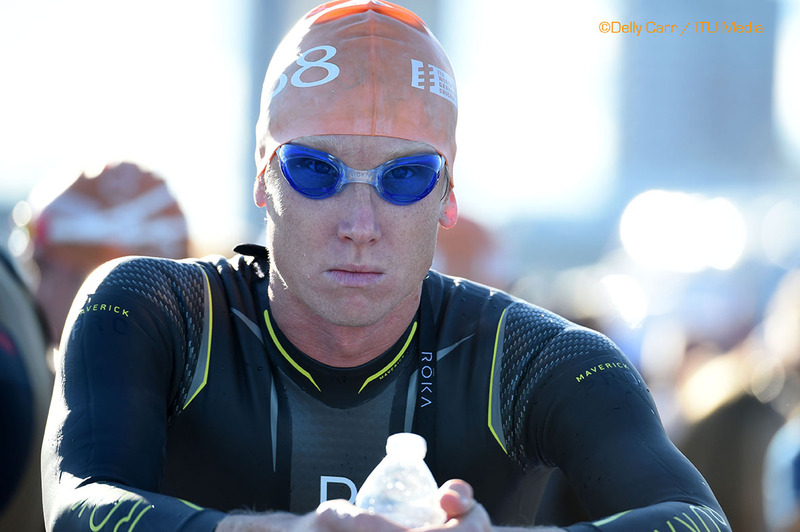 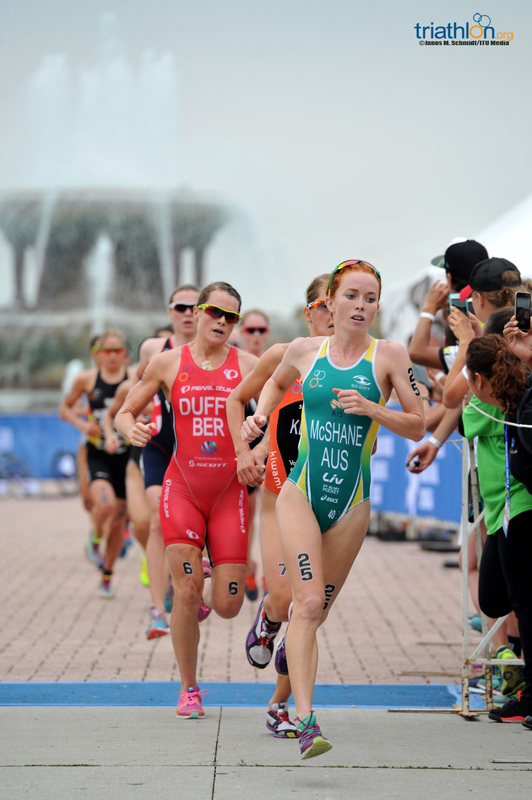 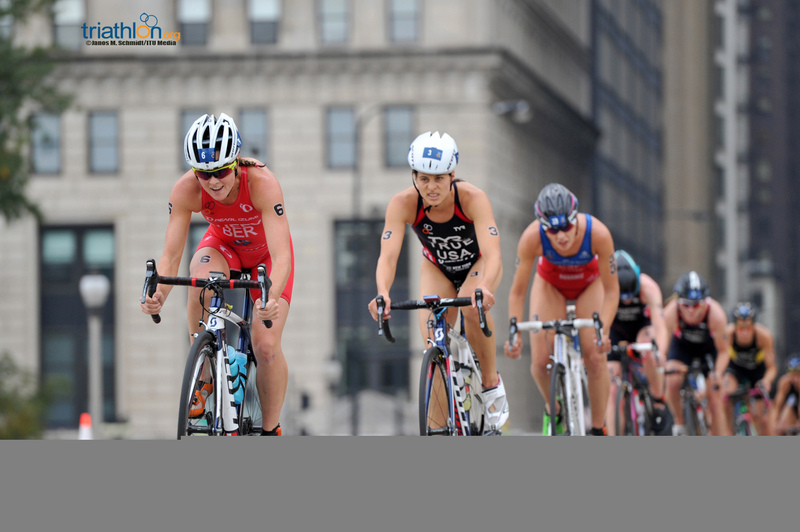 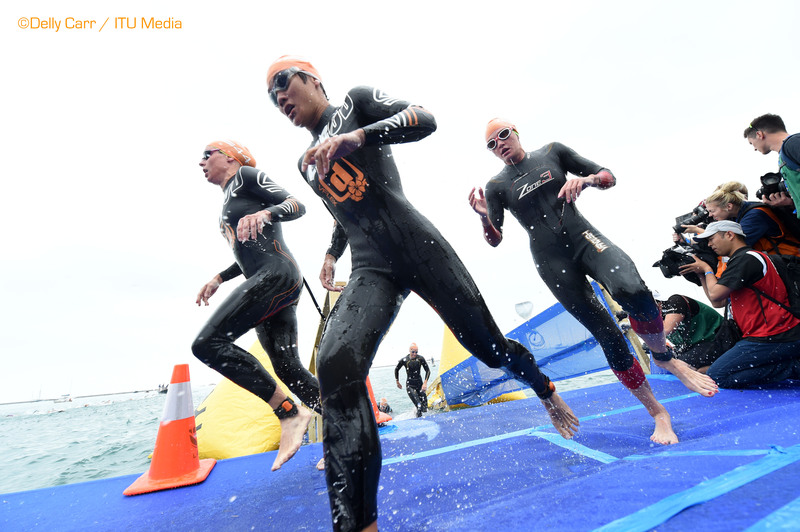 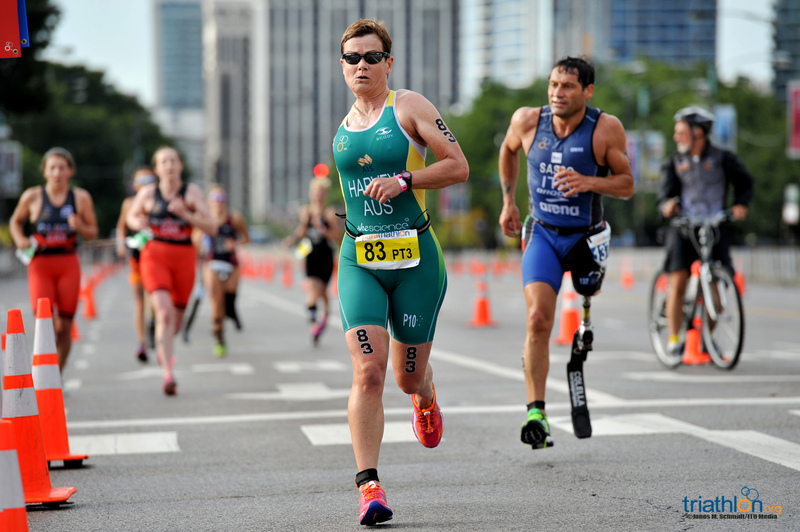 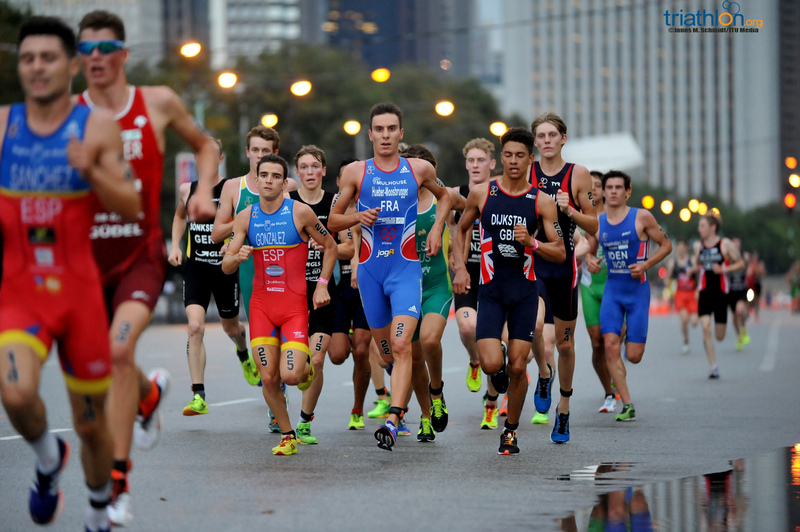 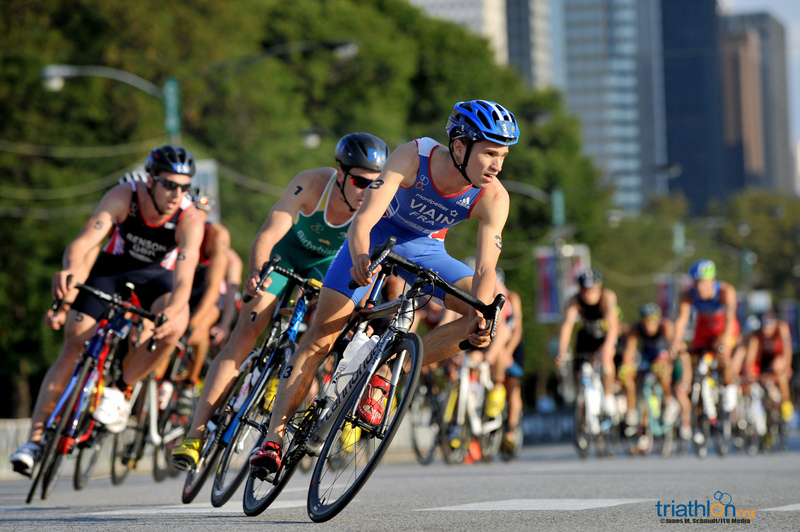 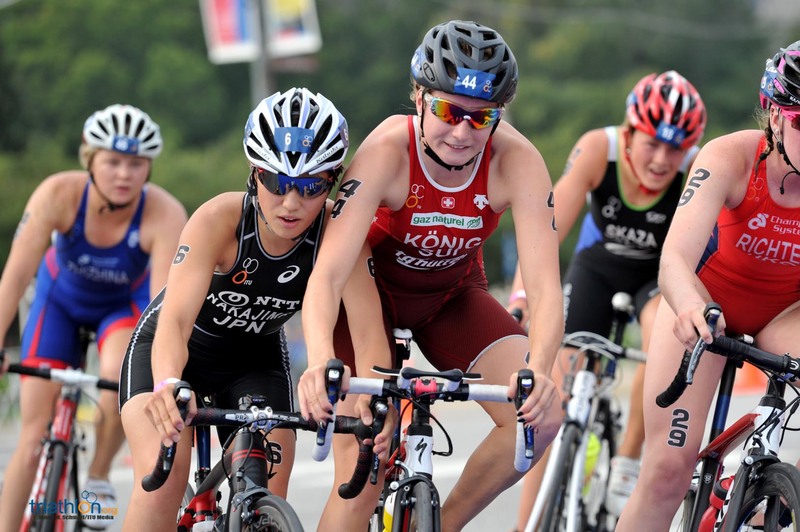 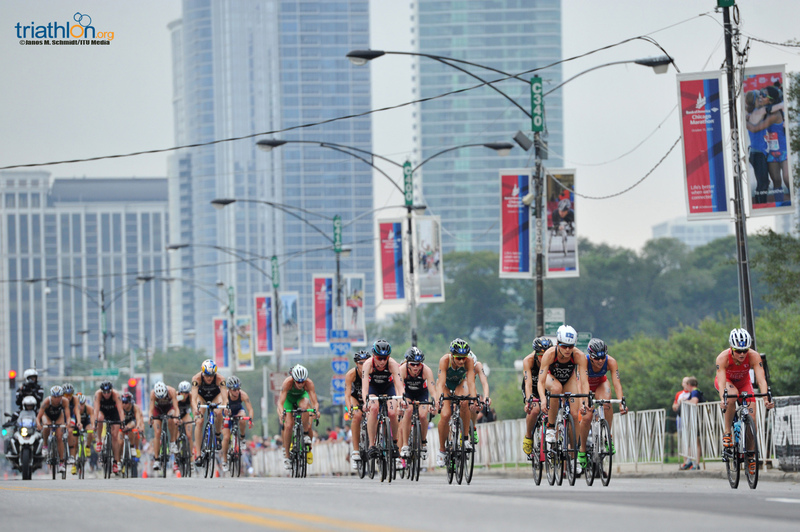 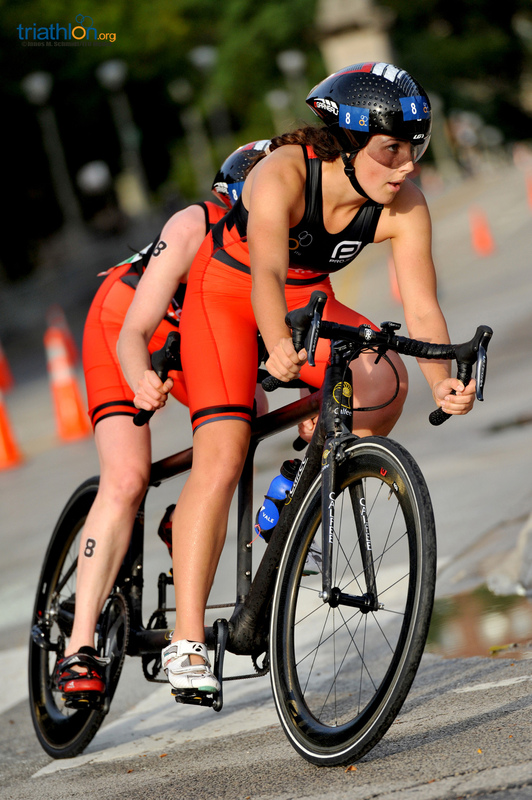 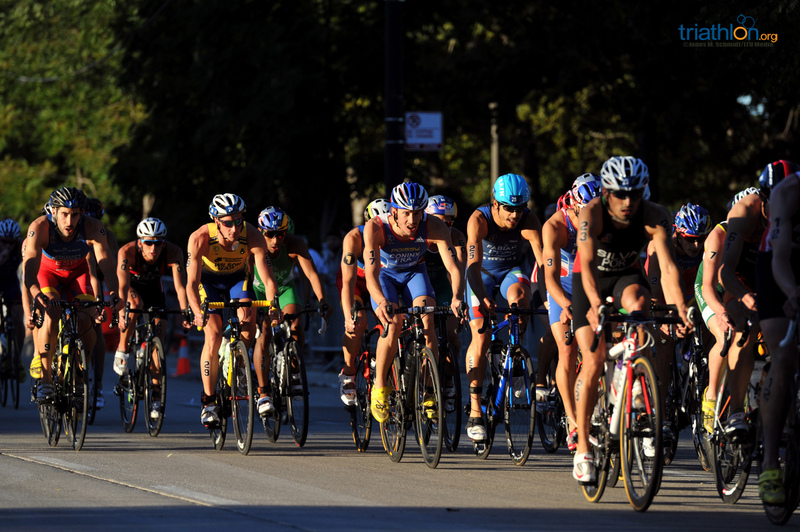 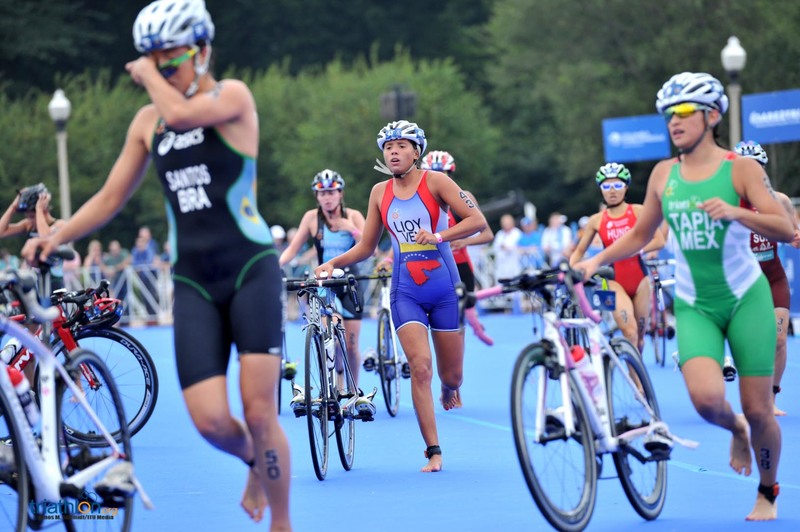 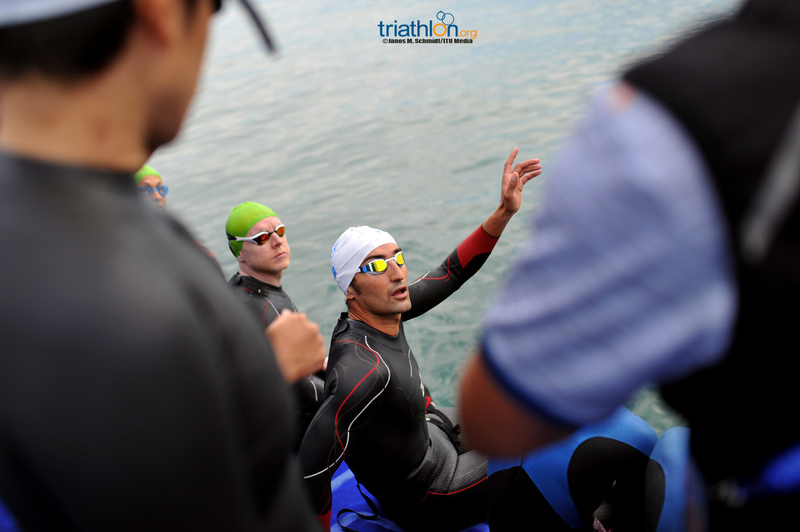 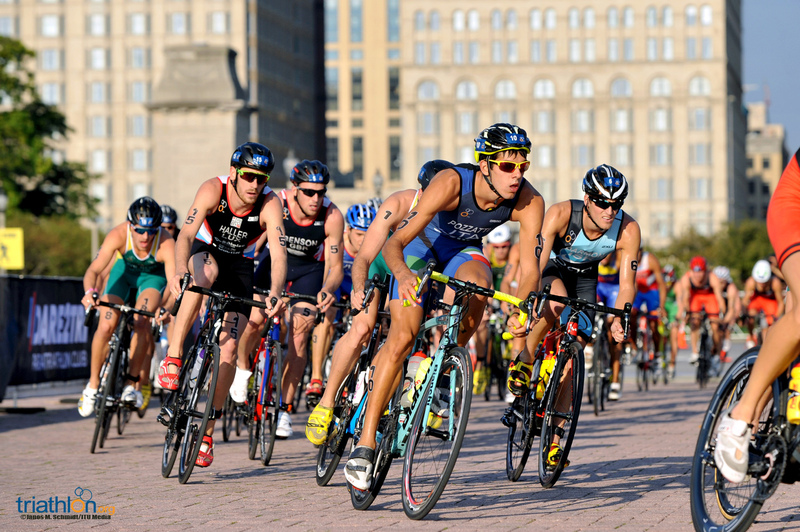 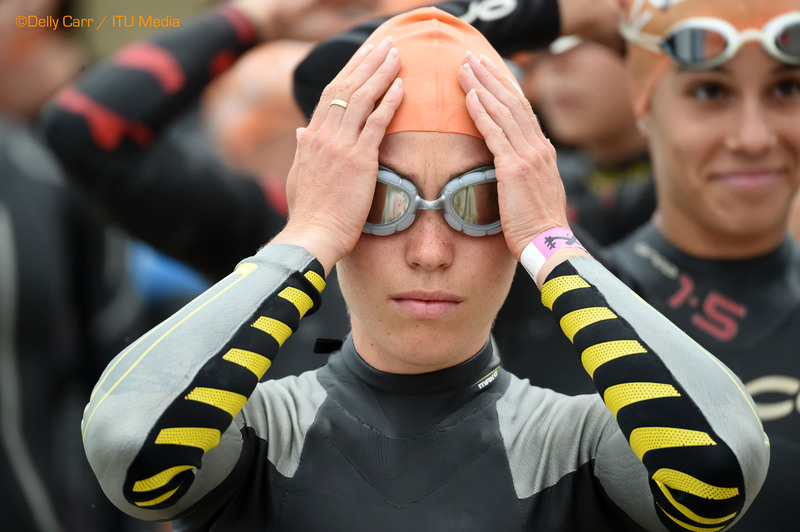 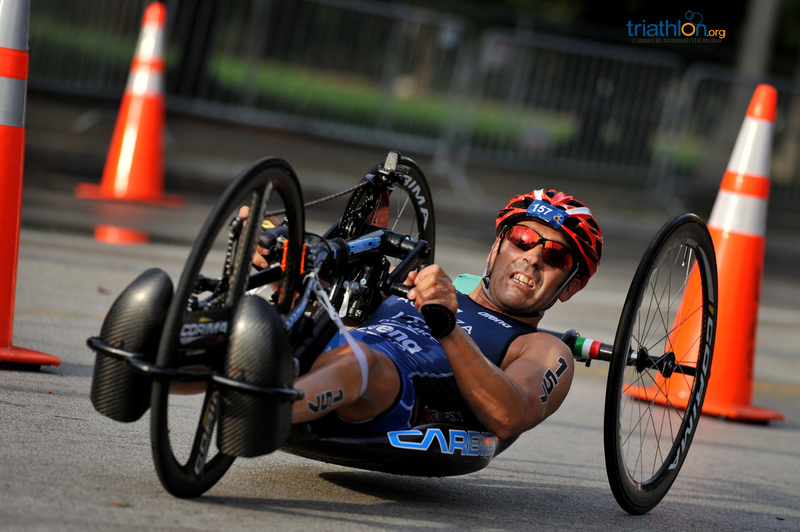 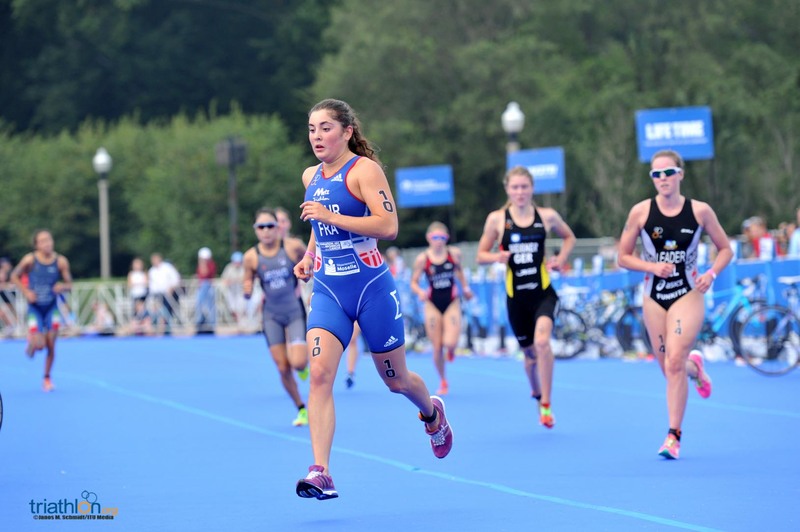 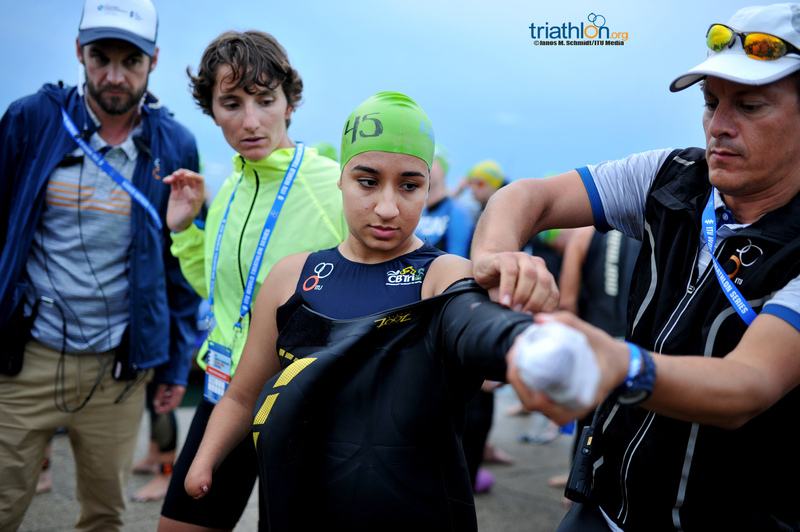 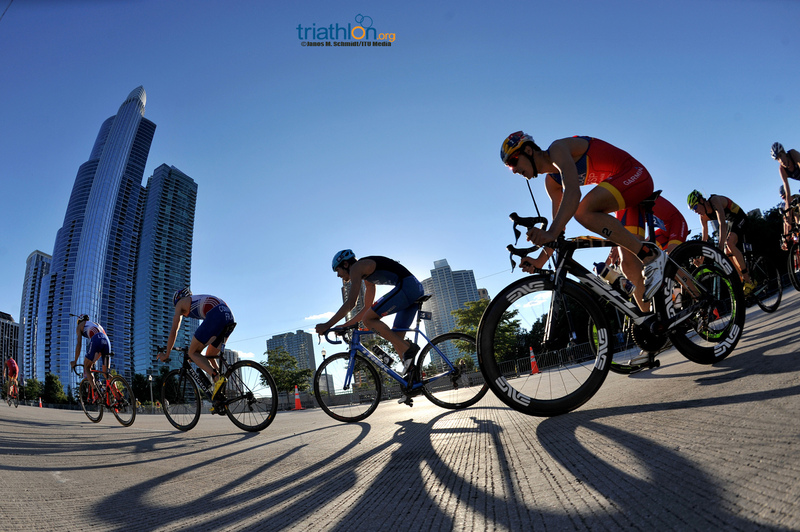 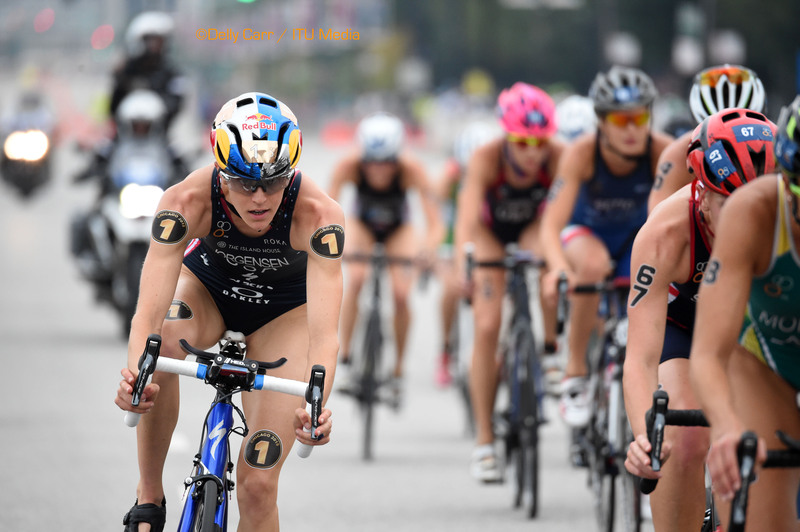 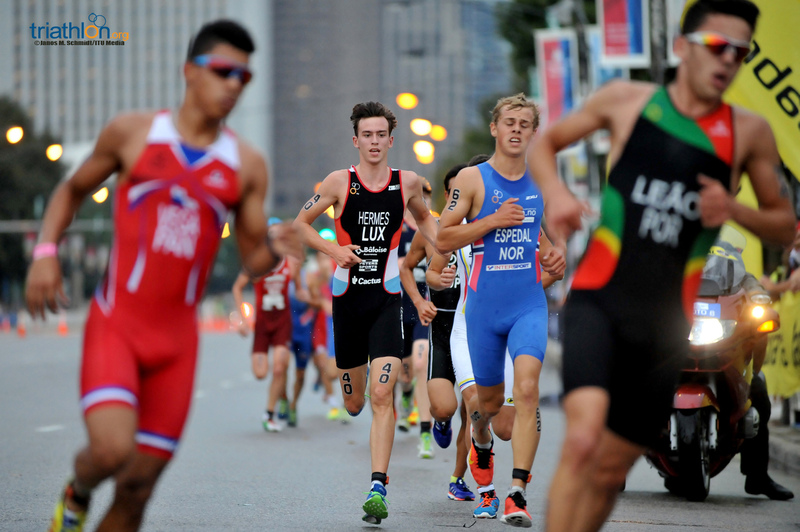 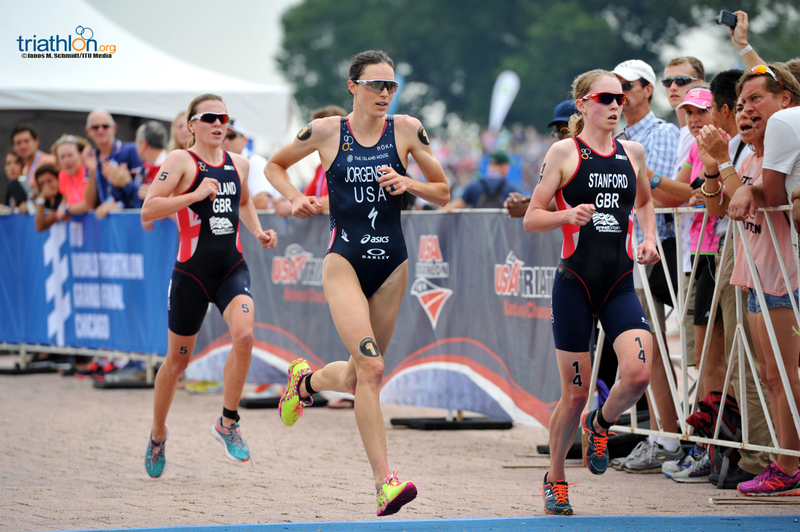 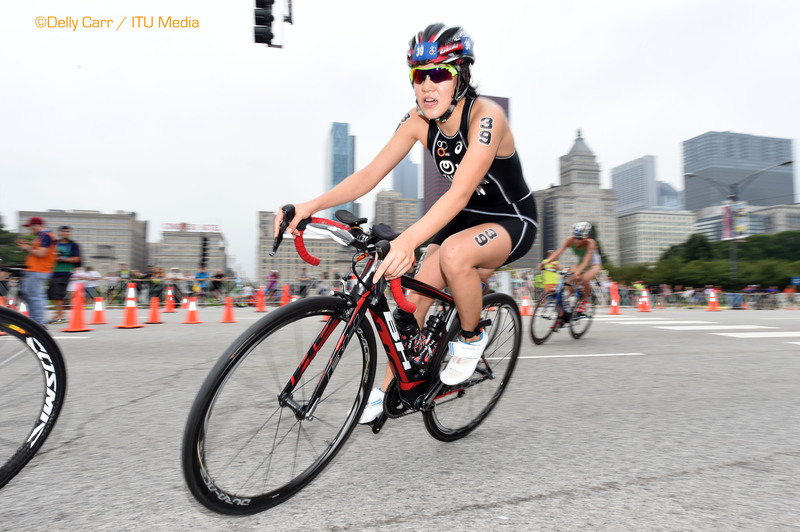 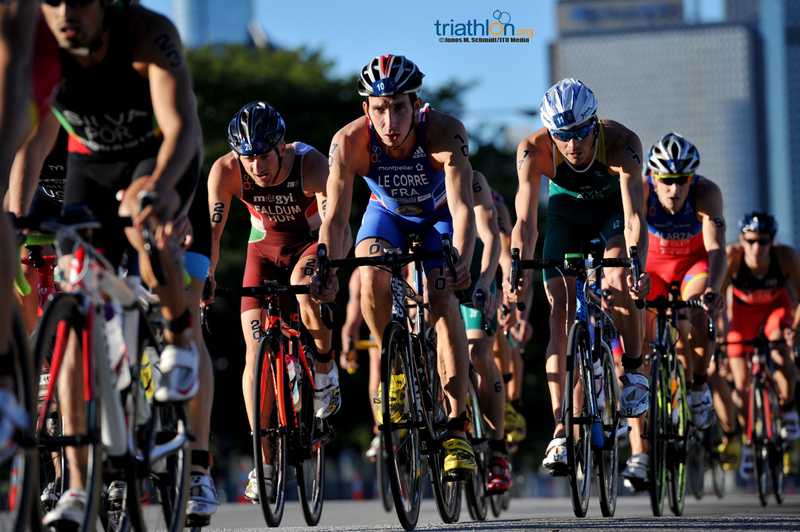 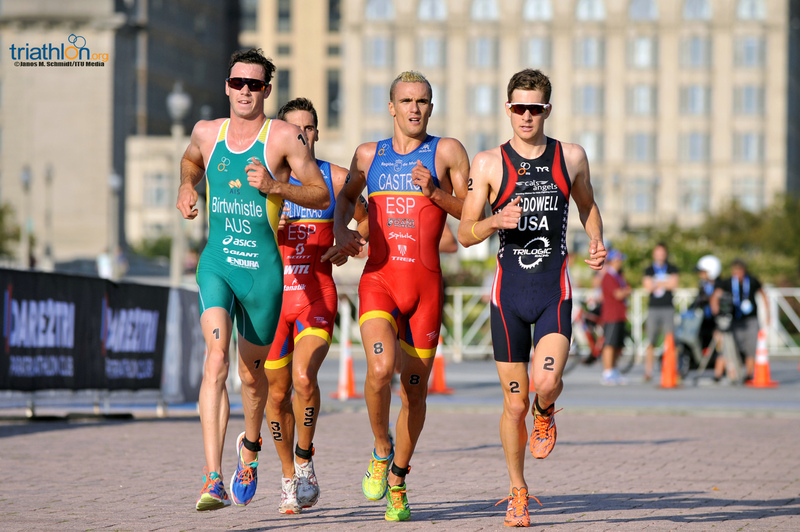 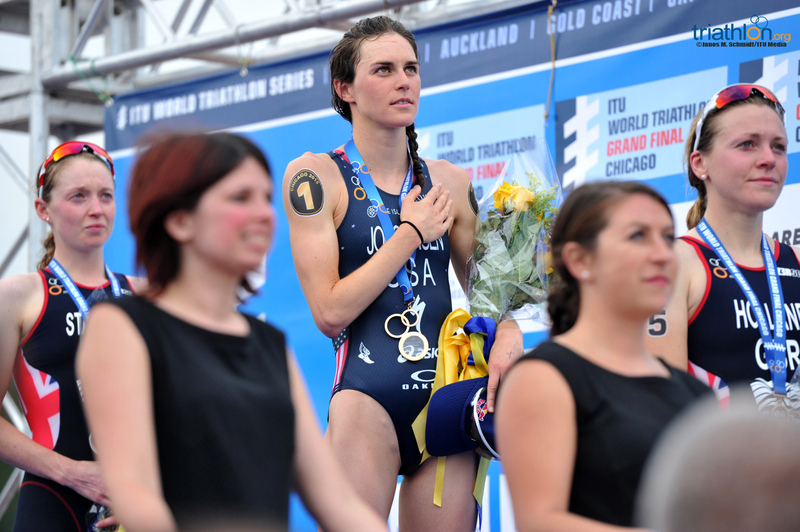 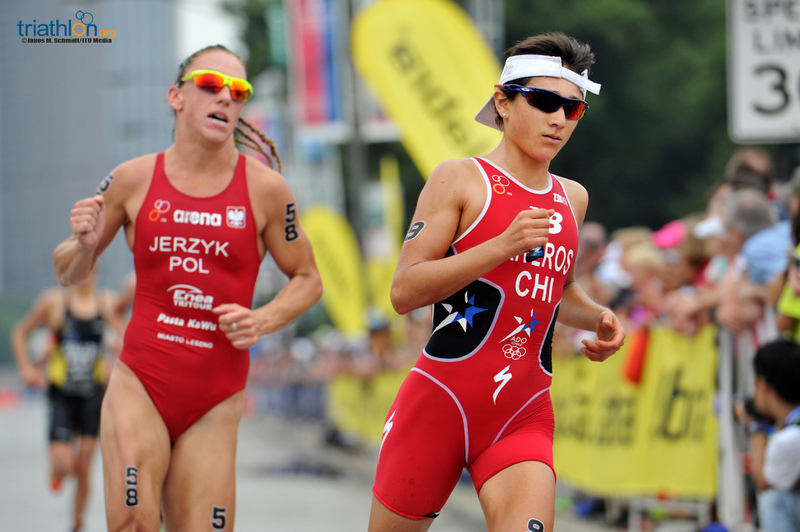 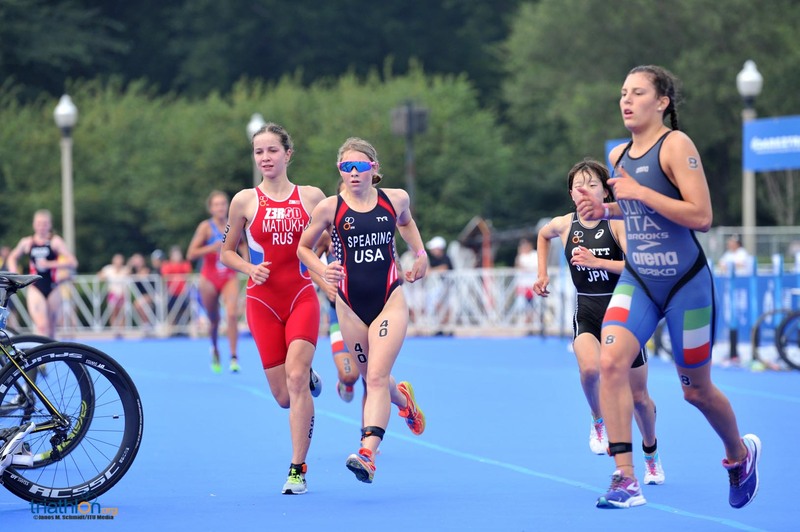 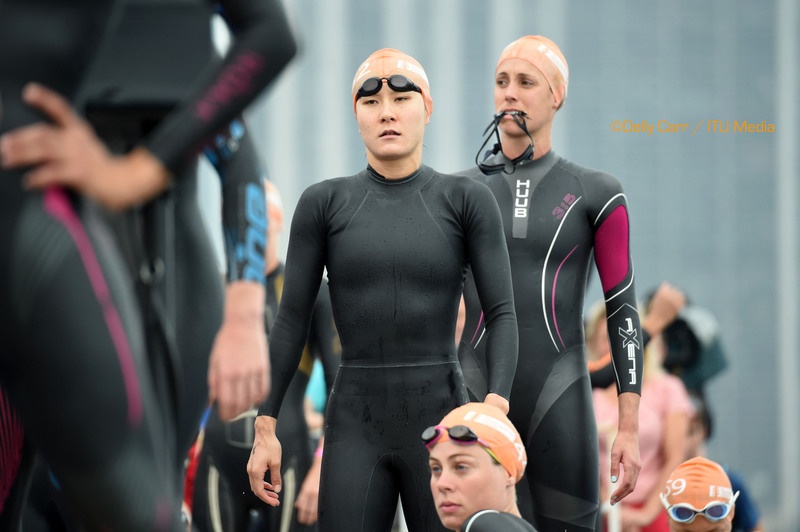 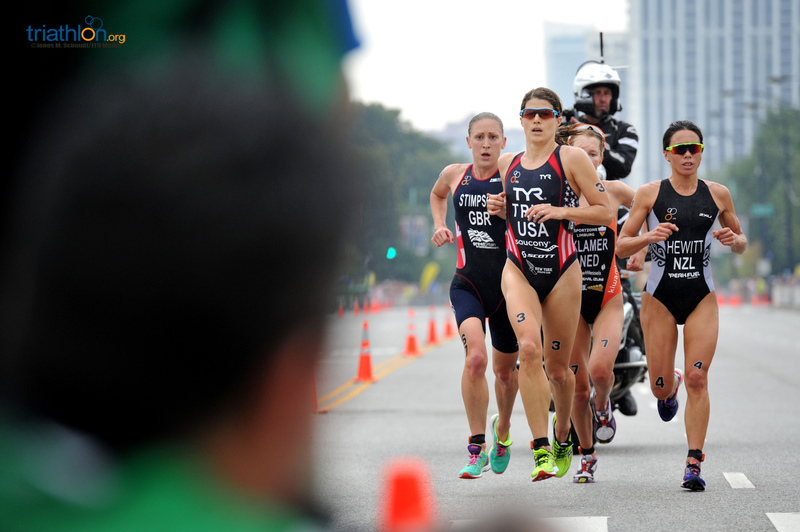 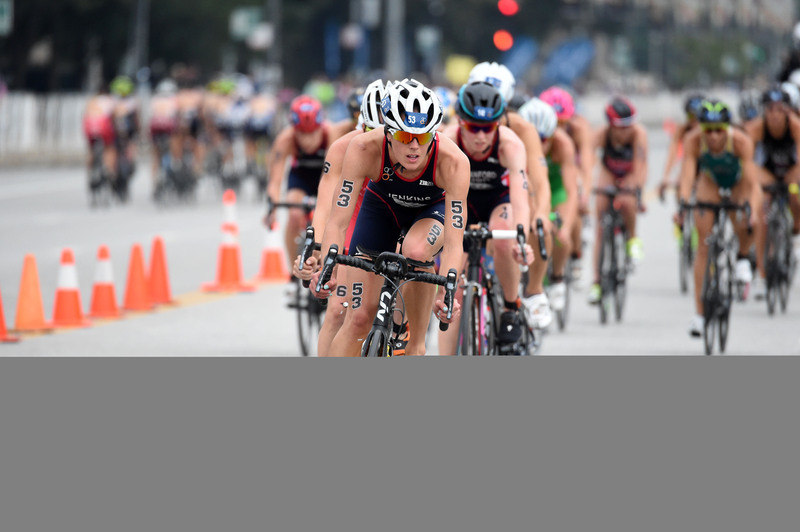 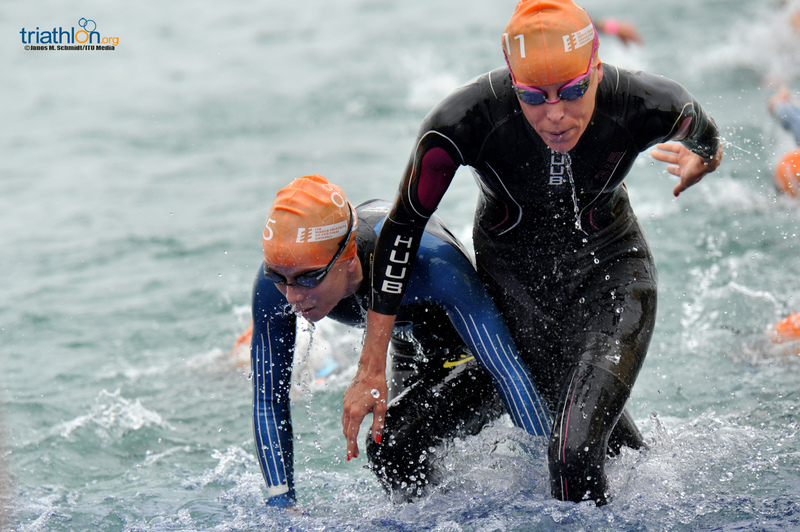 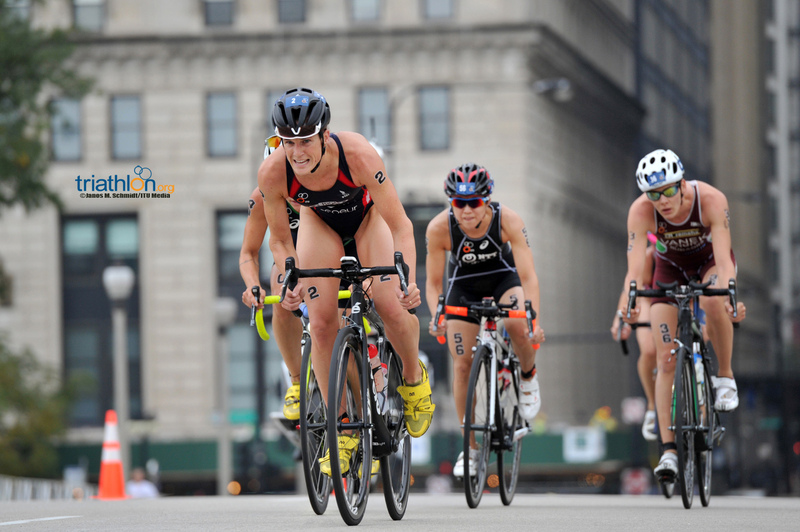 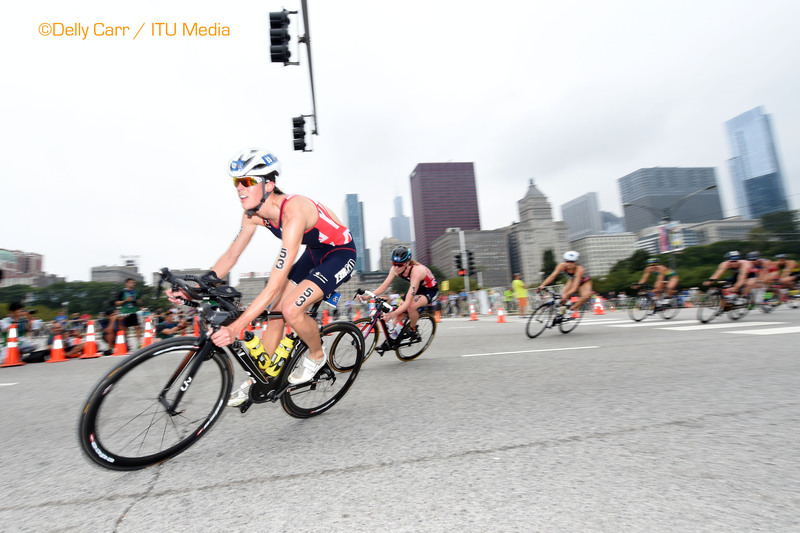 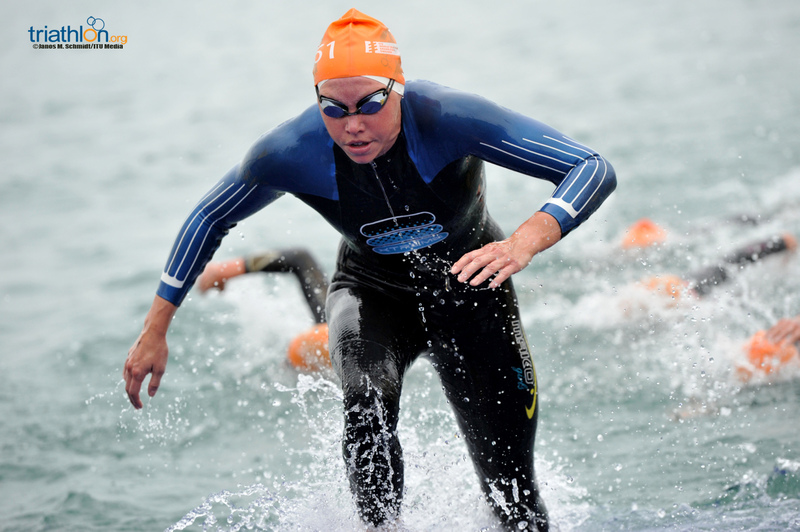 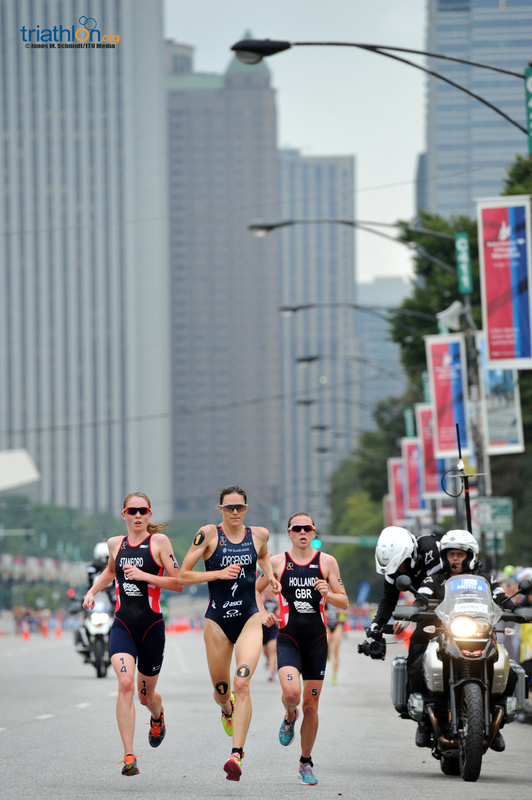 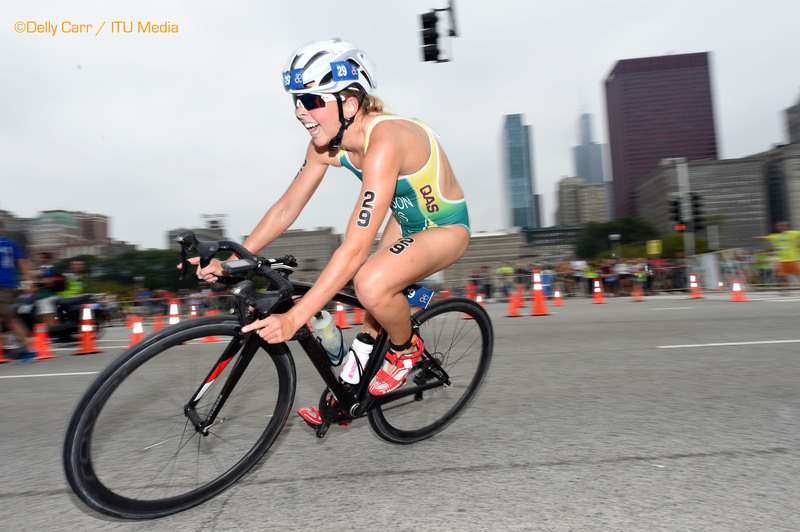 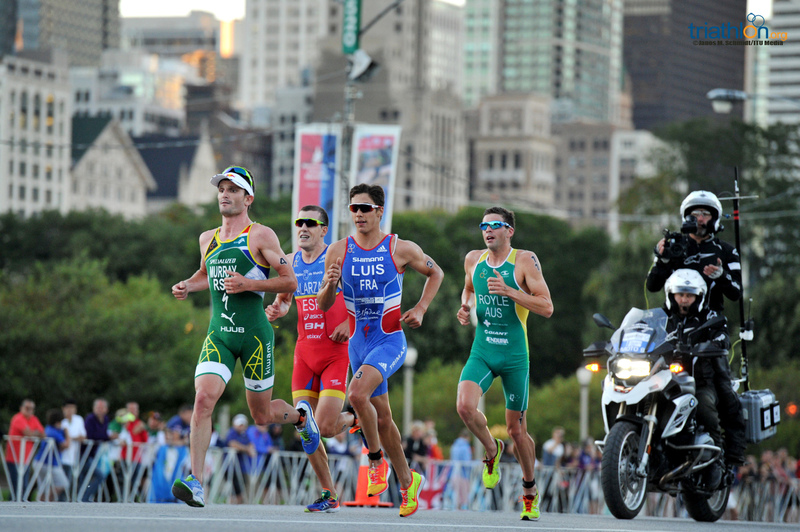 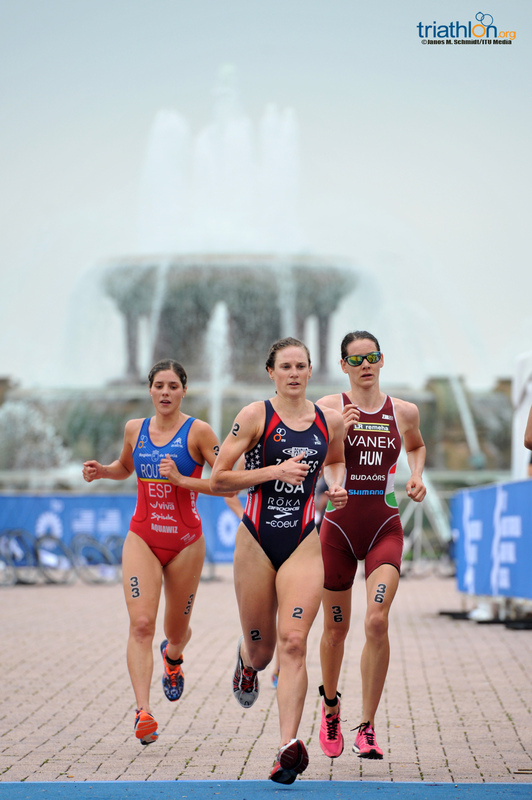 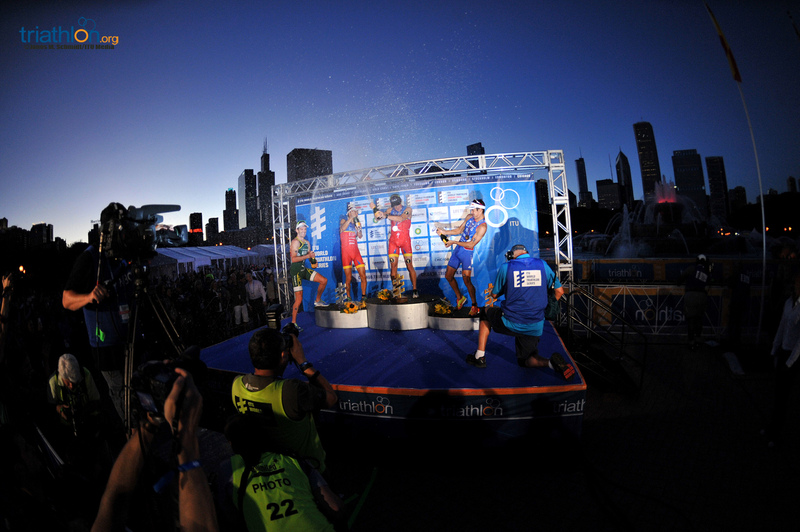 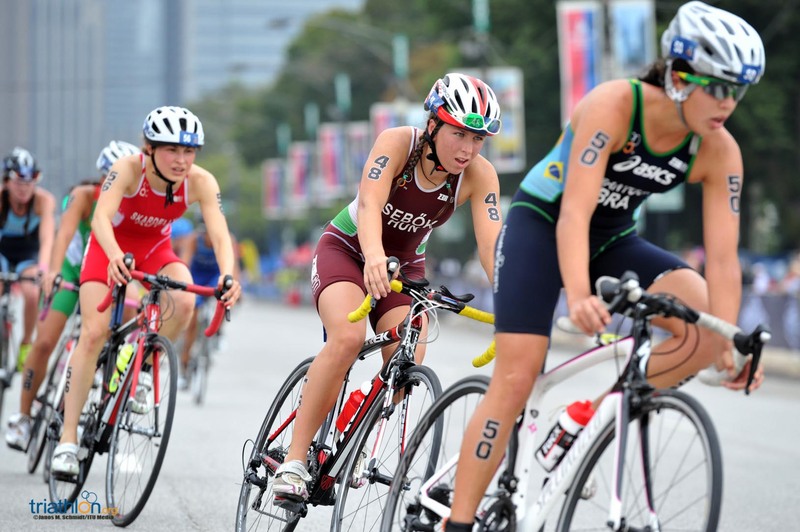 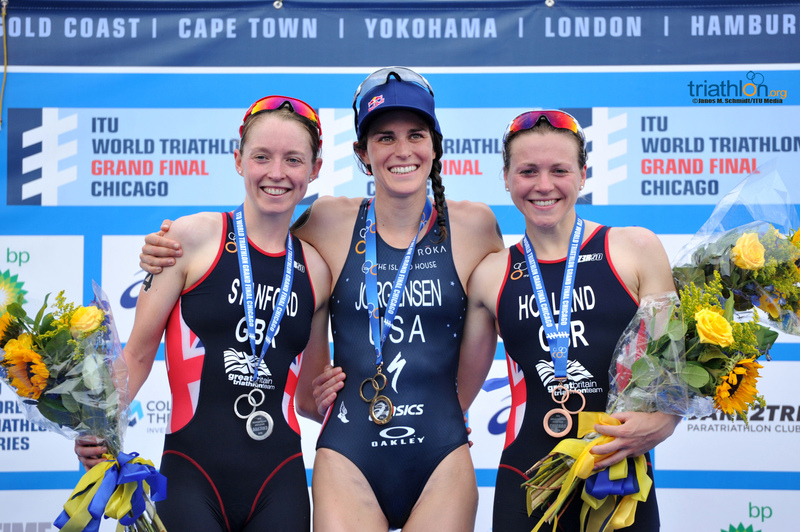 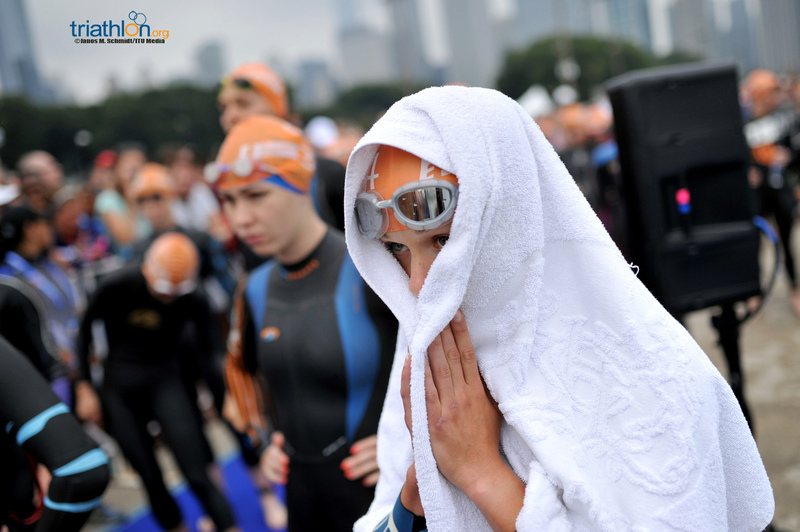 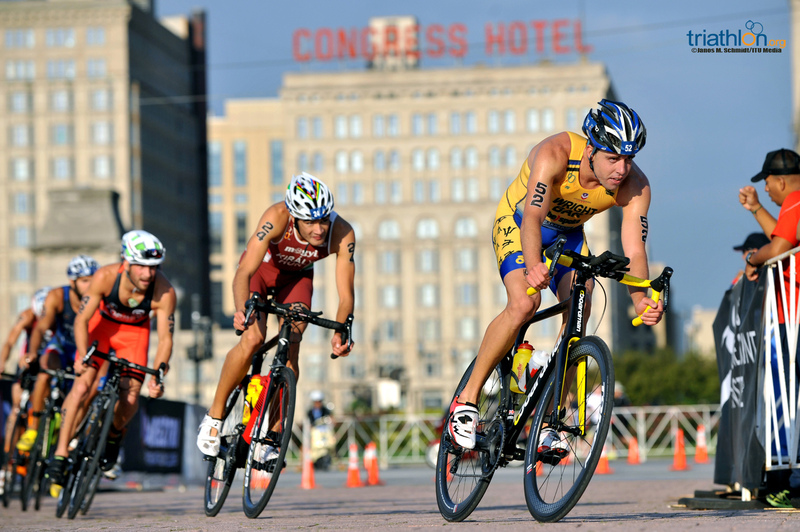 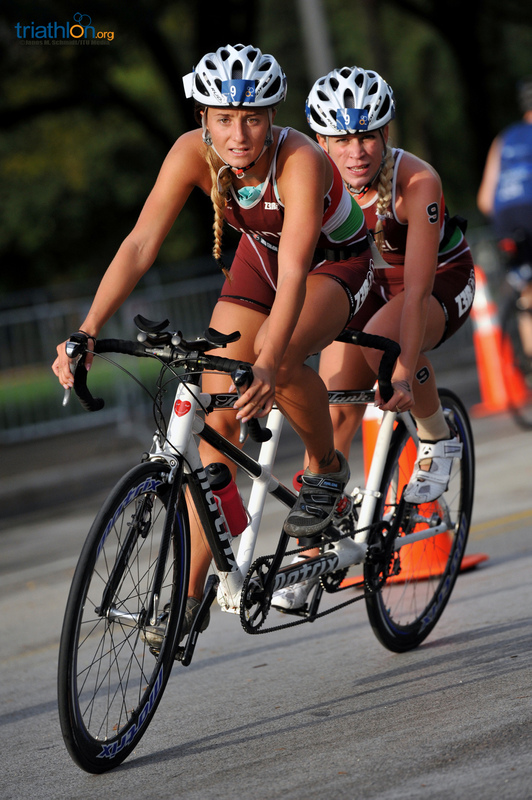 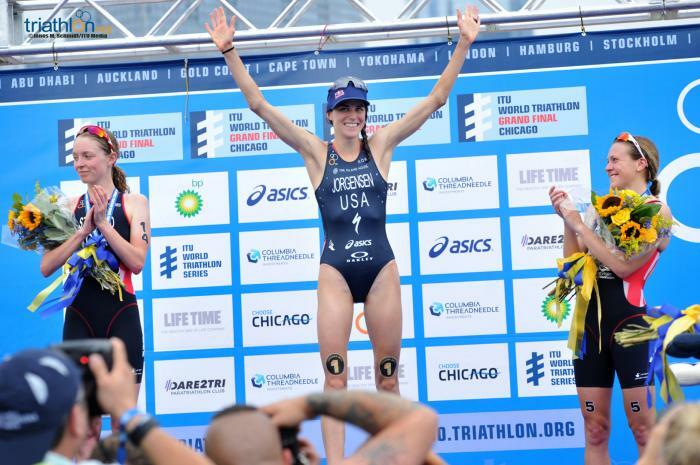 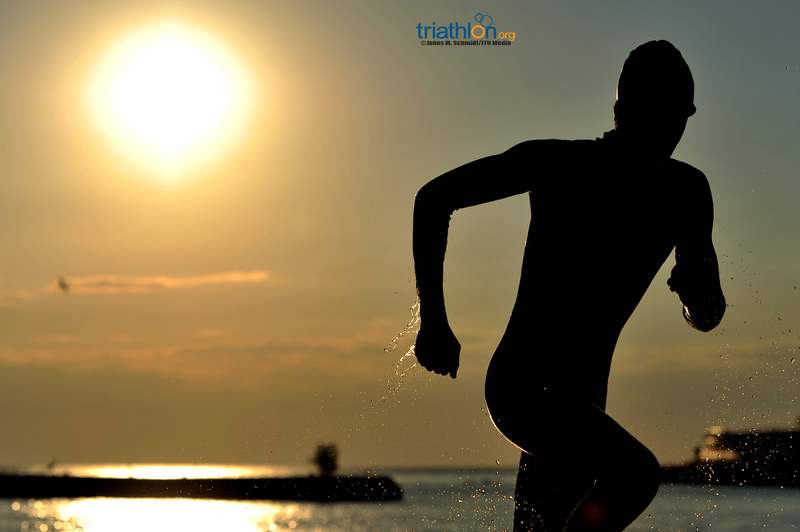 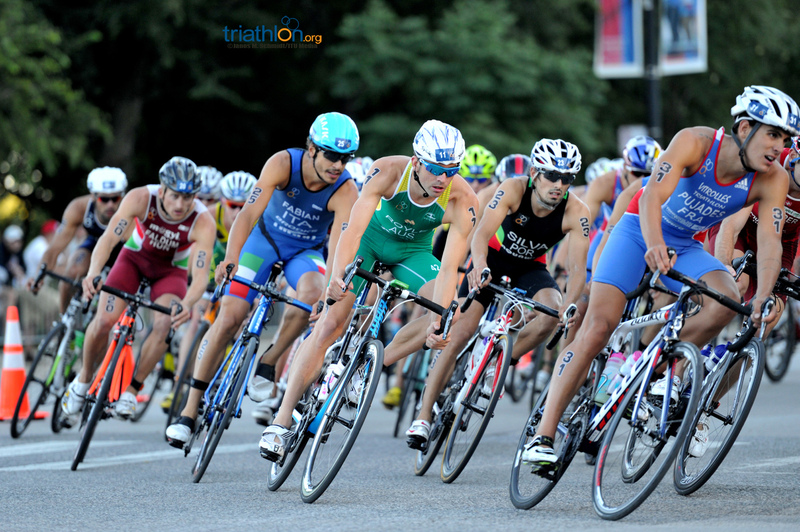 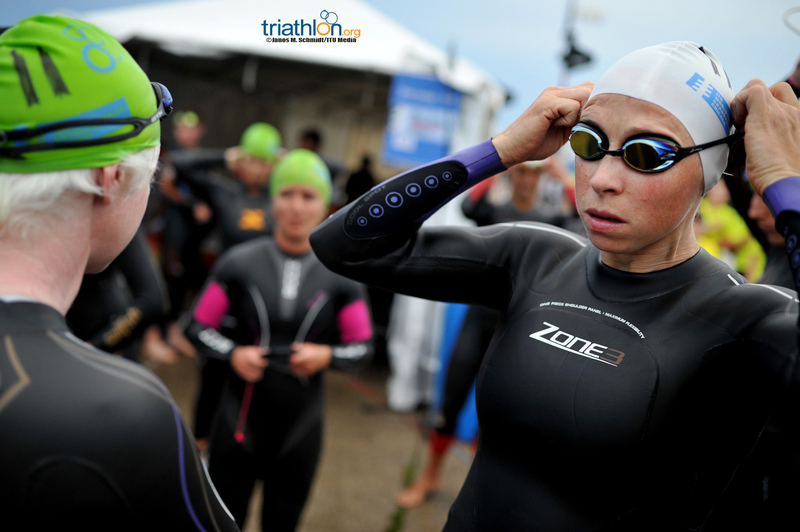 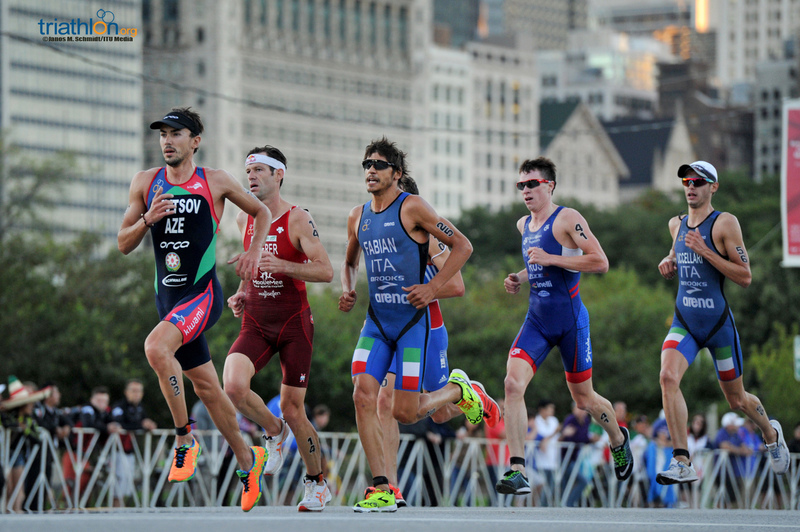 The 2015 ITU World Triathlon Grand Final Chicago features a Triathlon Festival Expo that will be held during race week. 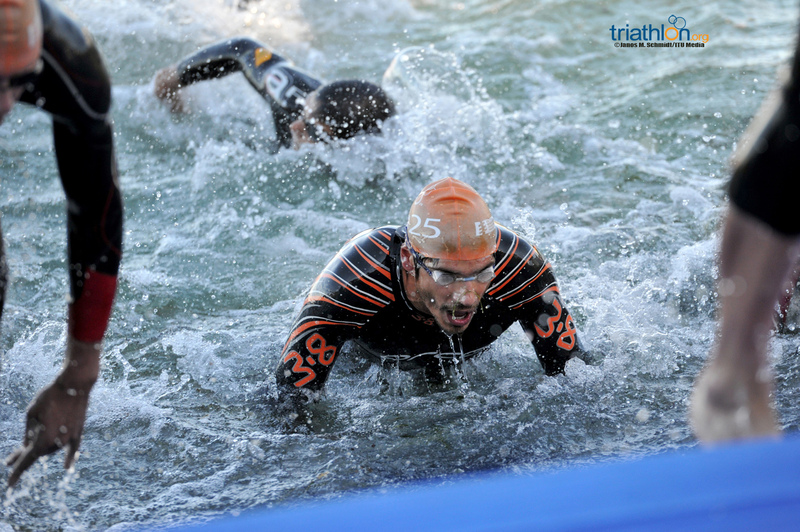 It will be open from Wednesday - Saturday and will be filled with more triathlon gear than you’ll know what to do! 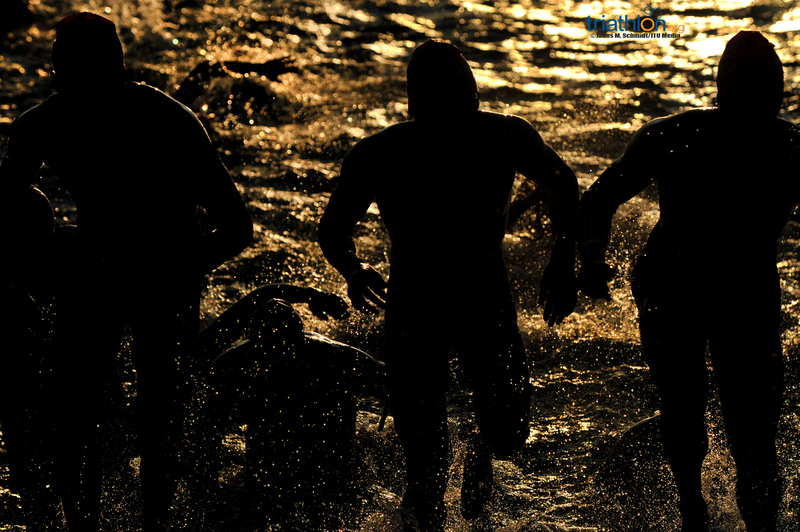 Find more info here. 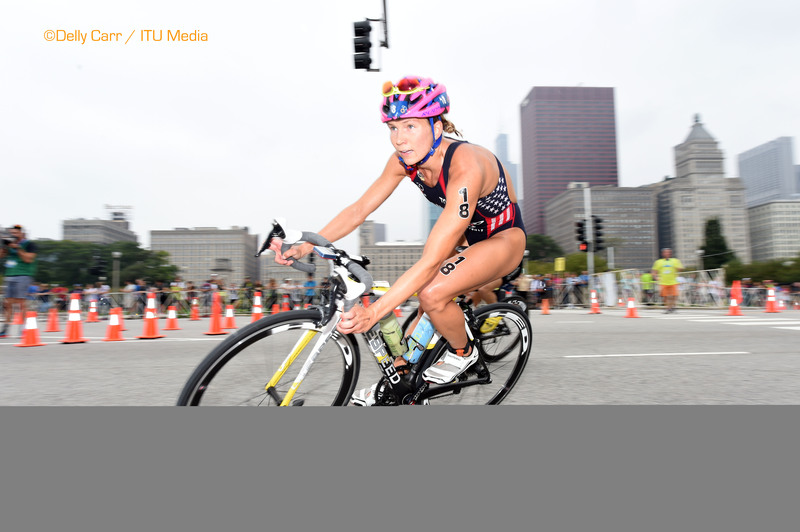 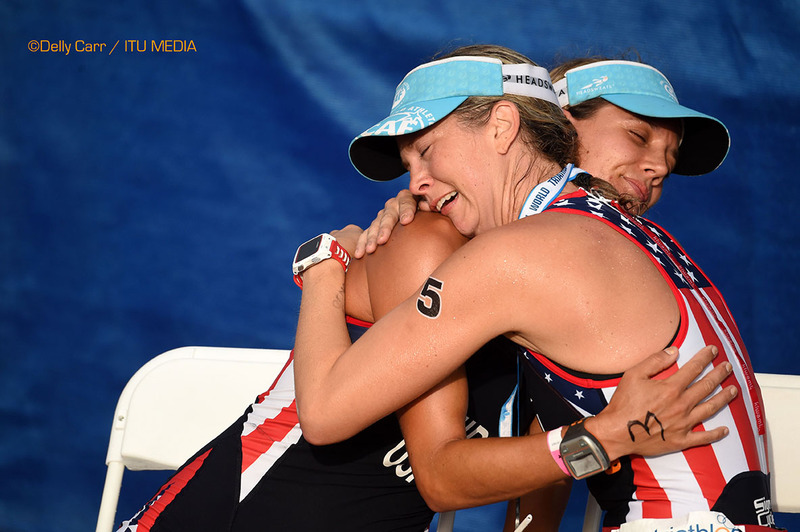 The ITU Women’s Committee will be hosting a luncheon on Thursday, Sept. 17, to discuss women in triathlon and the positive impact sport has on women, with U.S. Olympic gold medalist Donna de Varona as the keynote speaker. 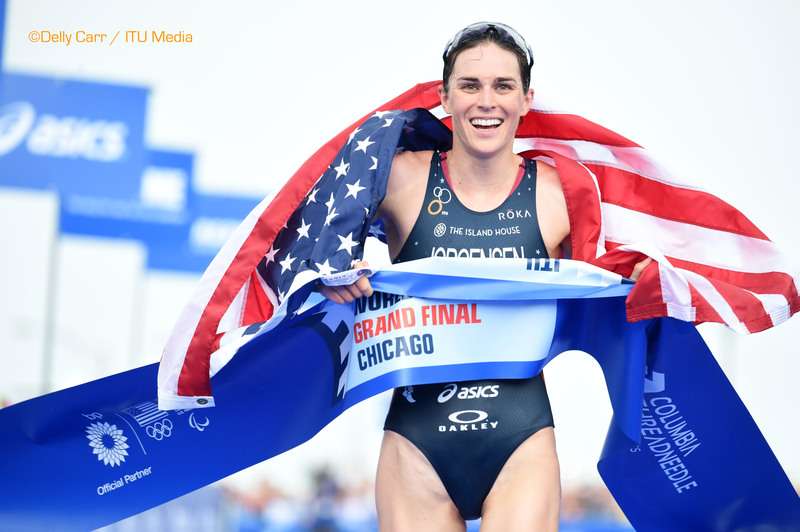 Scheduled from 12-2 p.m. CT on Sept. 17, the luncheon will take place at the Congress Plaza Hotel (520 S. Michigan Ave., Chicago) in the Florentine Room. 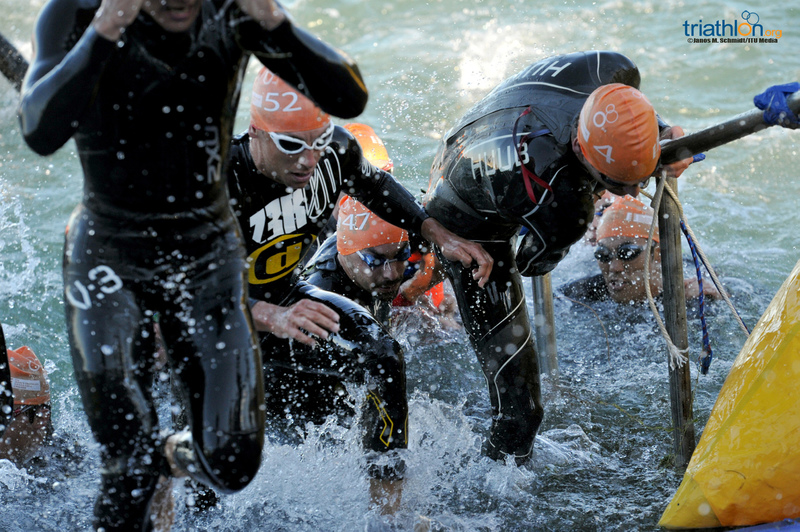 Tickets are $30 and are available through Sept. 10 at active.com. 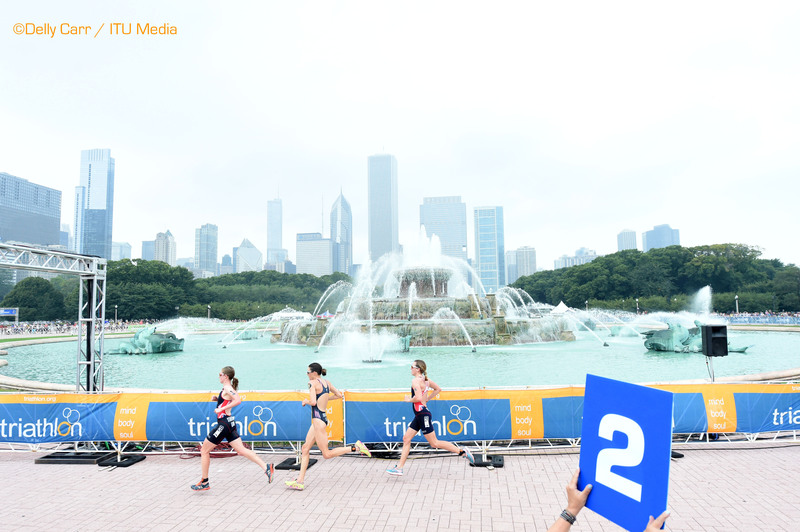 Not to make those nerves any more jittery, but a friendly reminder that we are officially one week out from the start of World Triathlon Chicago. 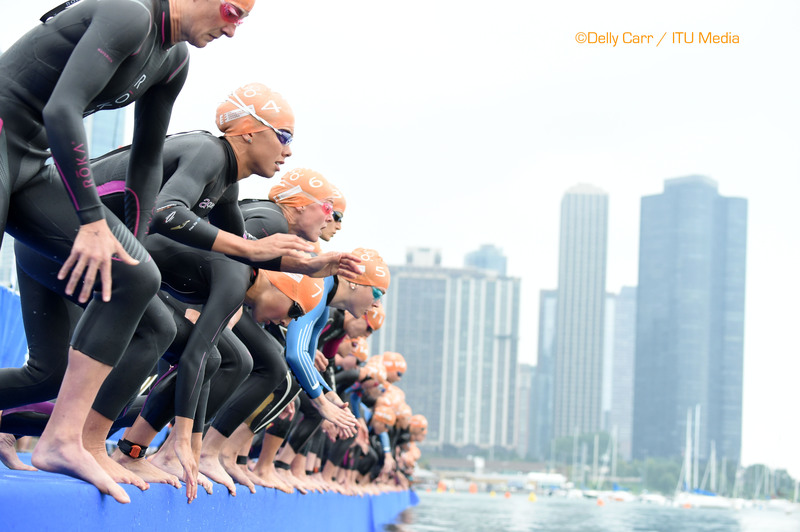 Here's how to follow the action. 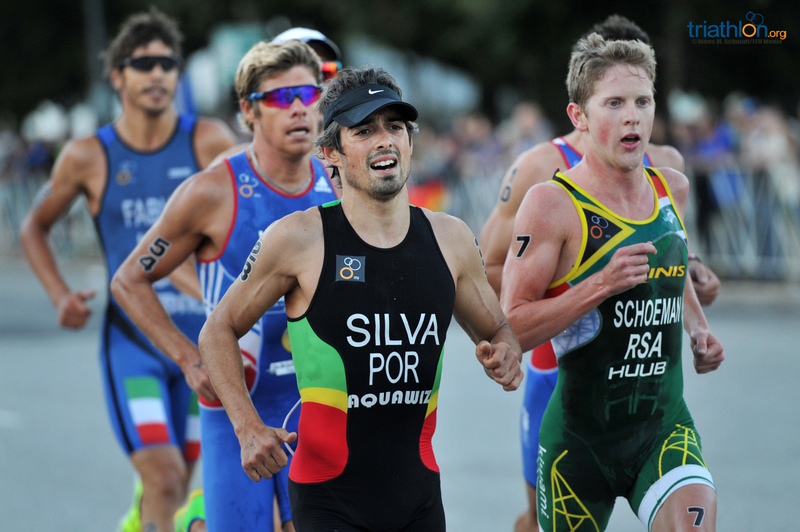 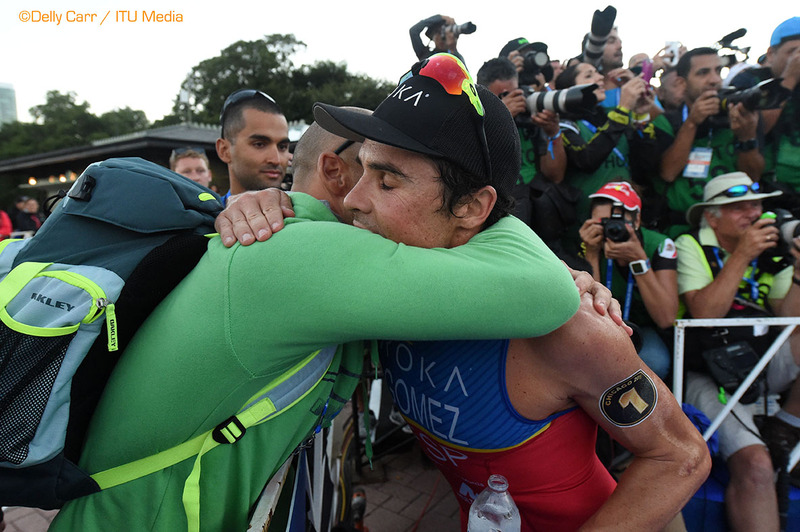 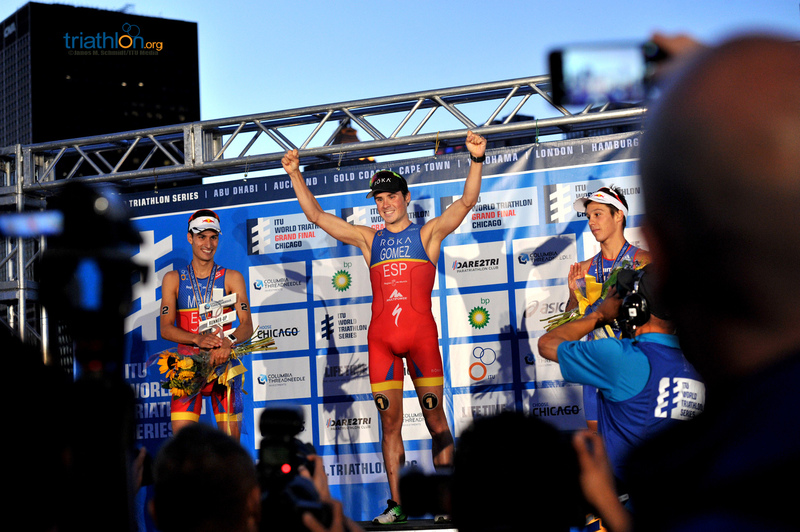 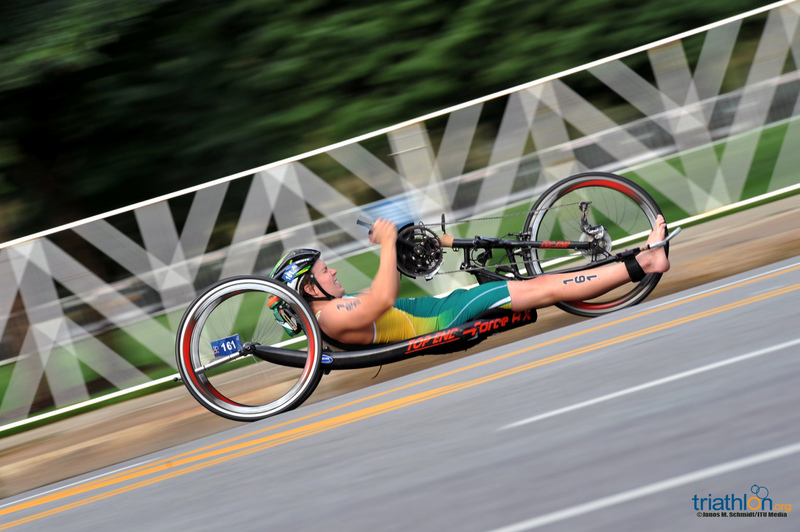 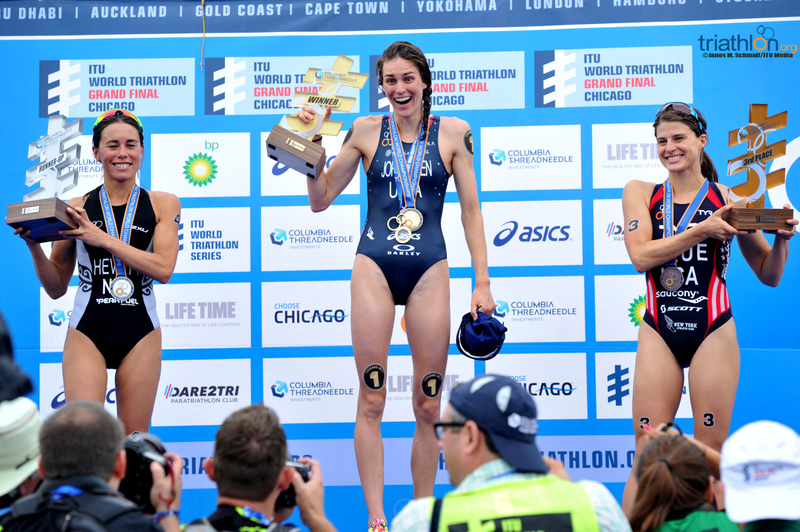 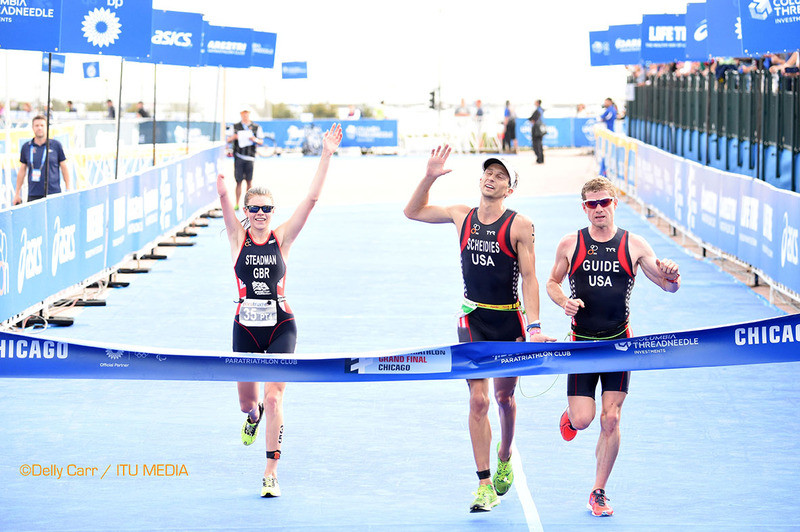 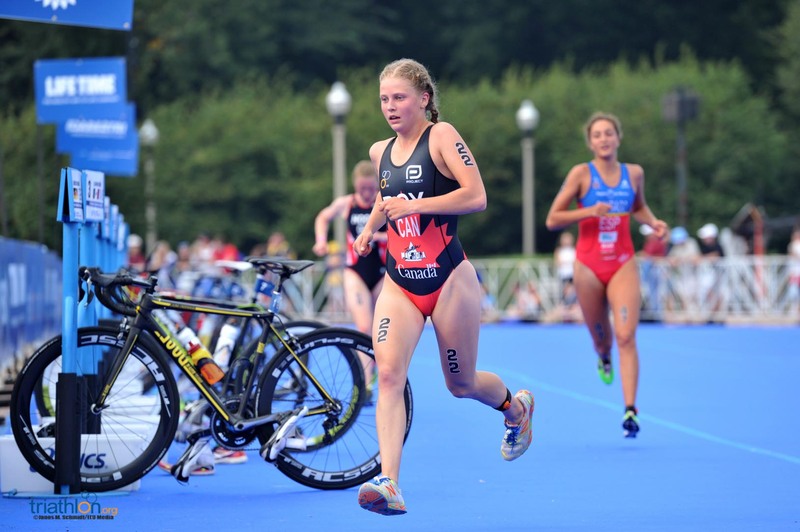 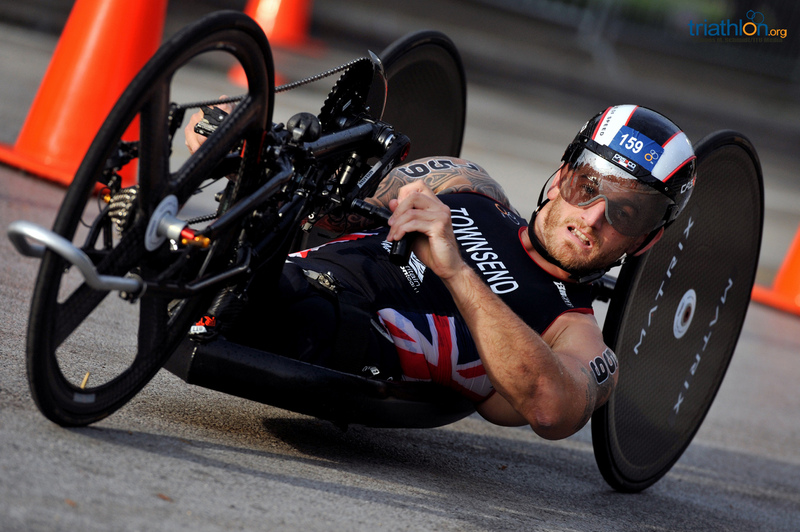 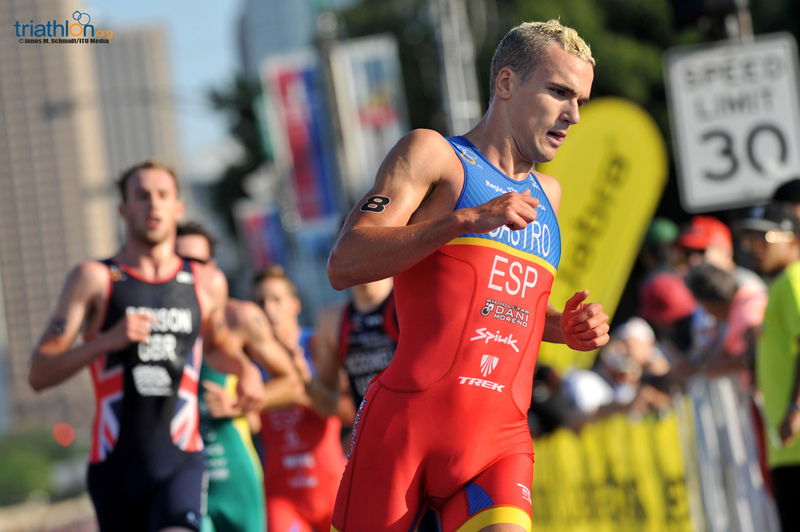 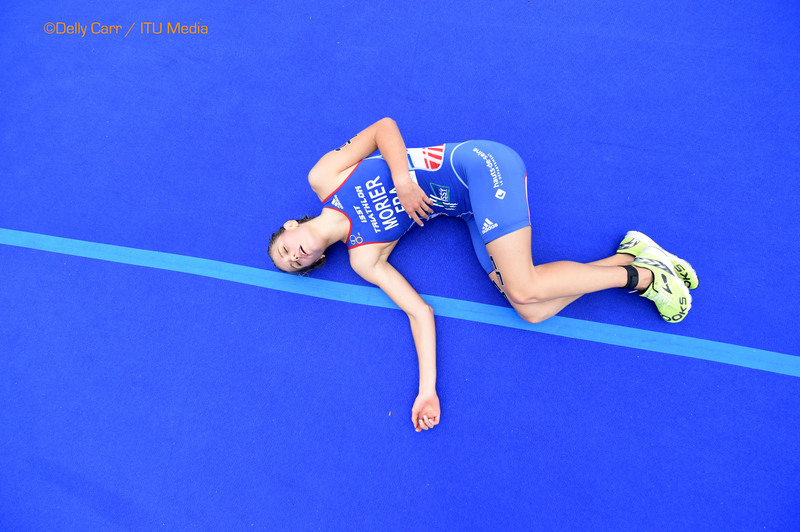 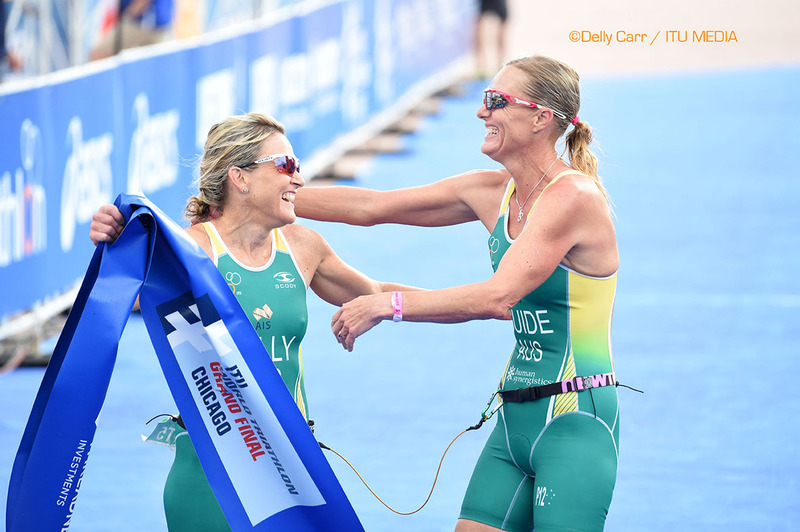 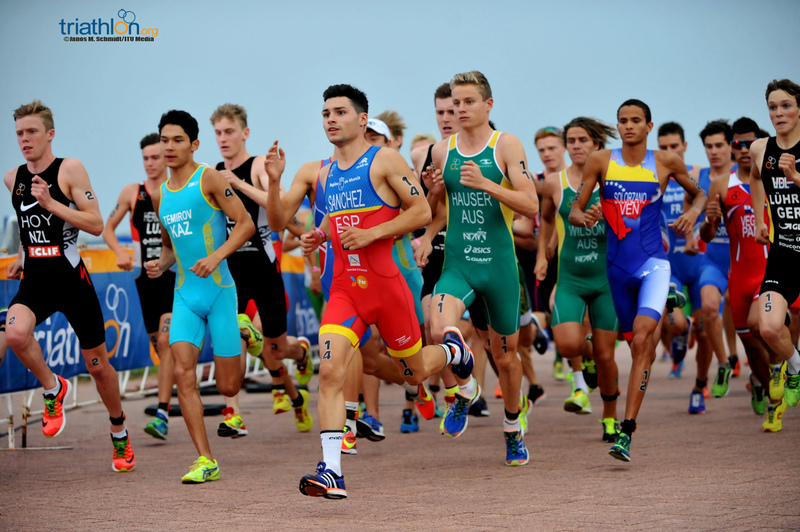 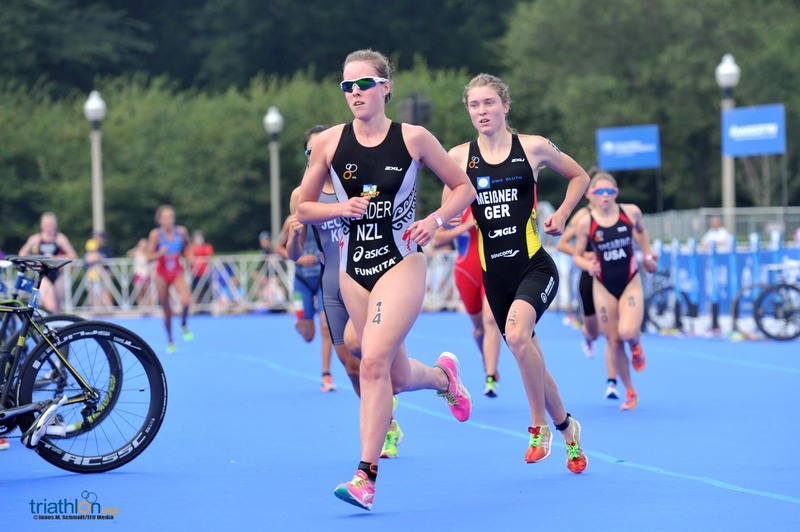 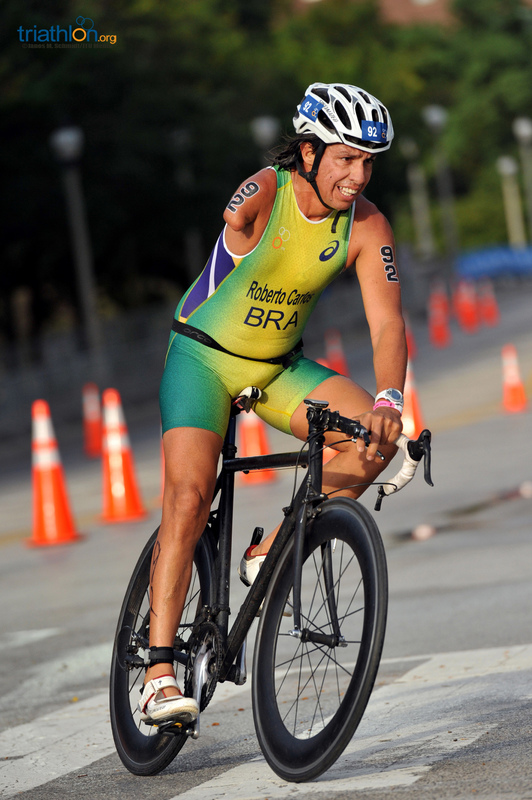 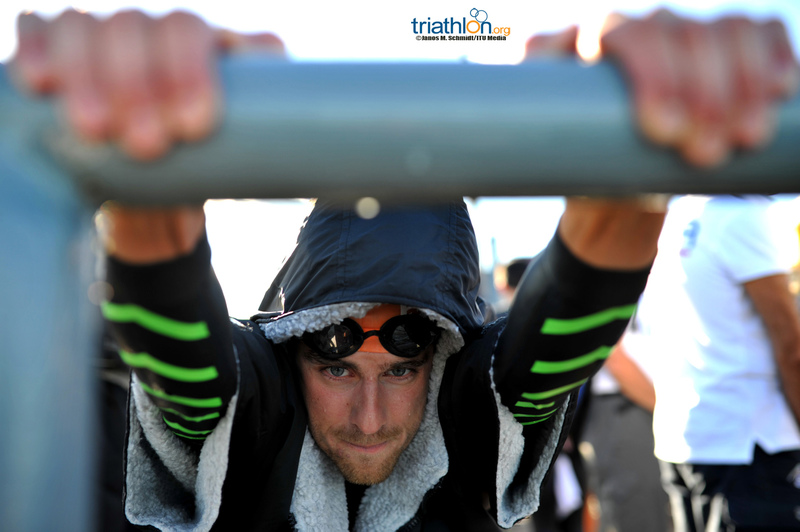 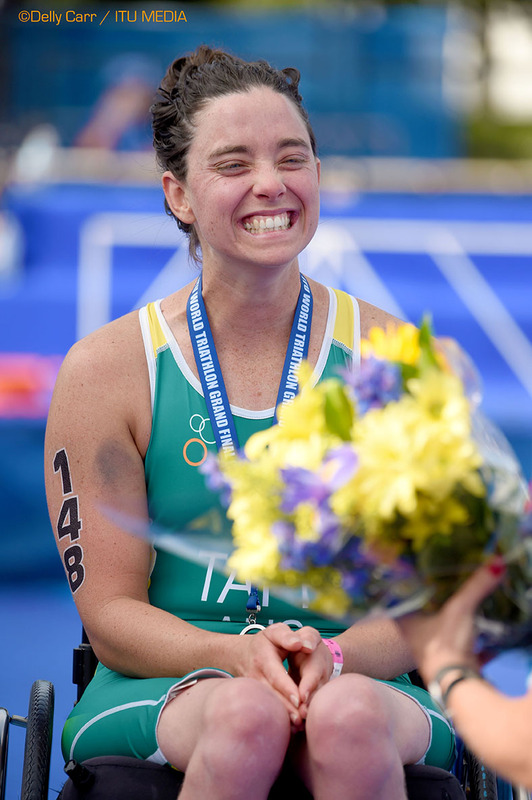 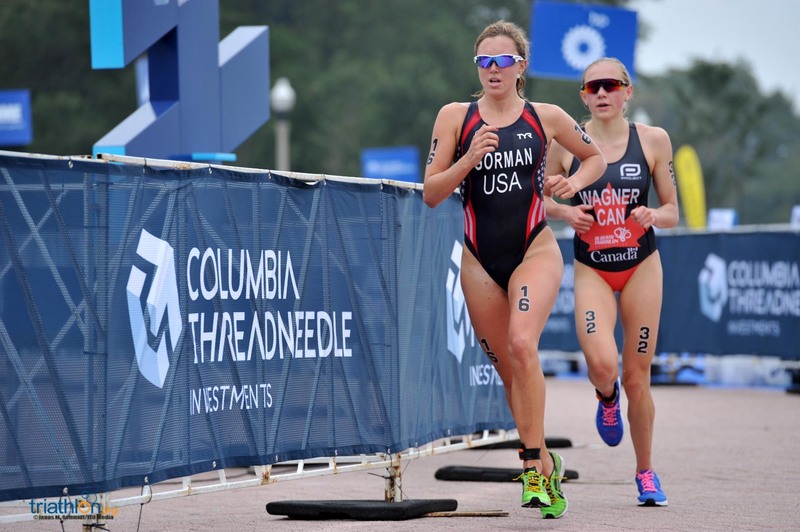 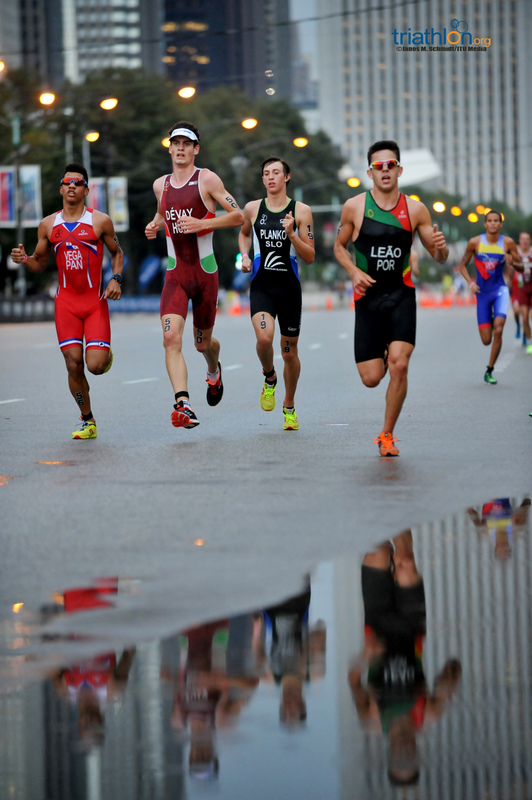 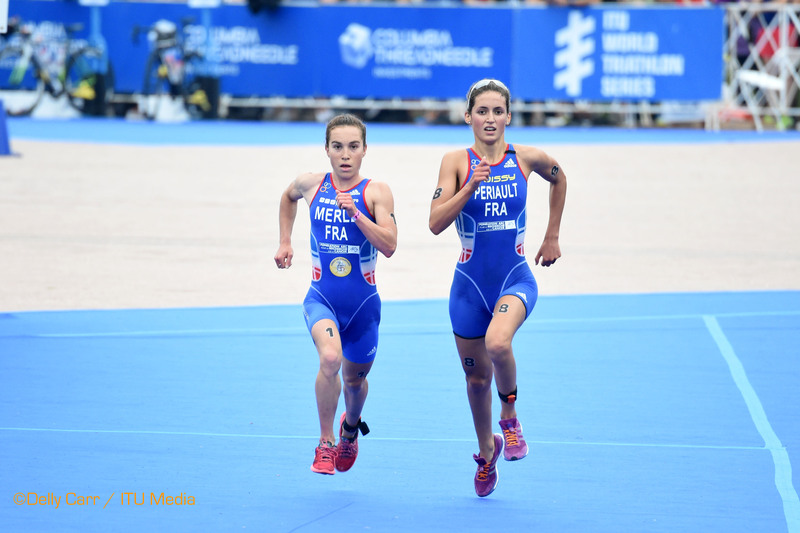 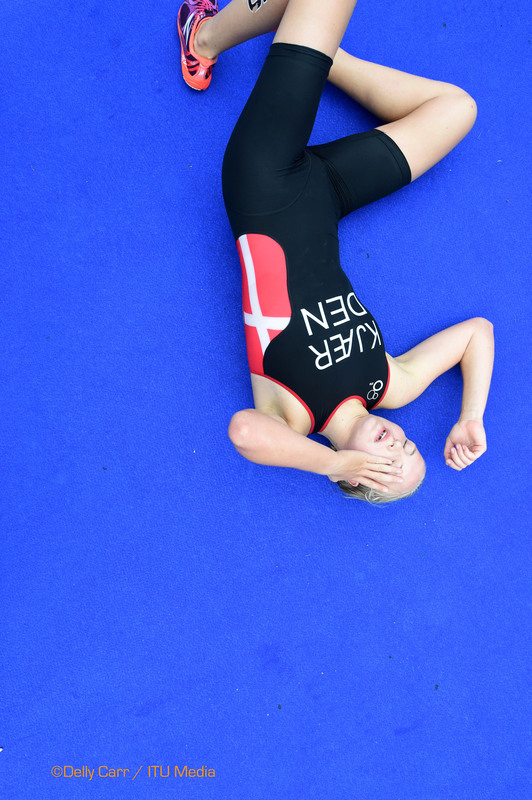 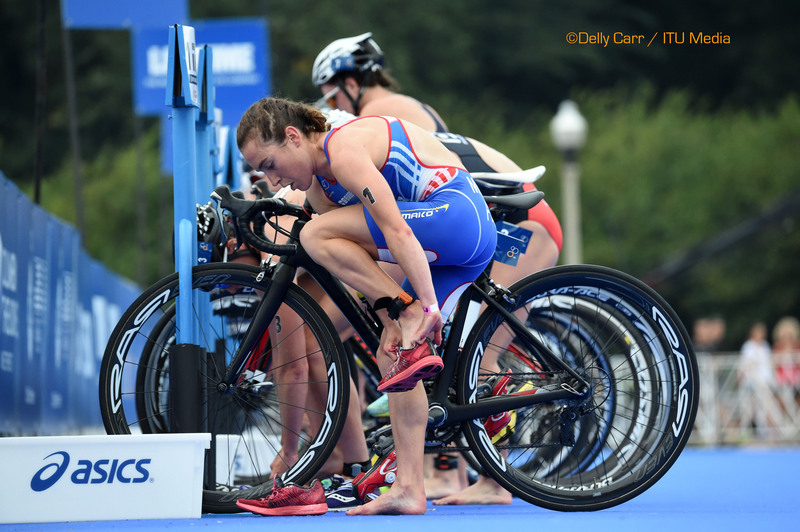 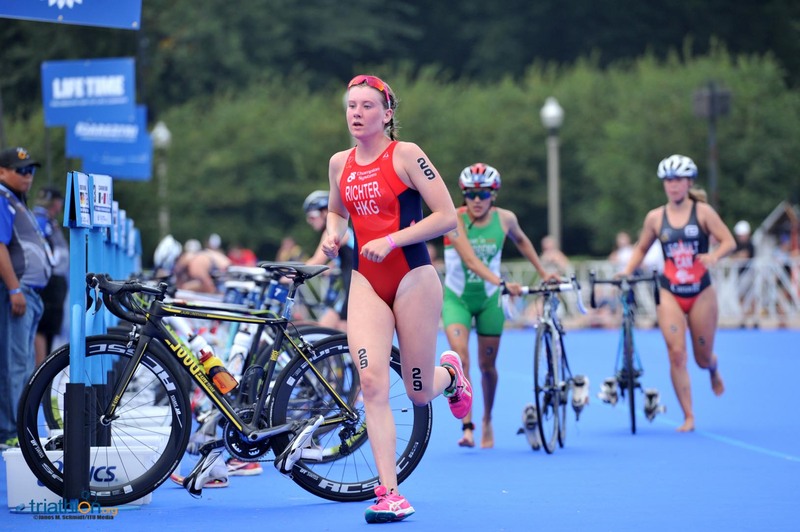 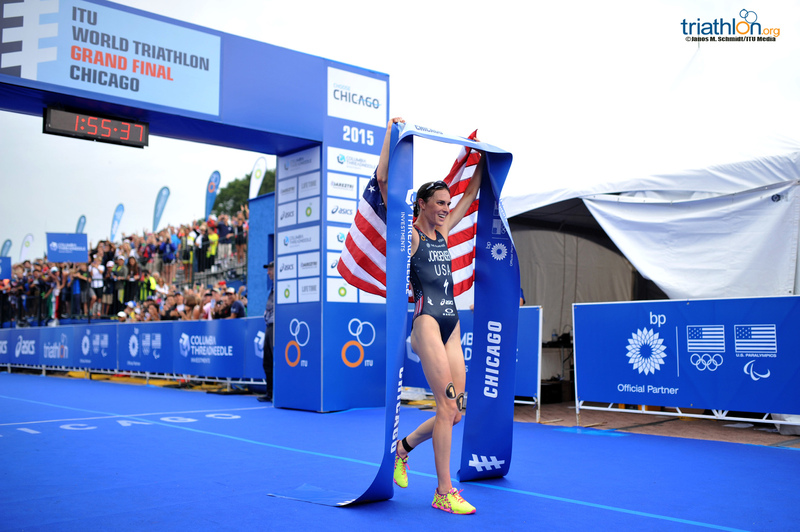 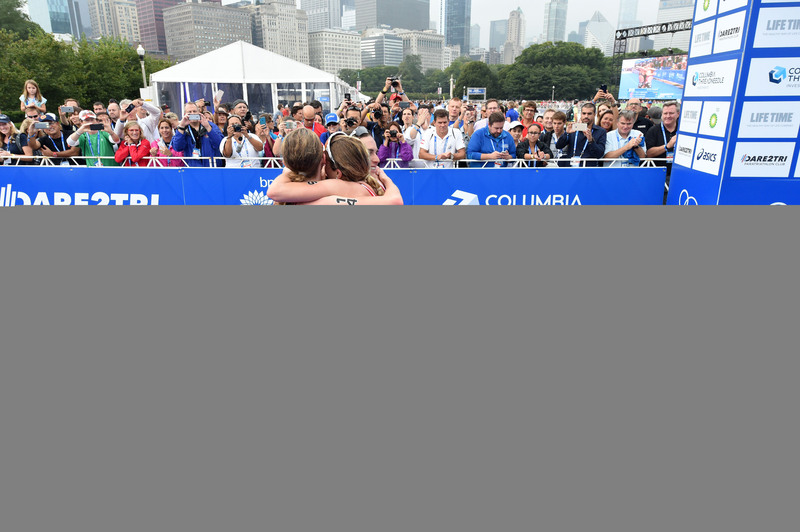 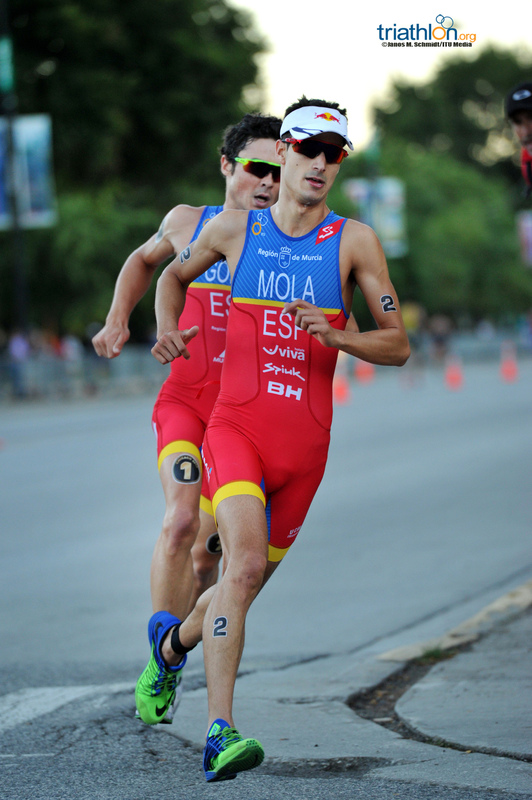 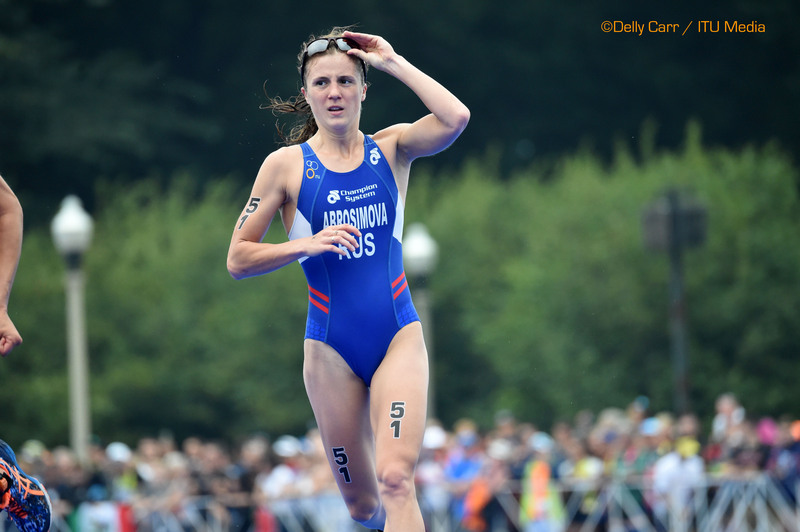 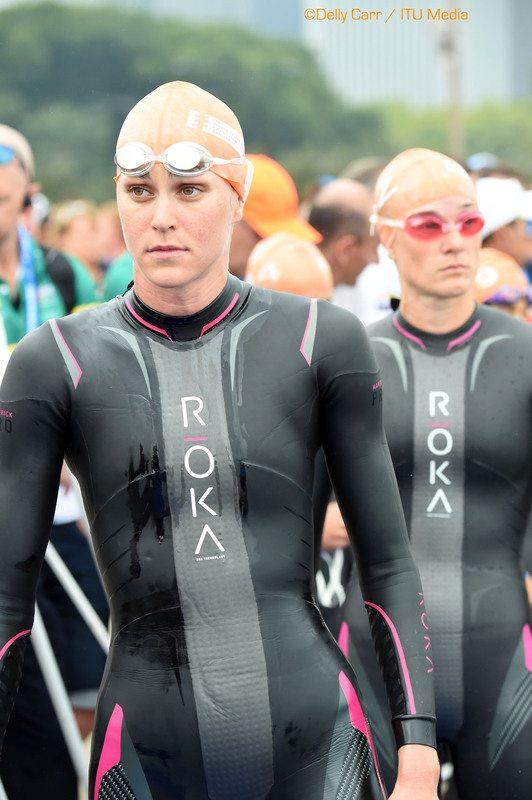 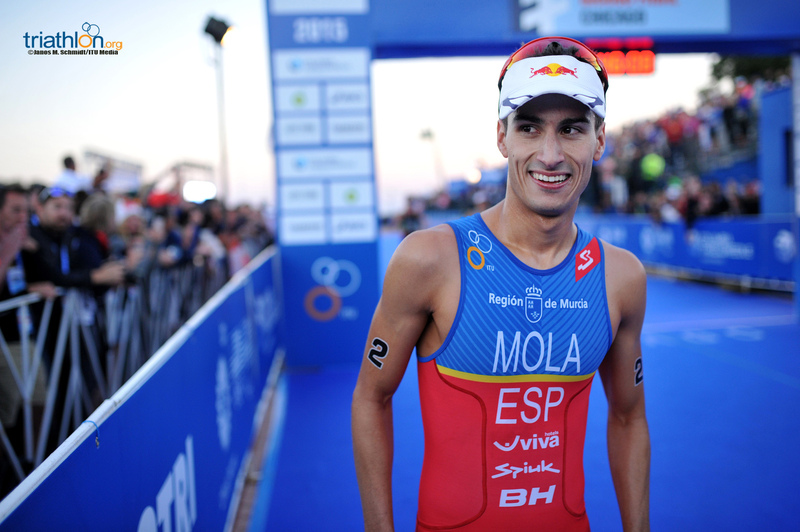 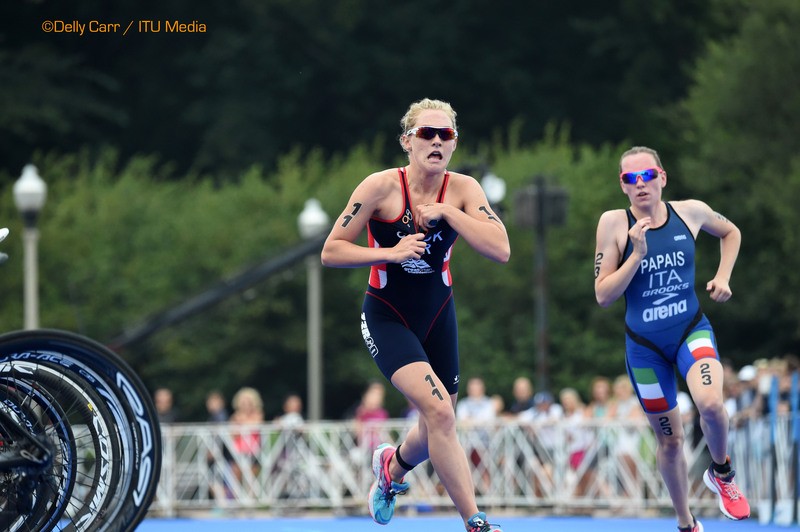 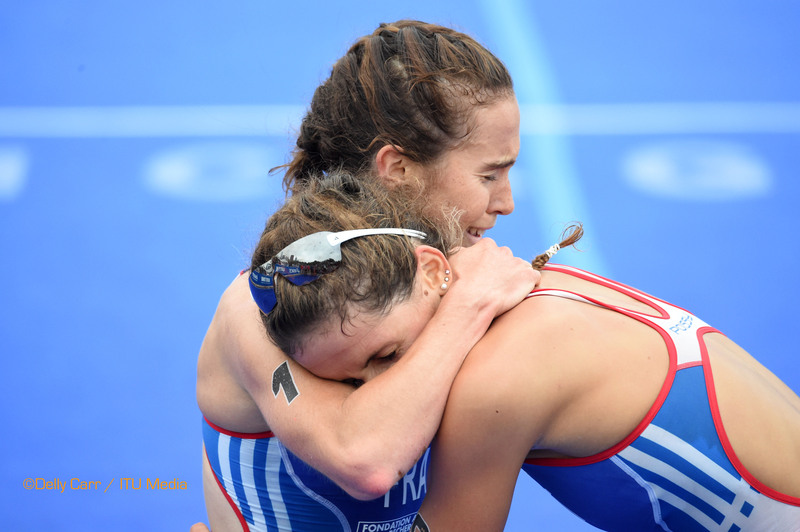 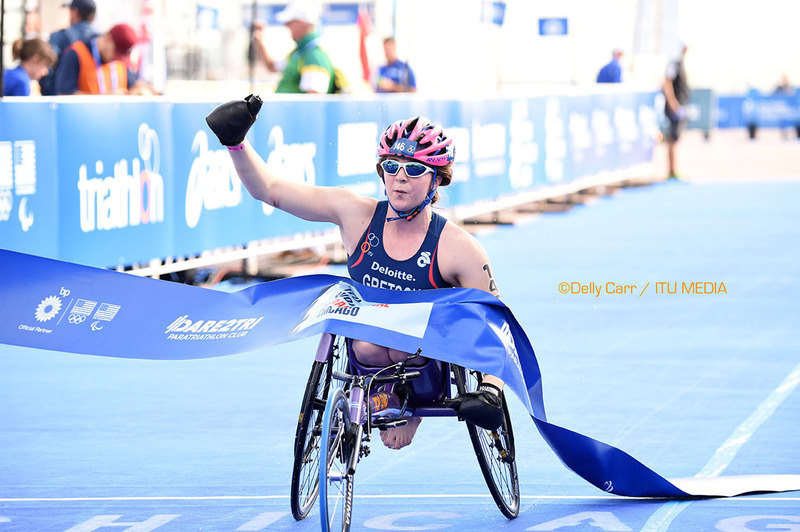 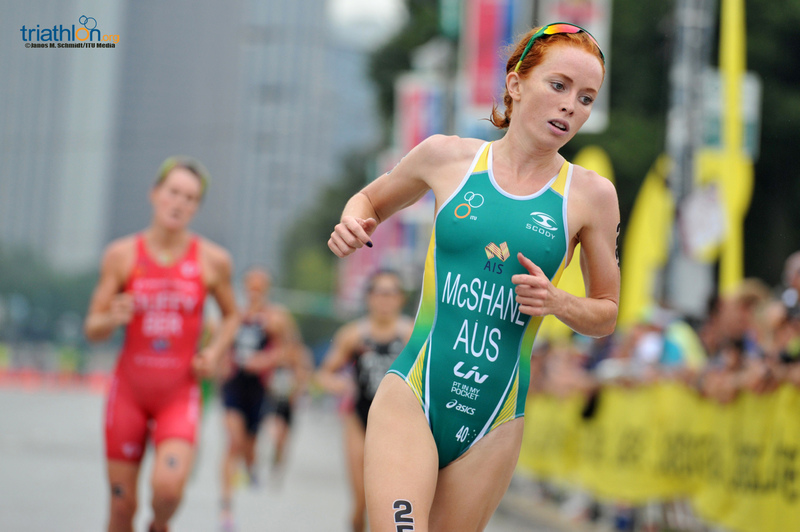 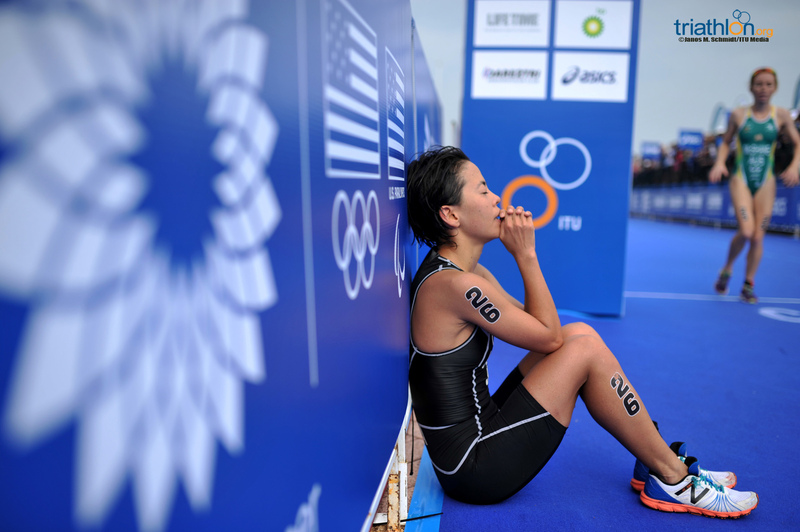 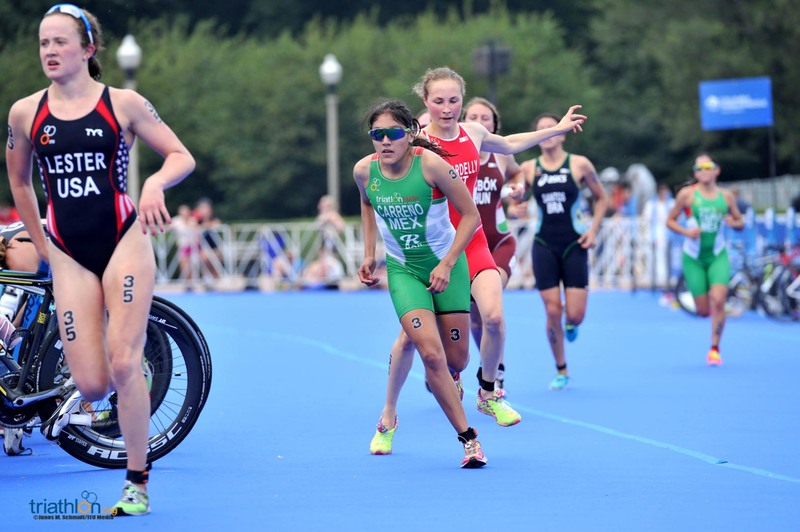 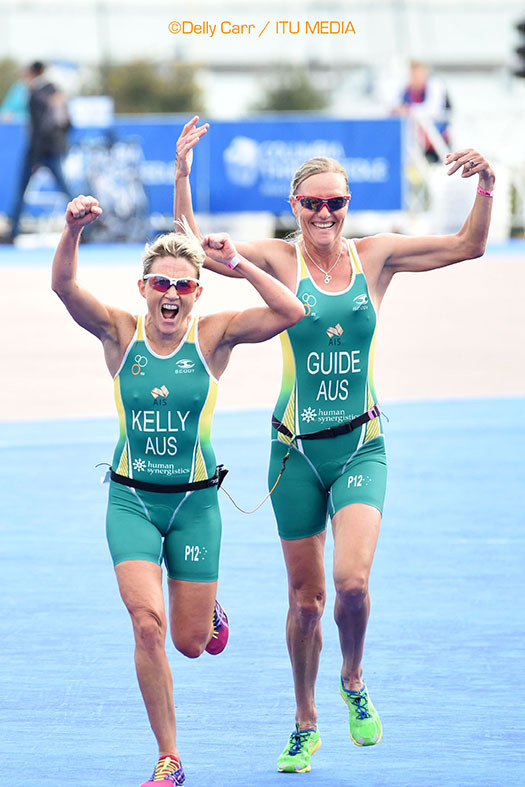 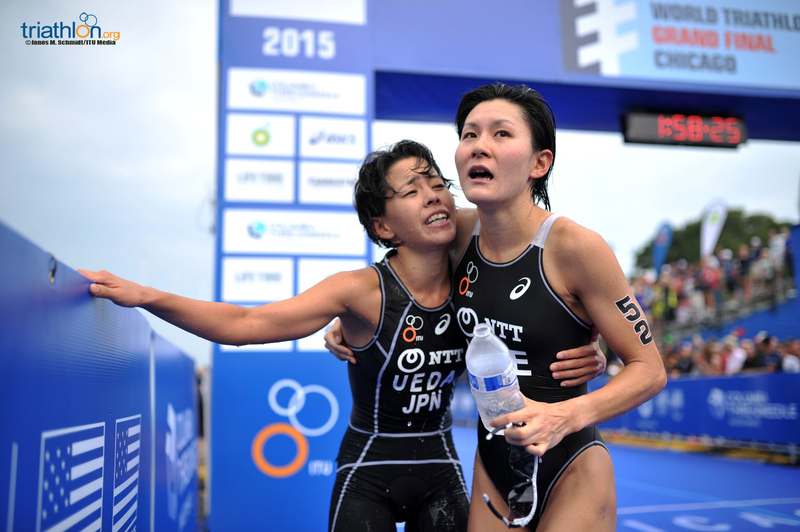 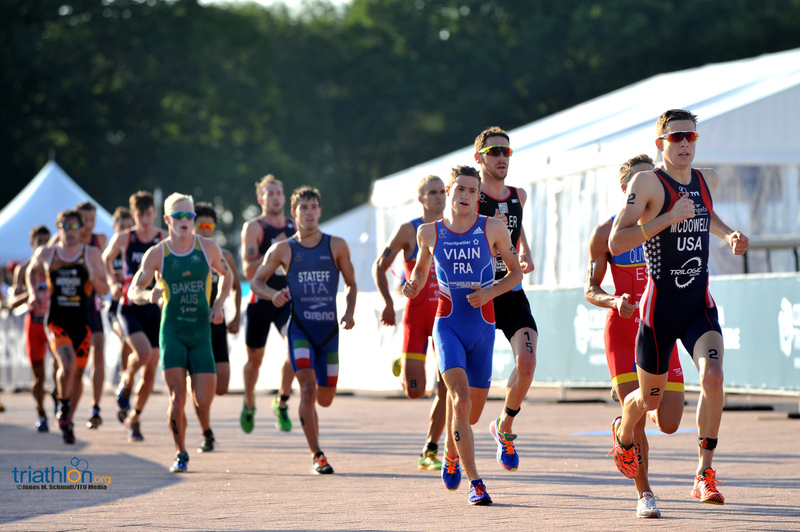 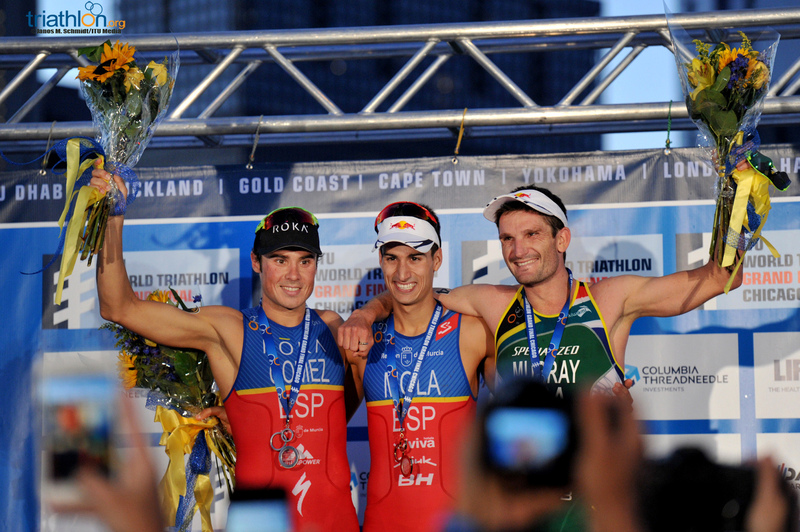 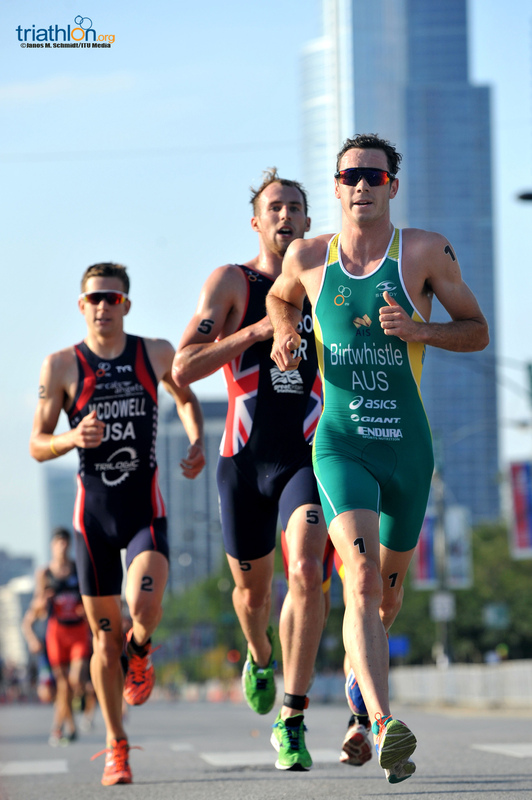 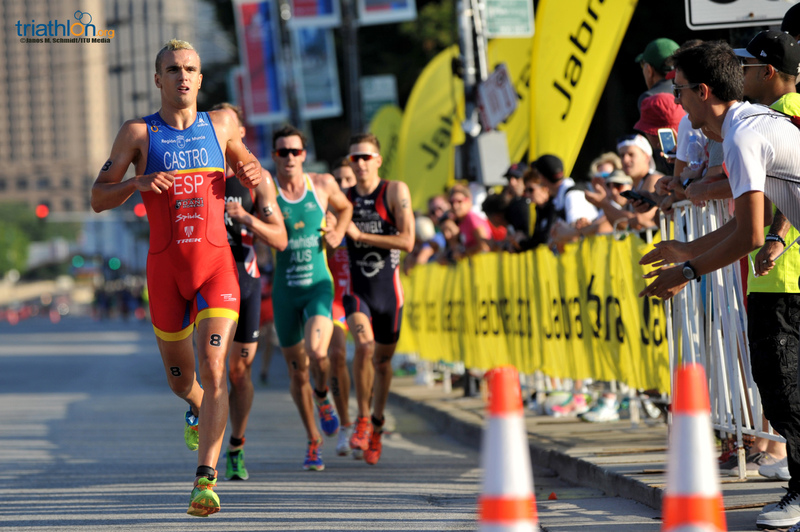 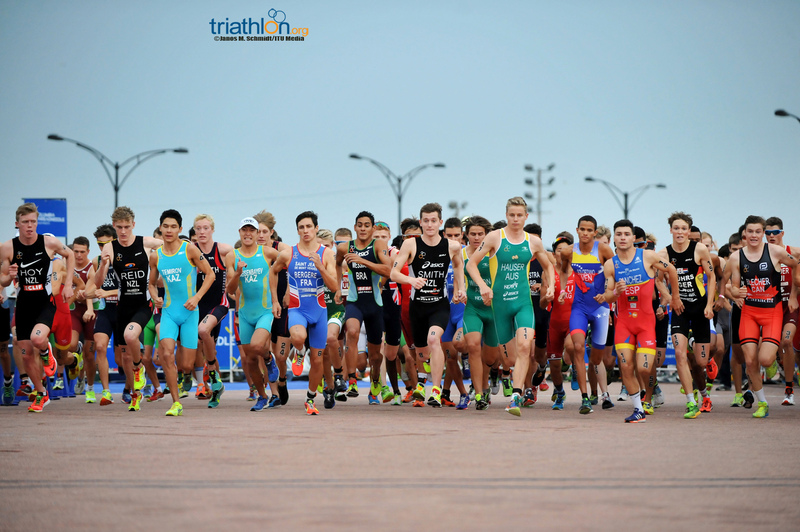 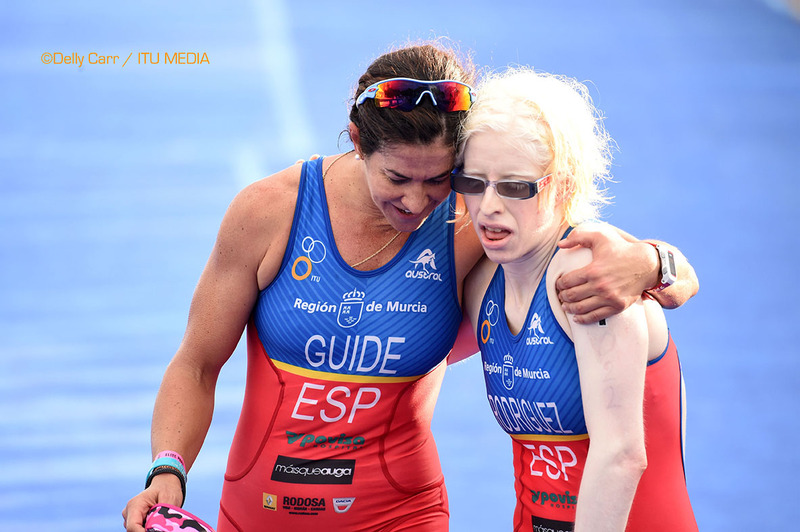 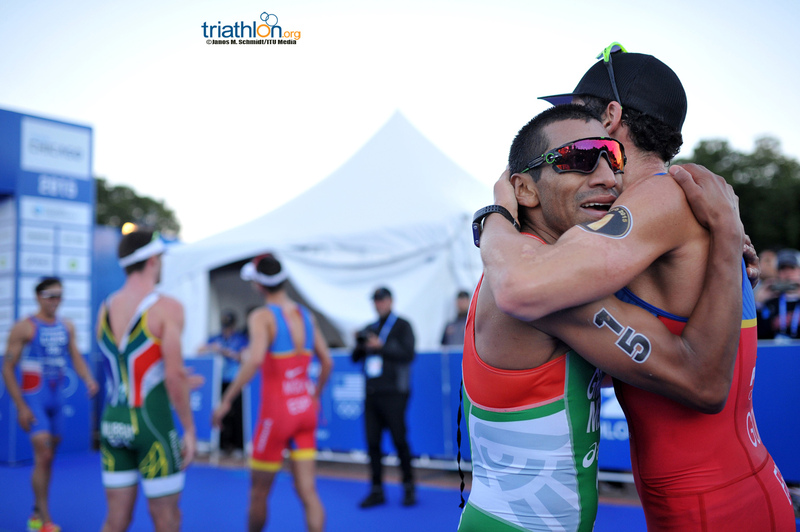 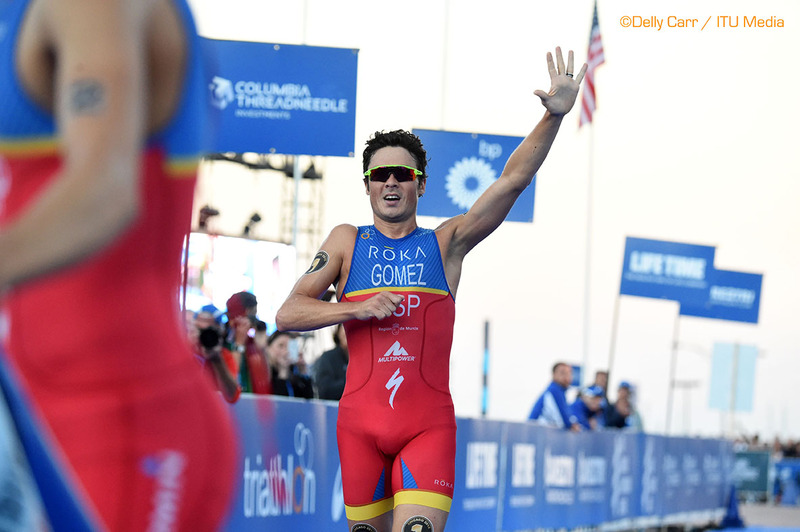 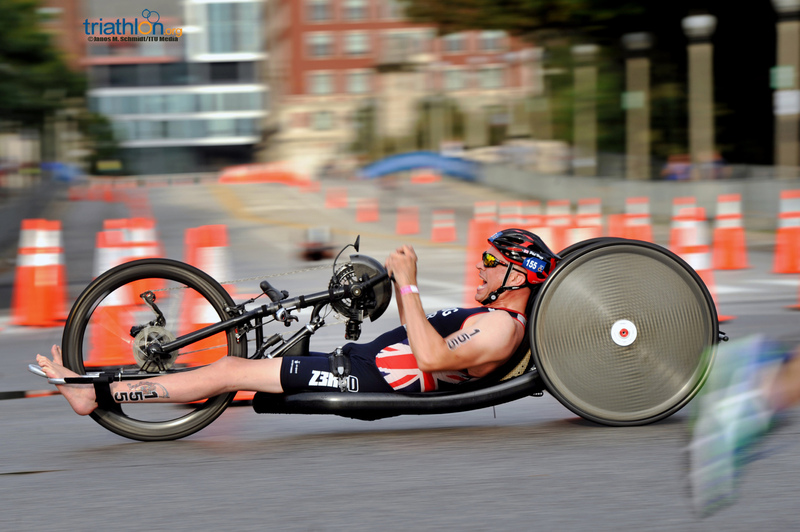 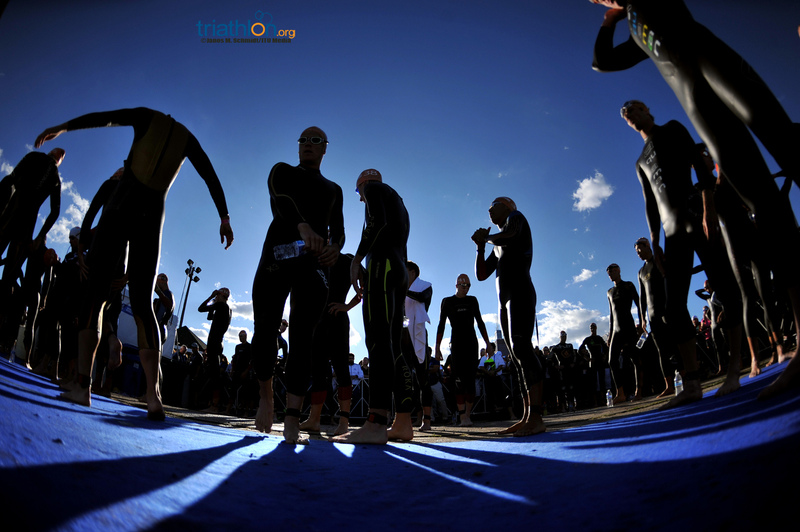 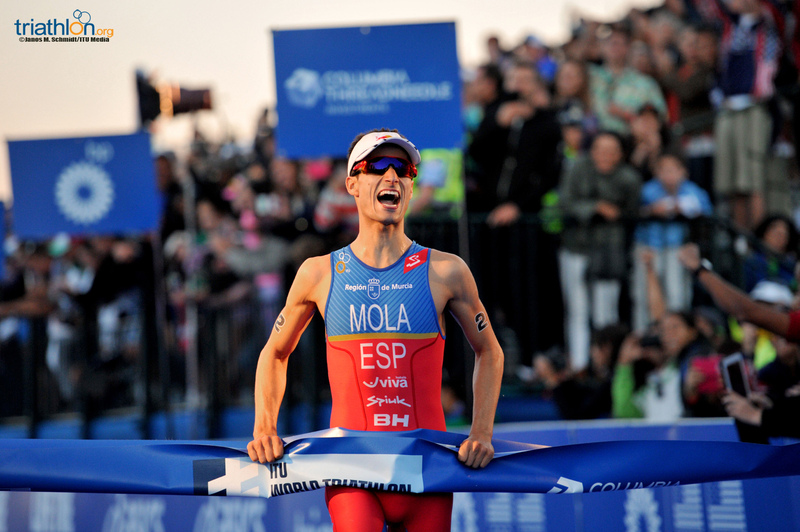 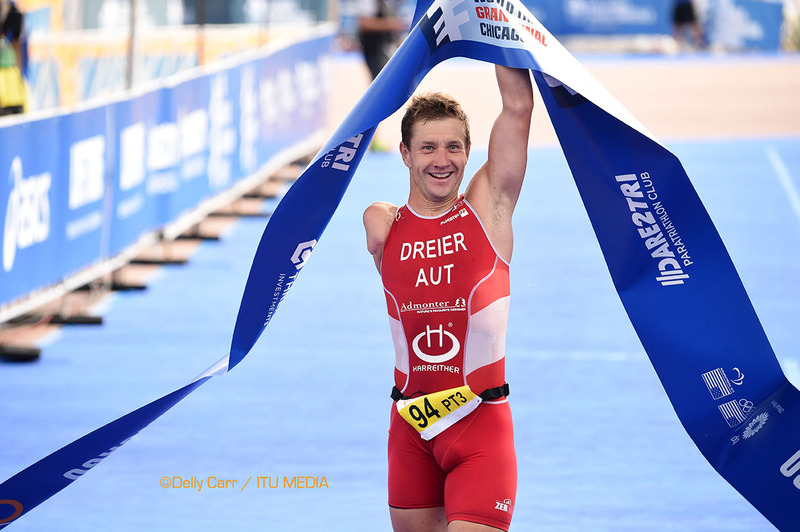 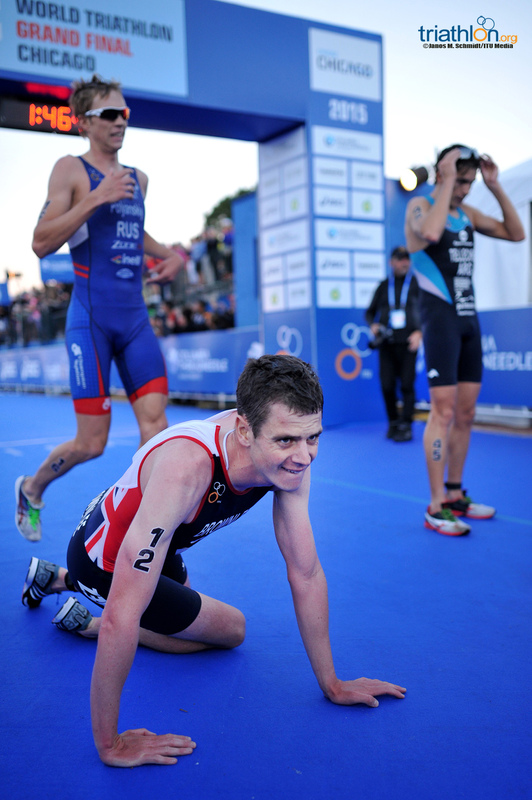 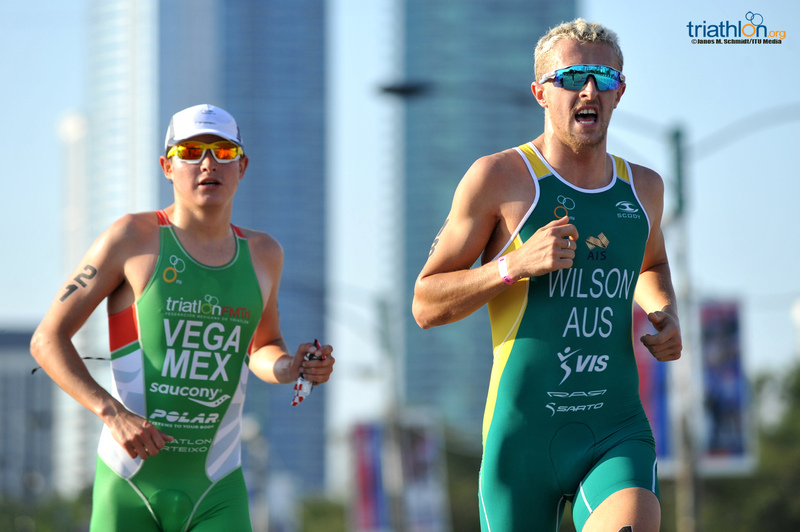 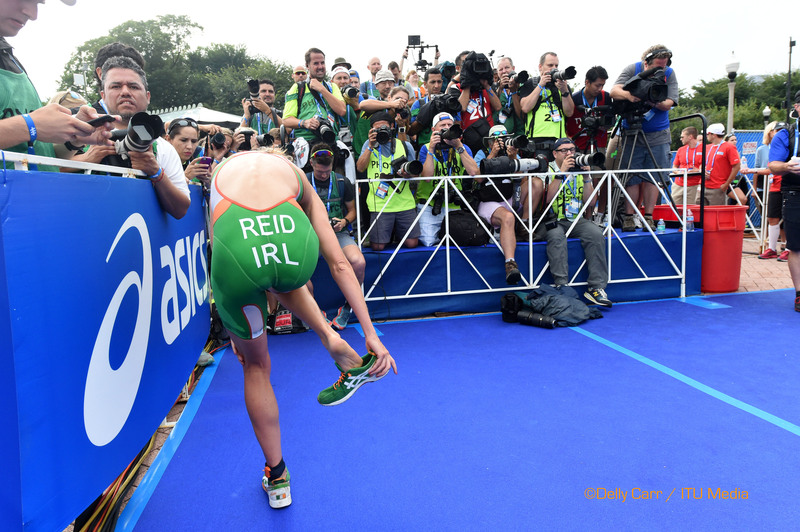 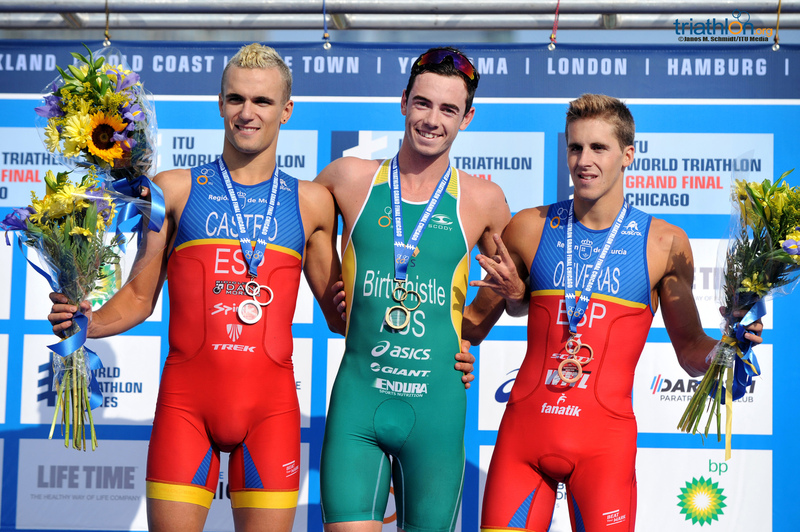 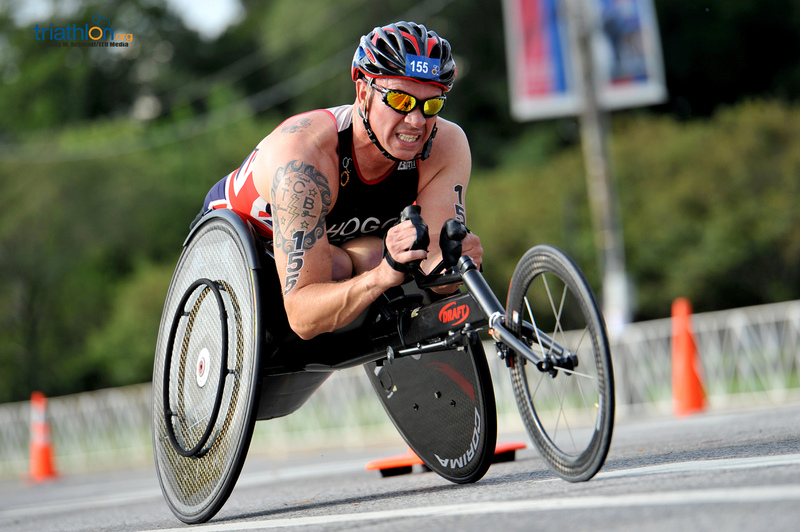 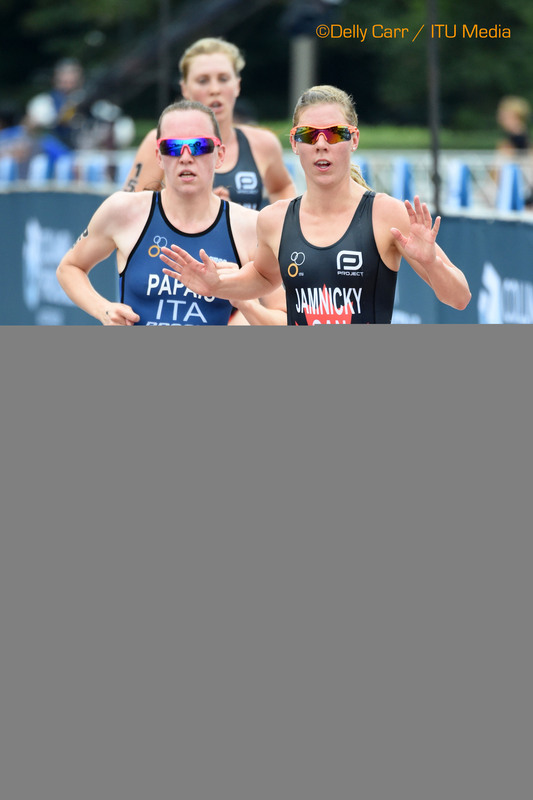 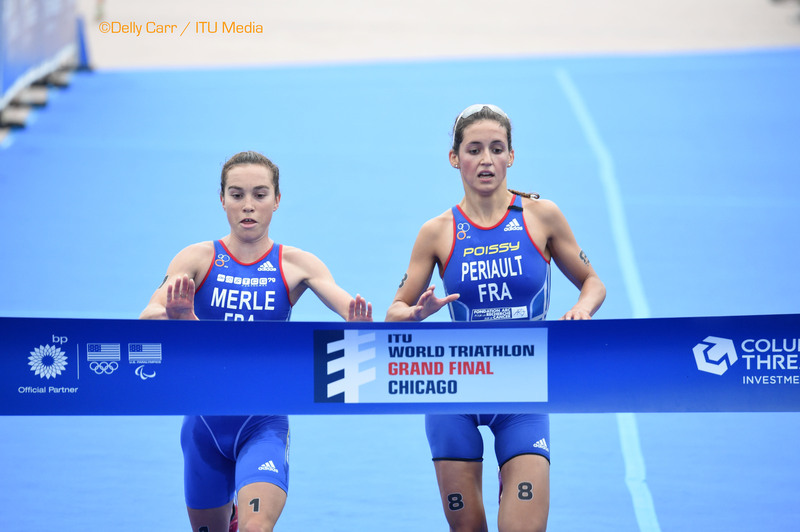 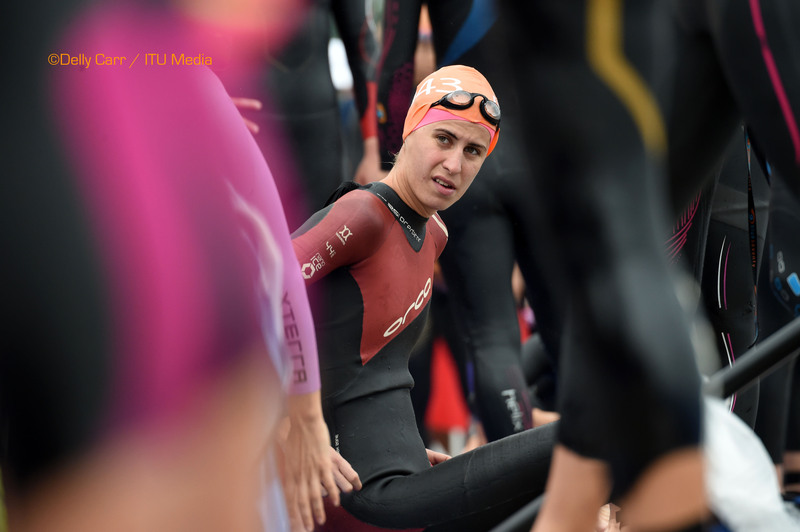 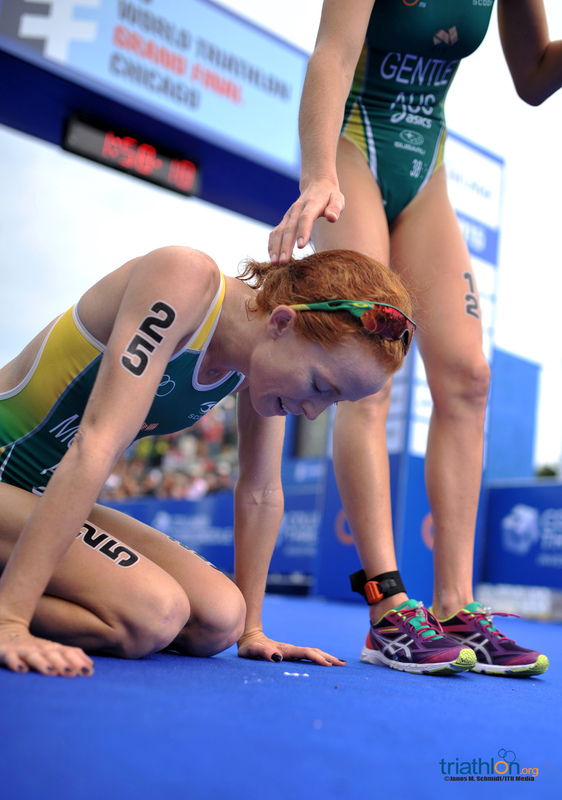 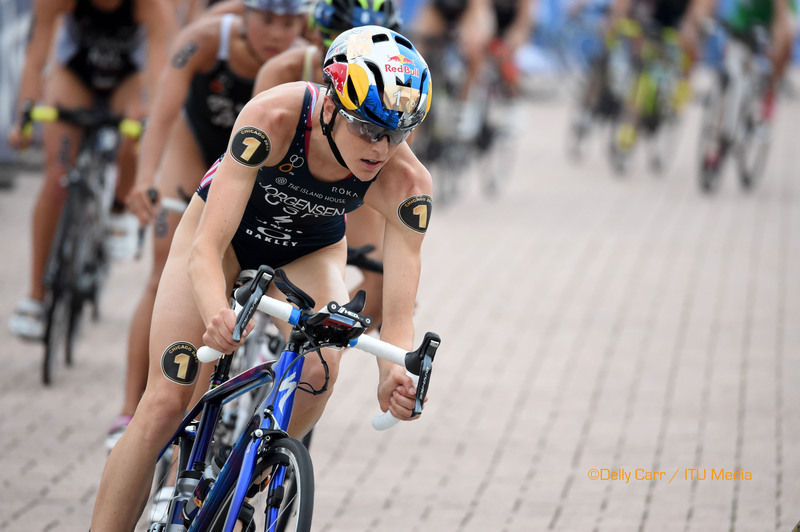 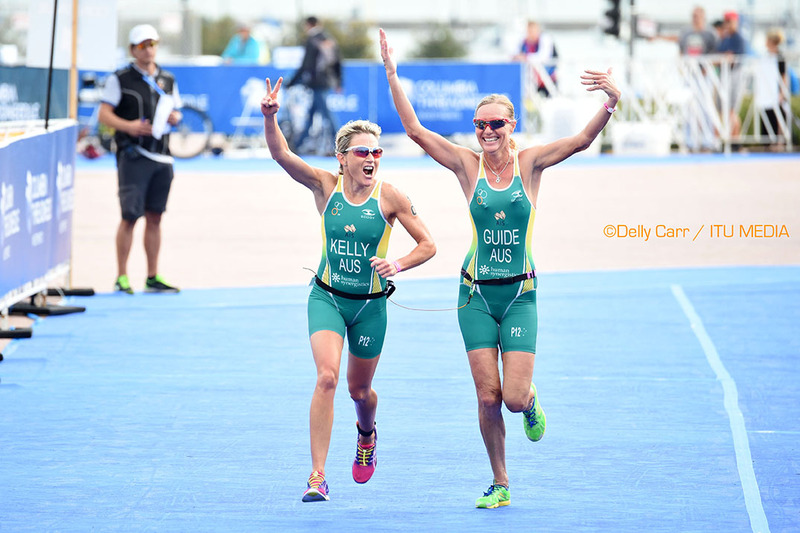 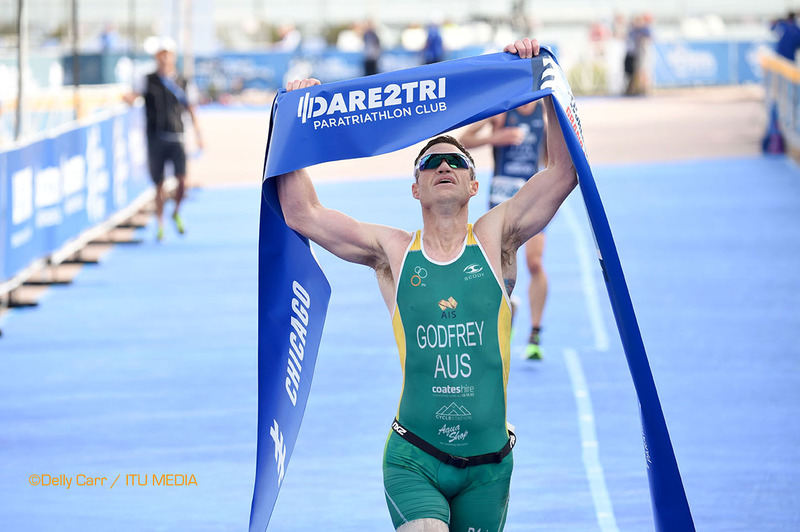 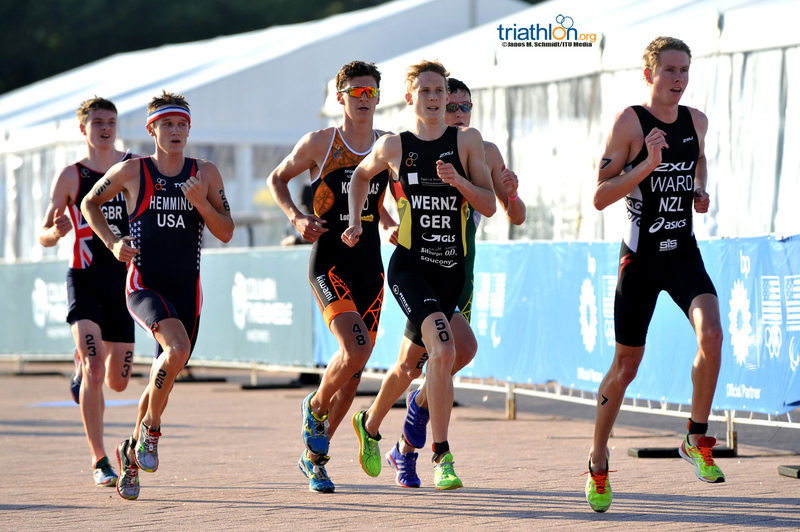 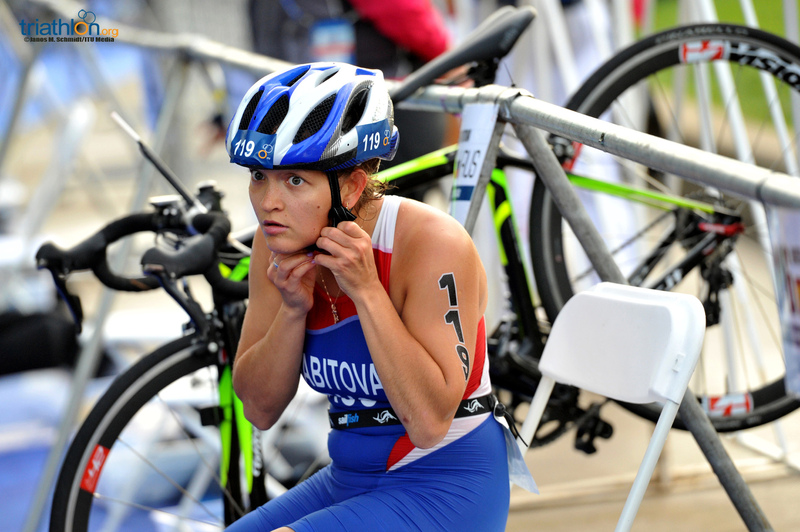 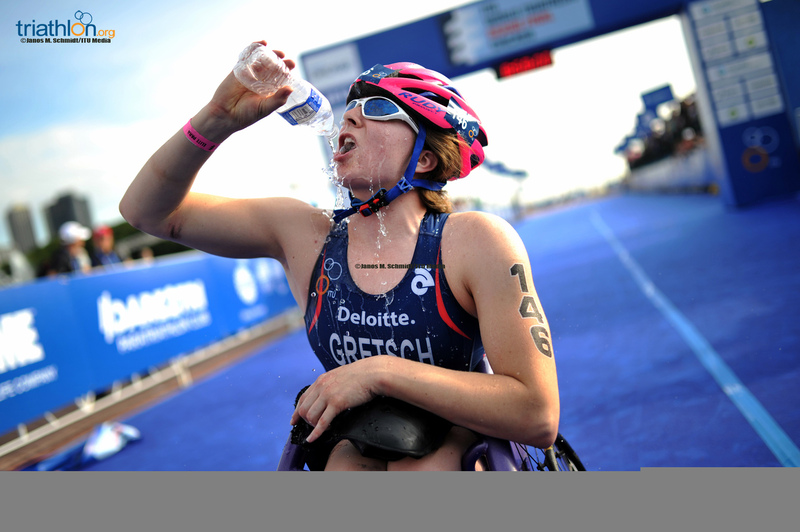 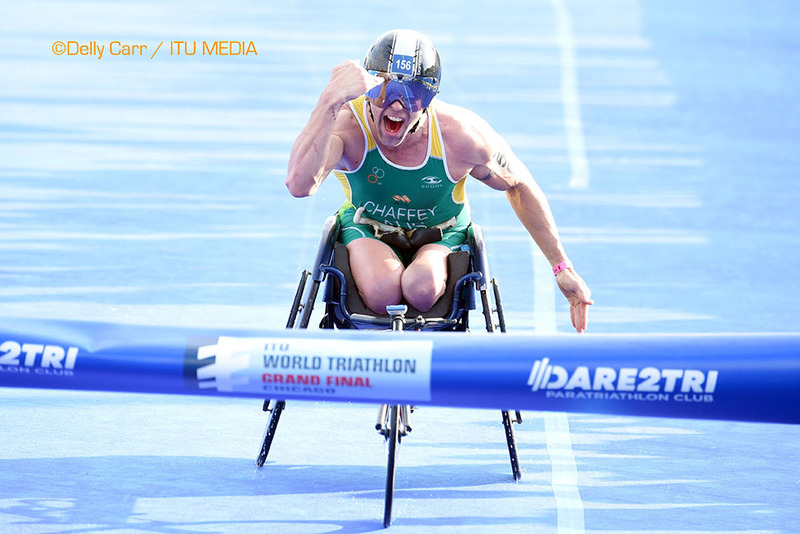 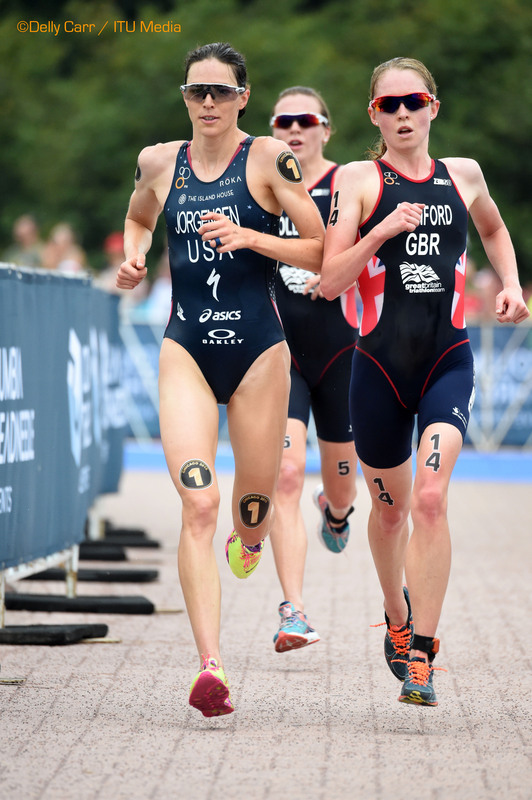 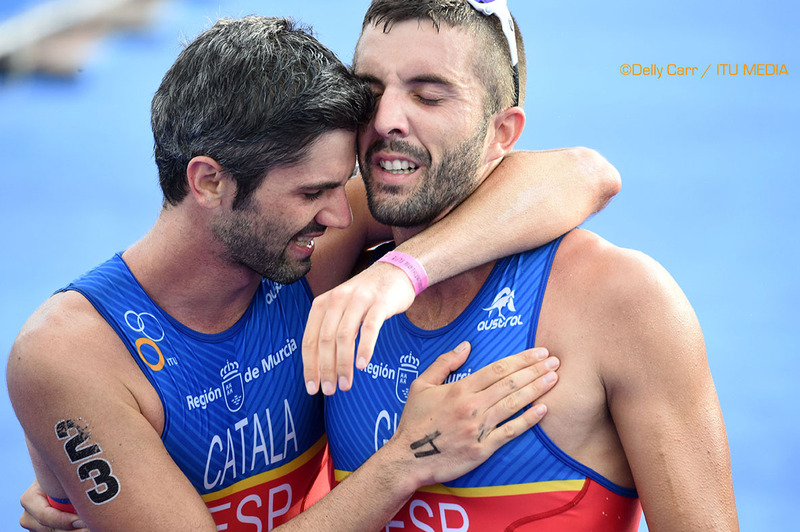 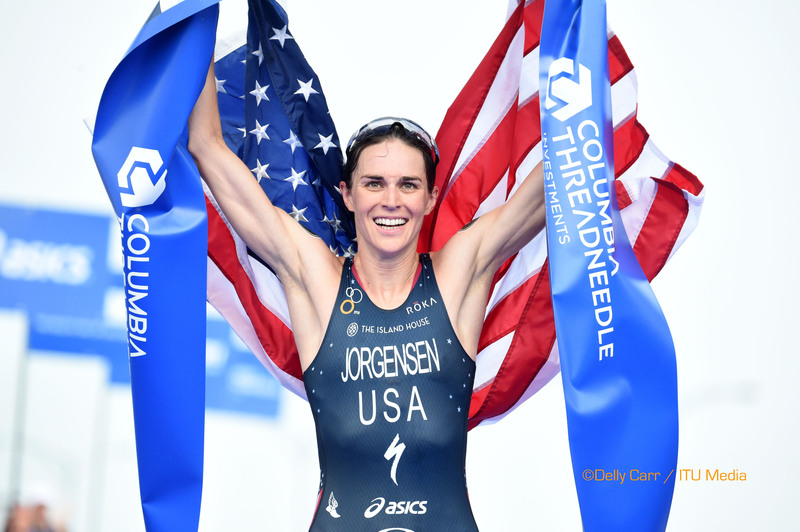 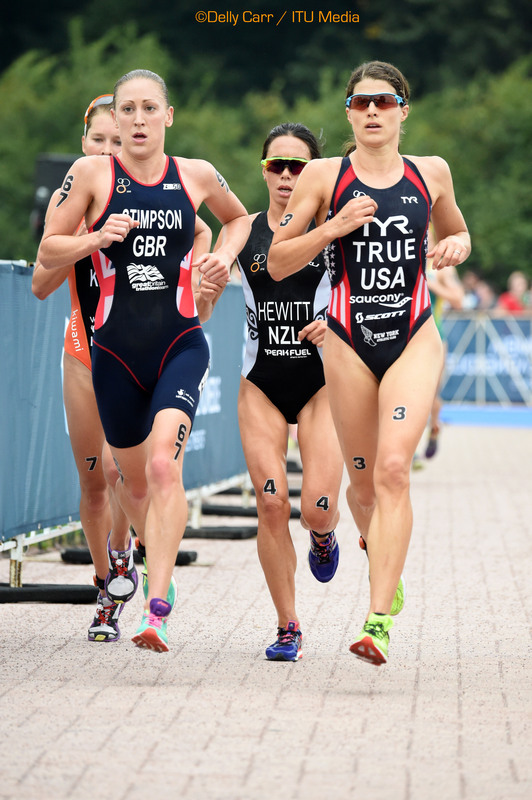 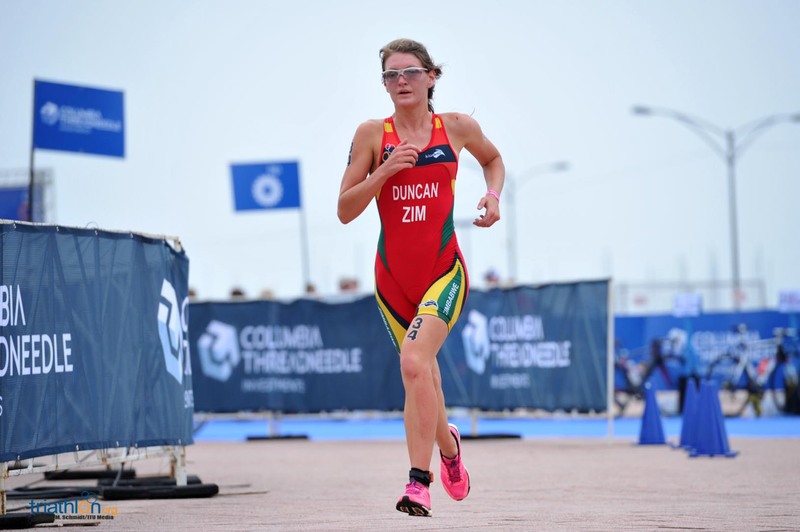 Welcome to the seventh Columbia Threadneedle Rankings Report of 2015 following World Triathlon Edmonton, the penultimate race of the Series. 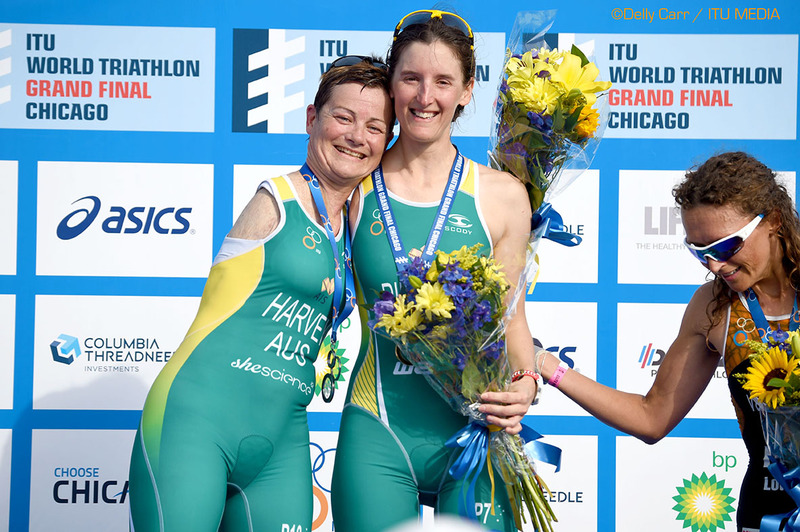 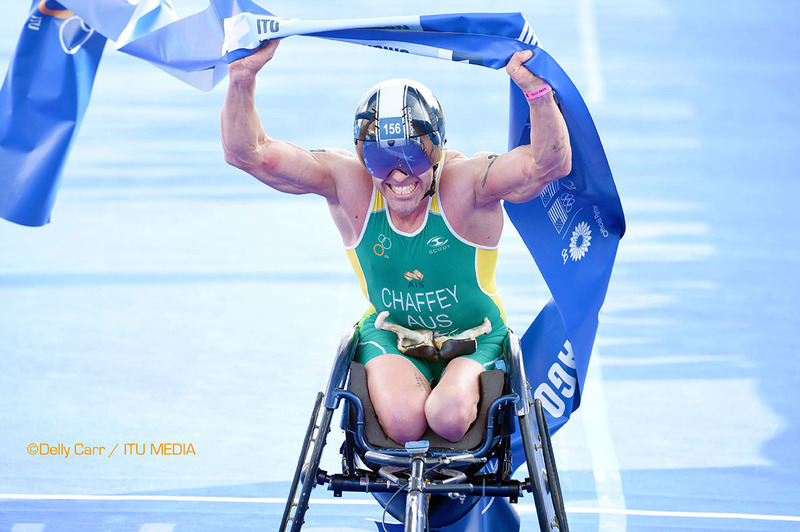 The International Triathlon Union (ITU) today announces seven inductees for the second annual Hall of Fame.